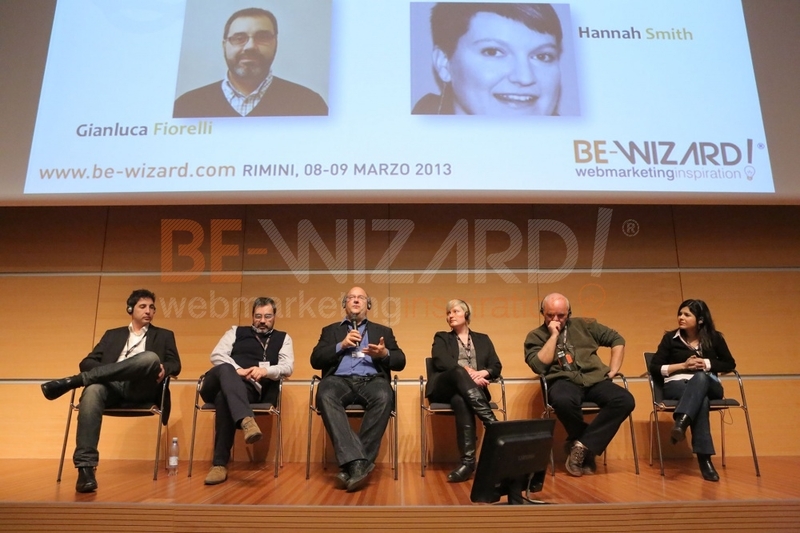 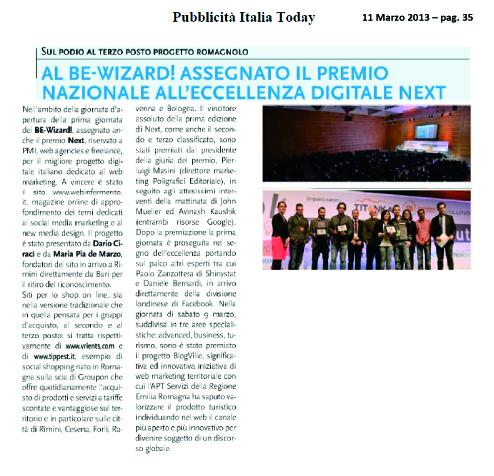 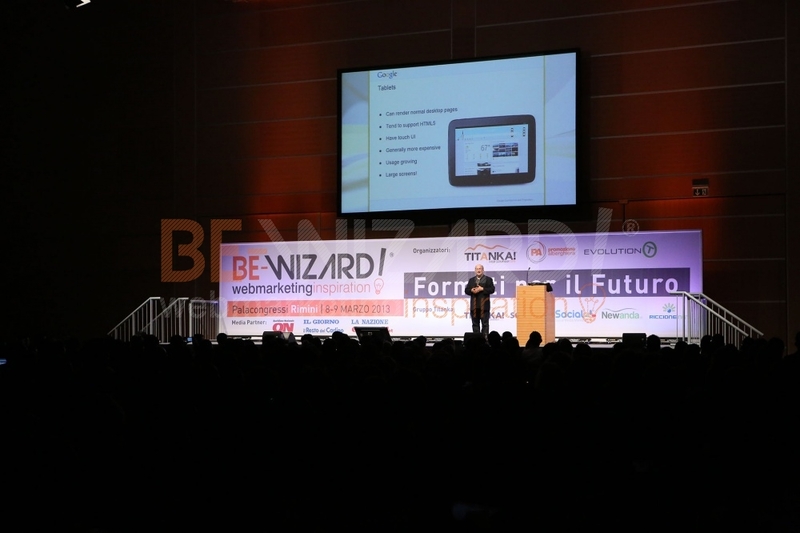 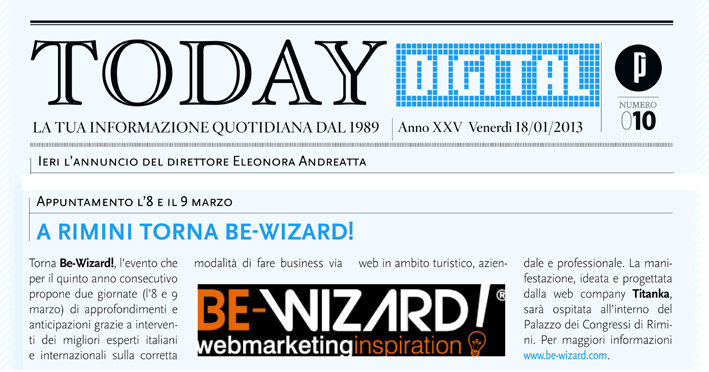 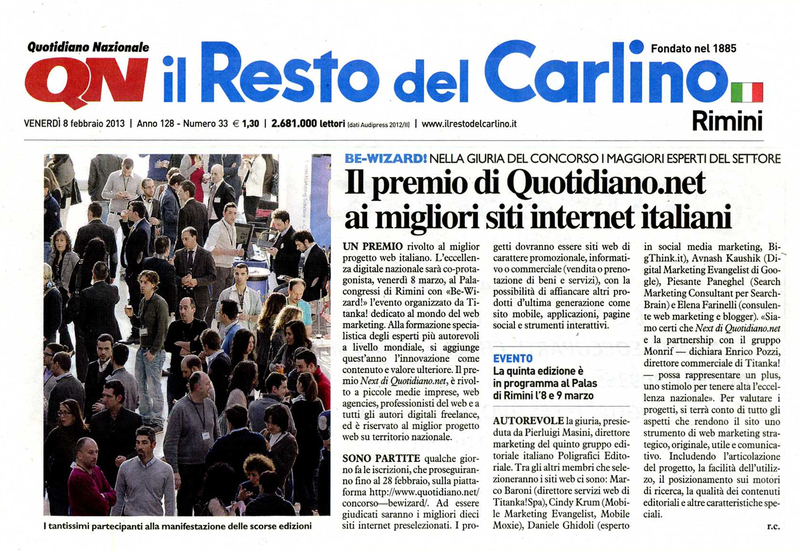 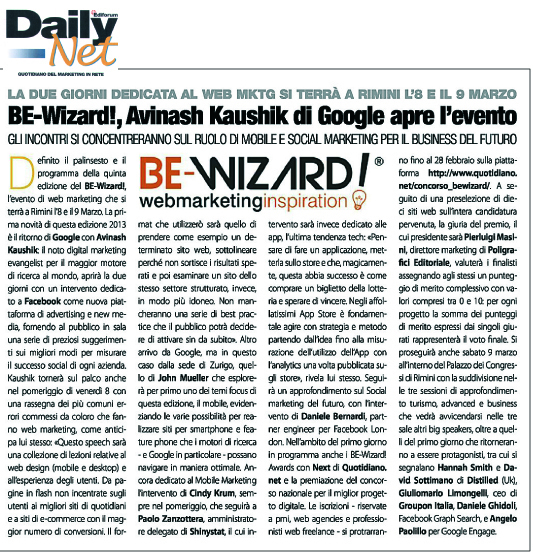 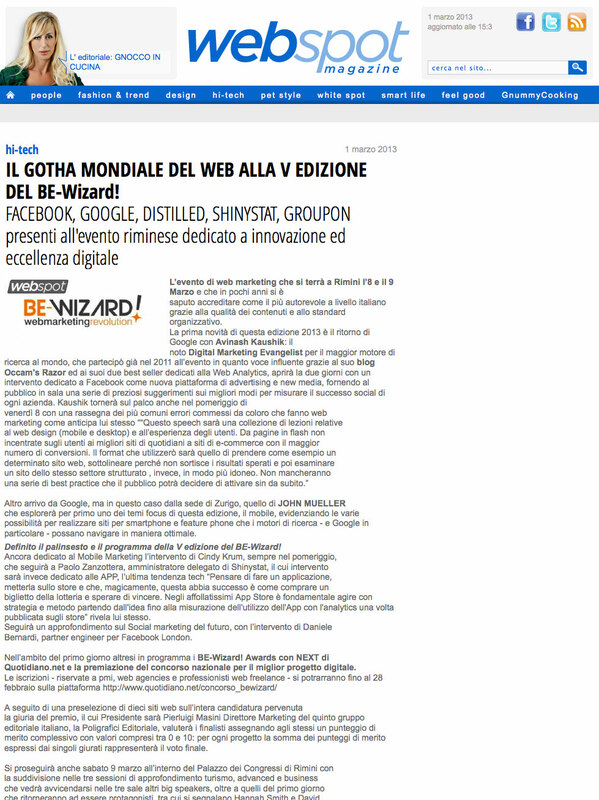 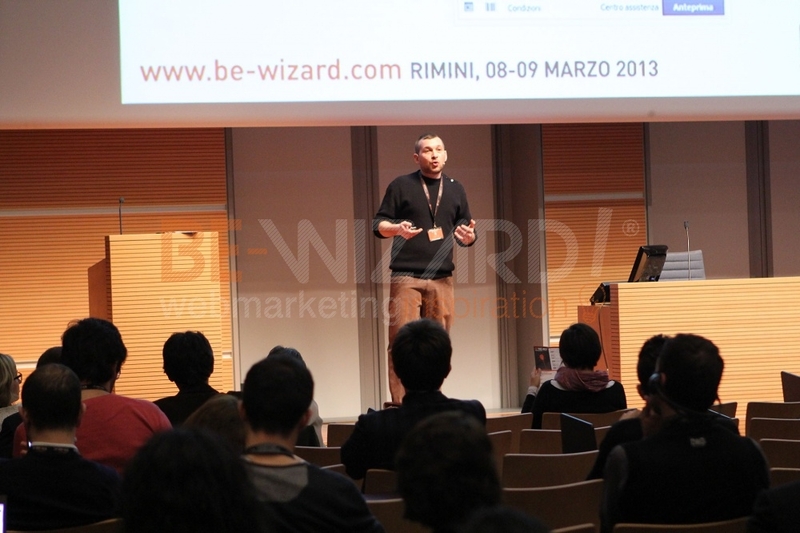 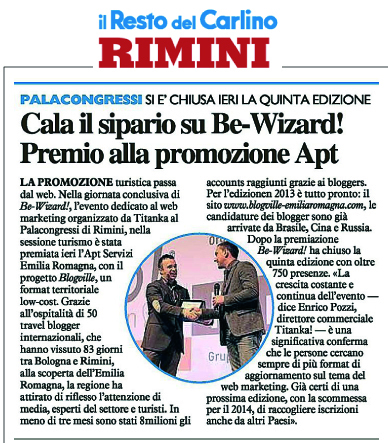 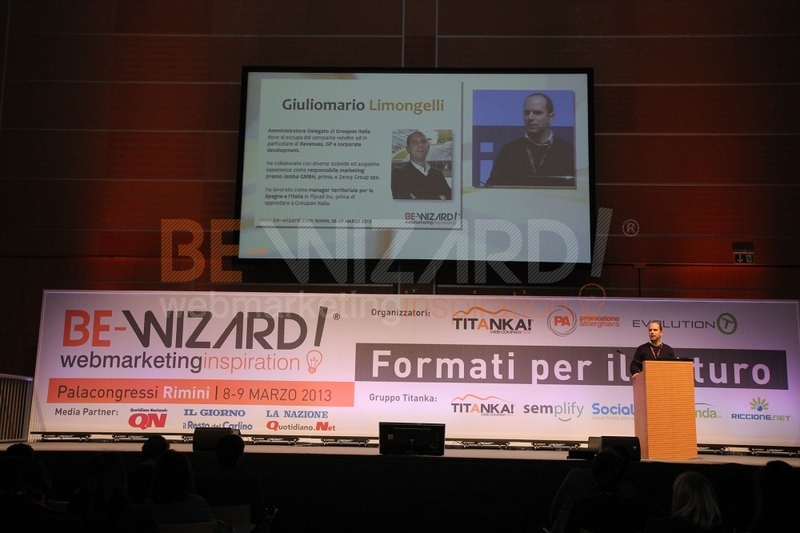 The 5th edition of BE-Wizard! 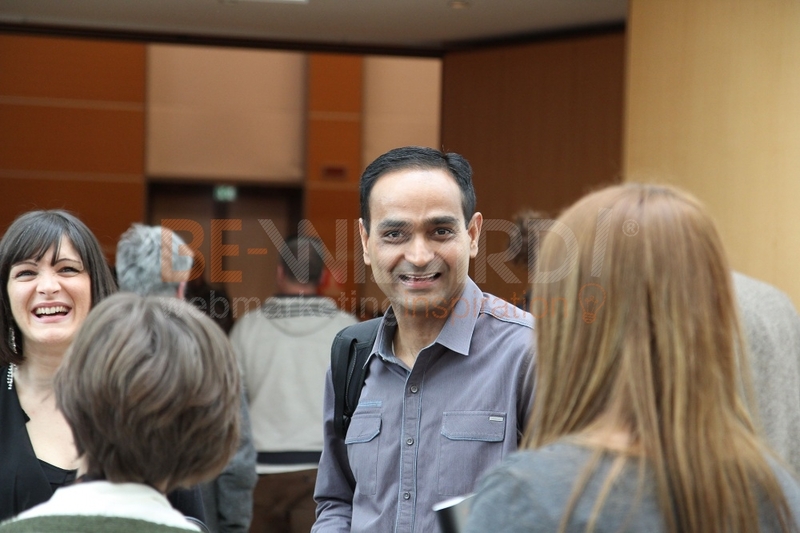 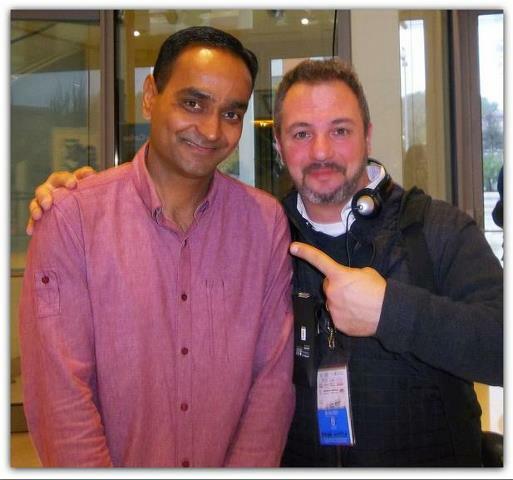 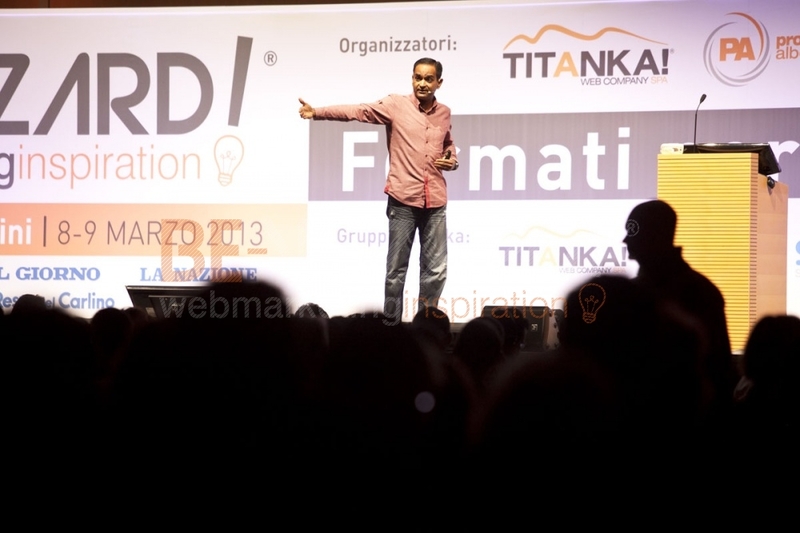 was held on the 8th and 9th of March 2013. 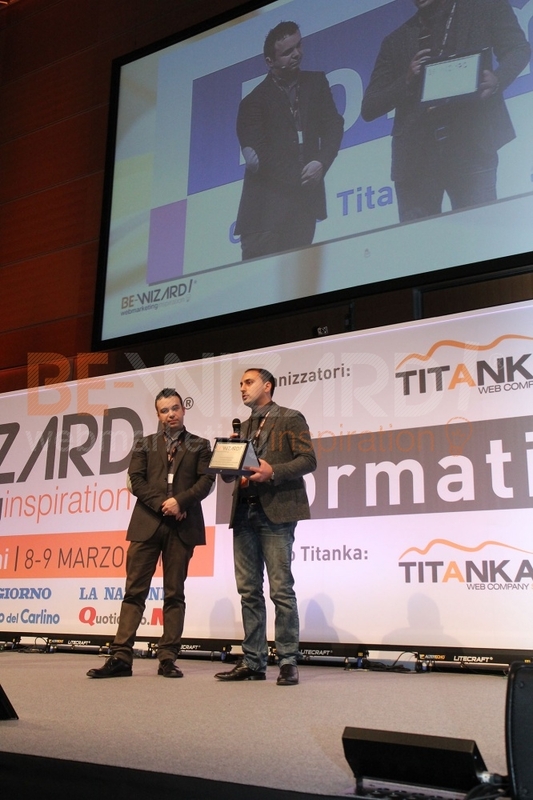 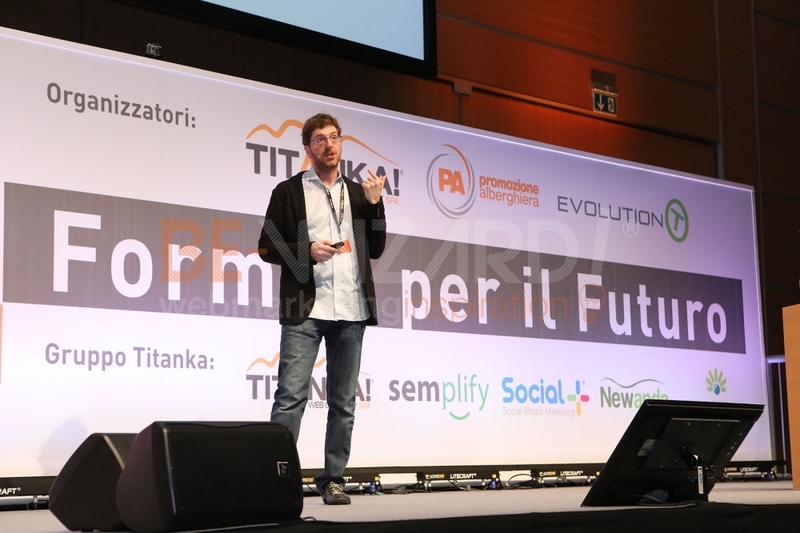 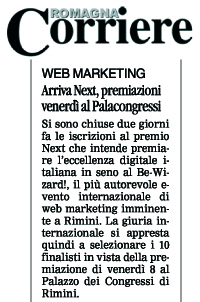 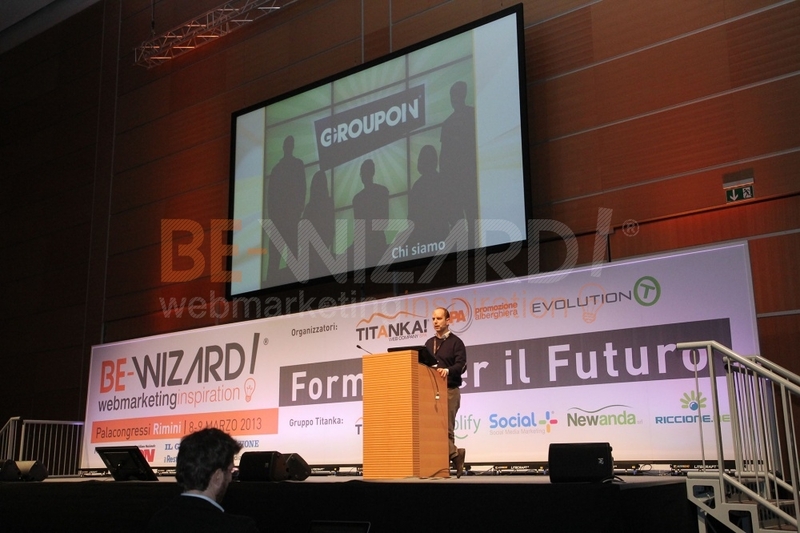 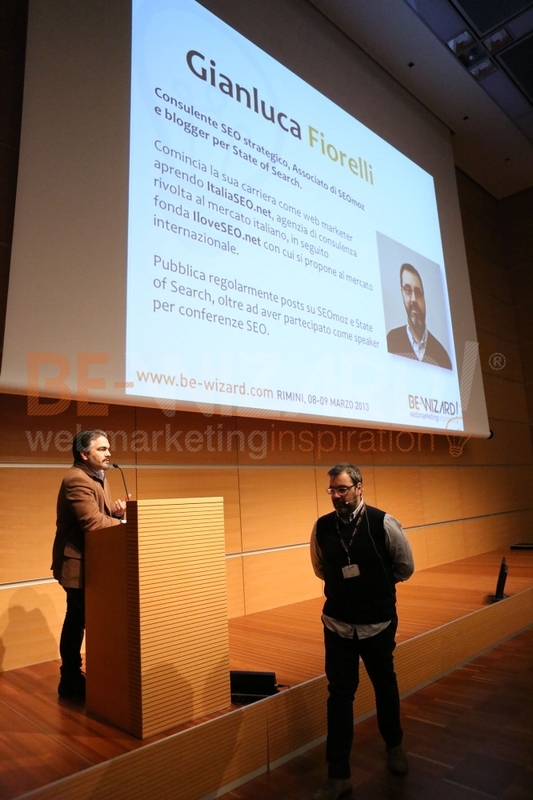 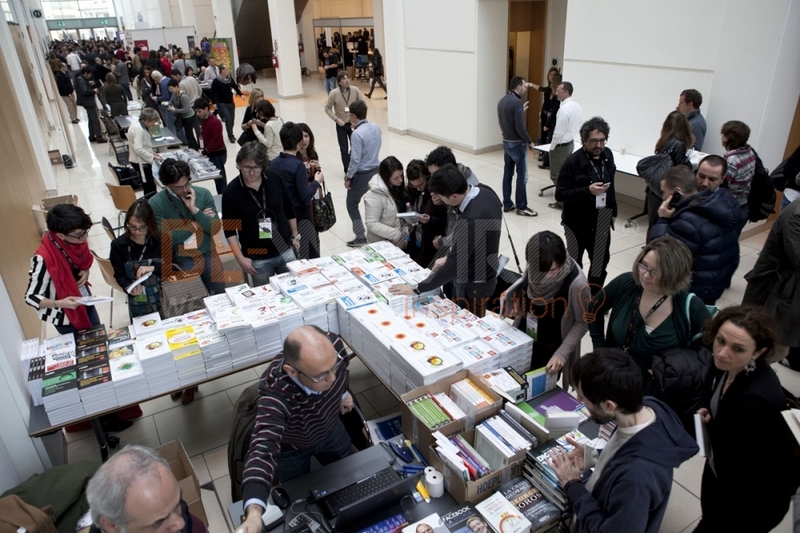 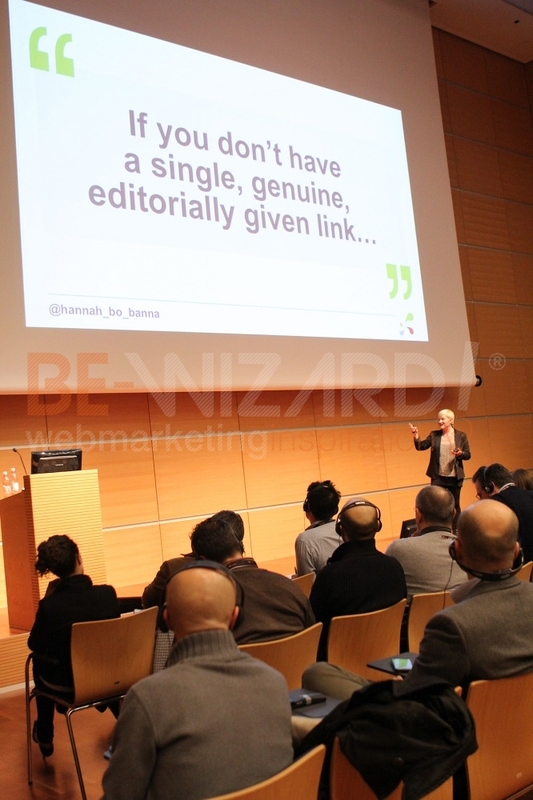 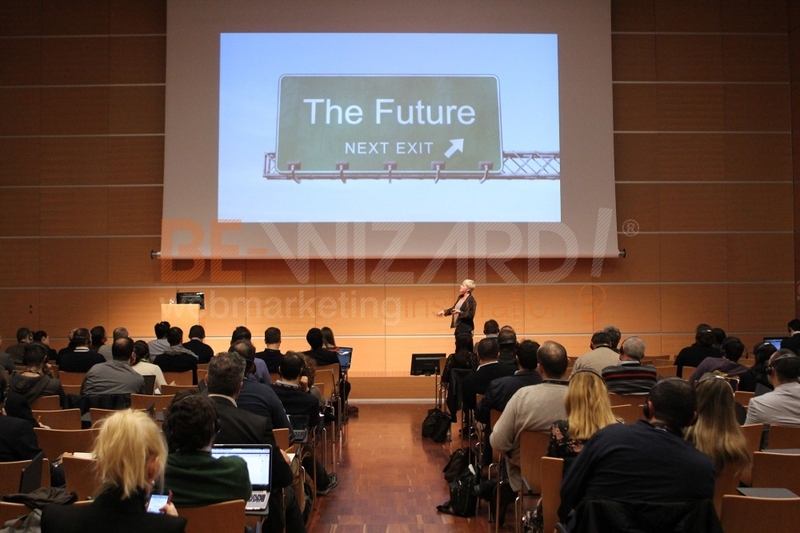 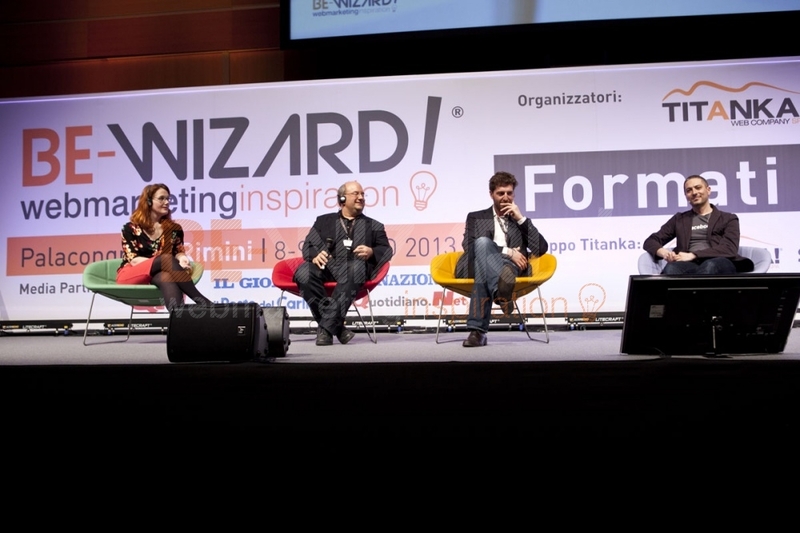 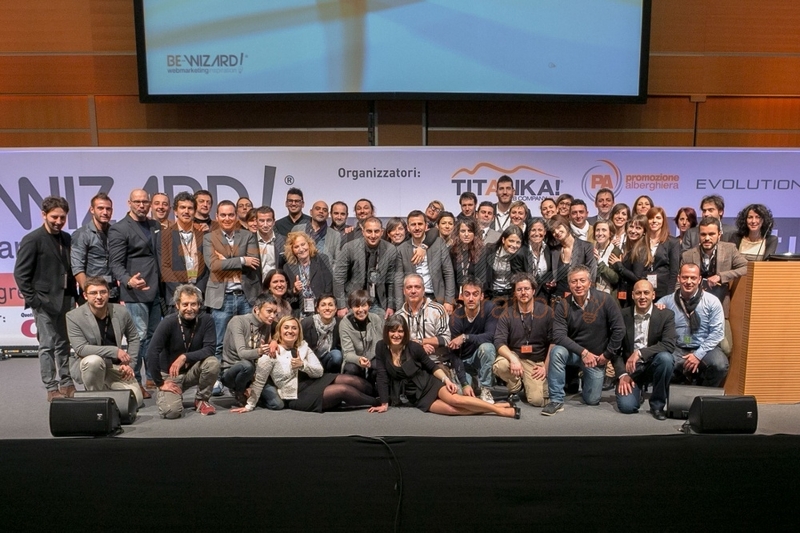 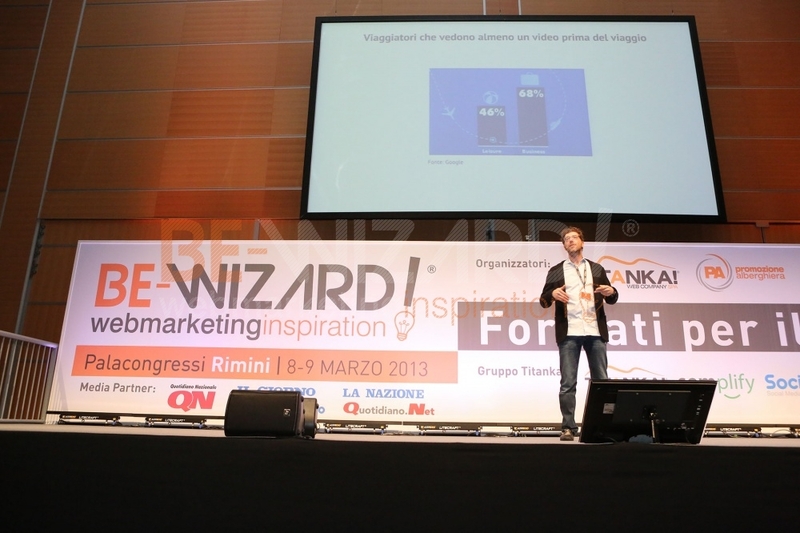 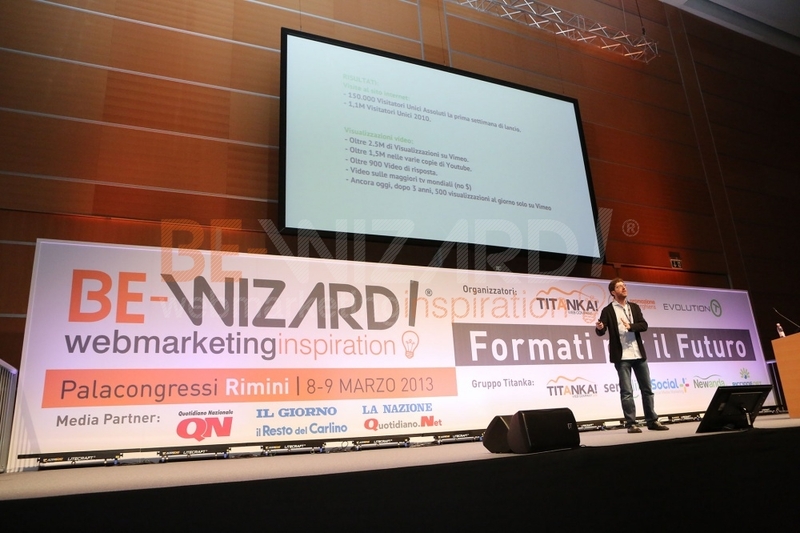 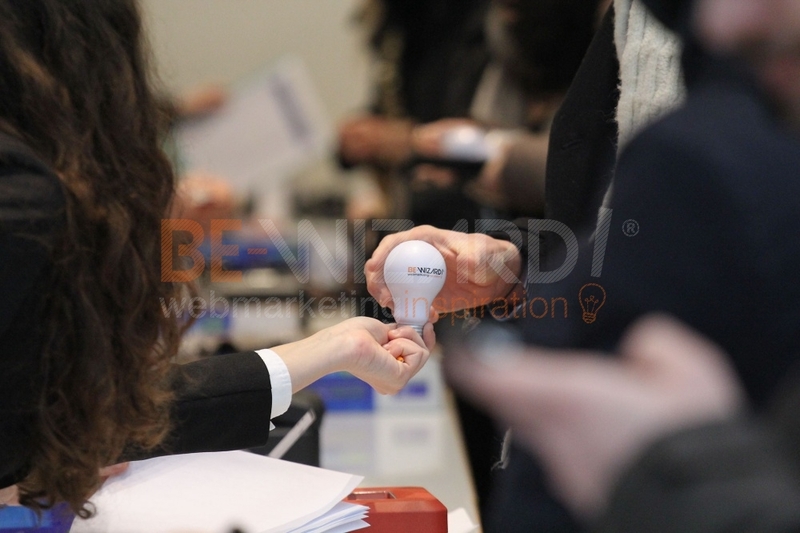 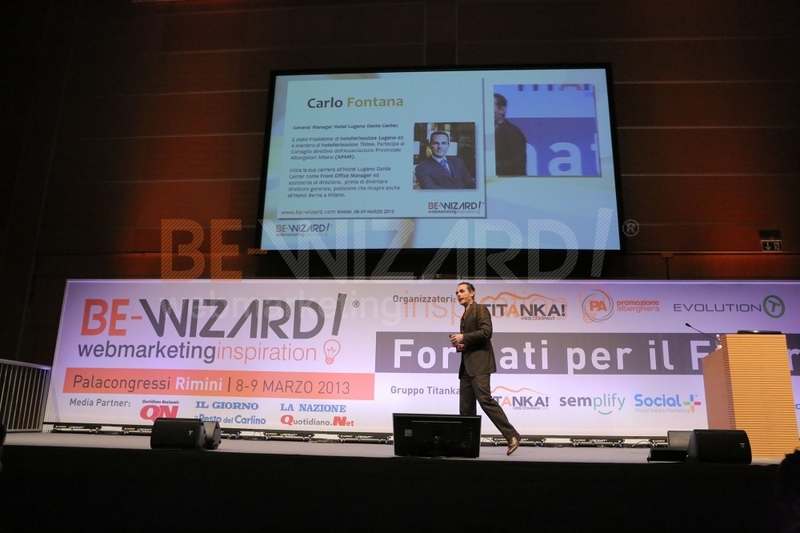 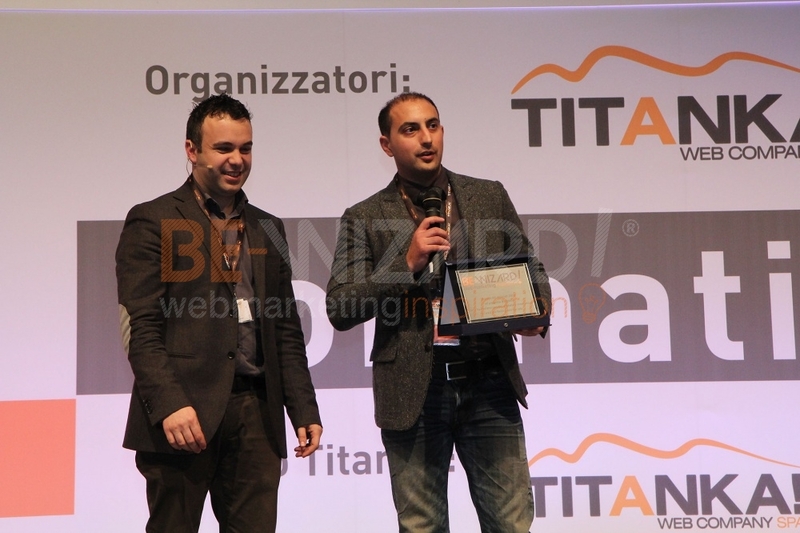 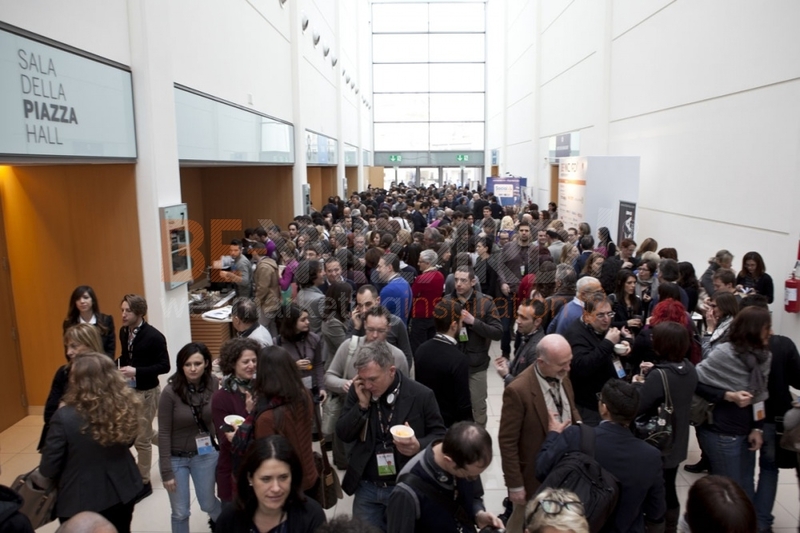 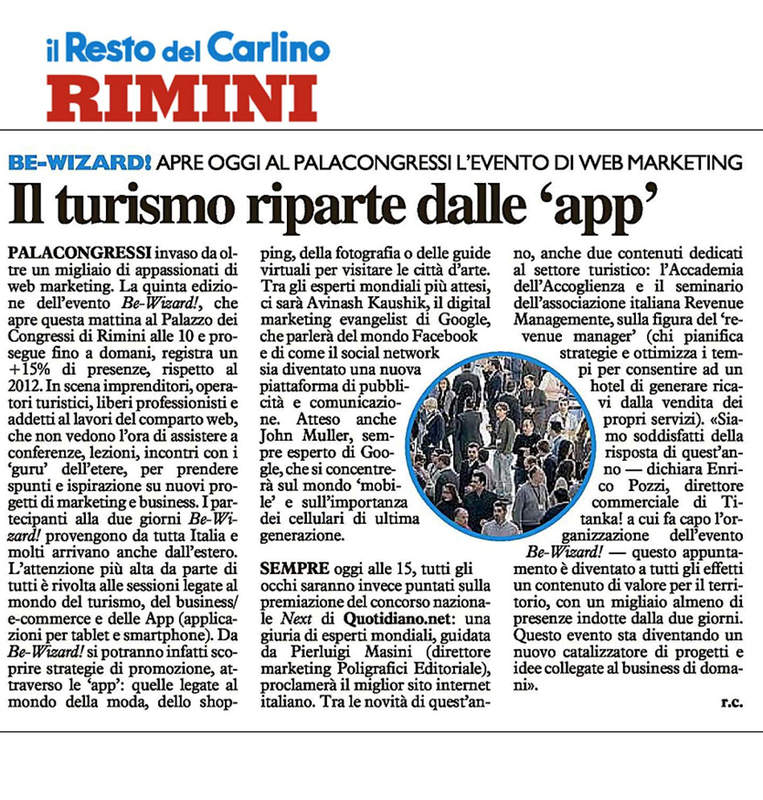 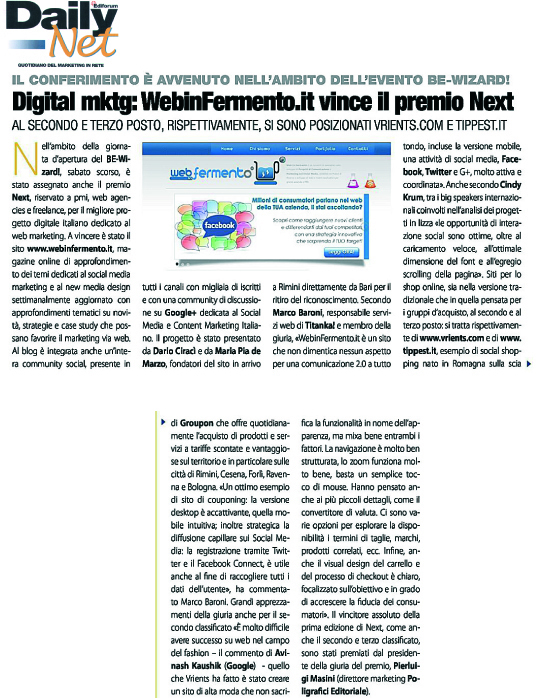 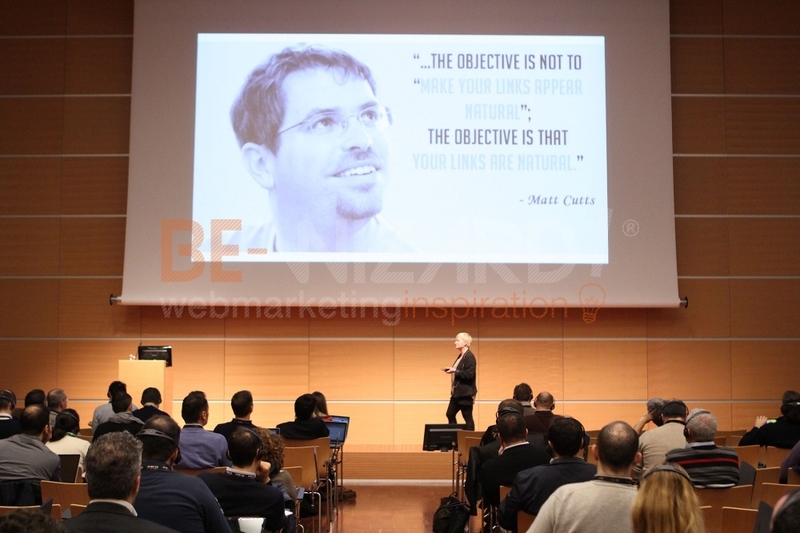 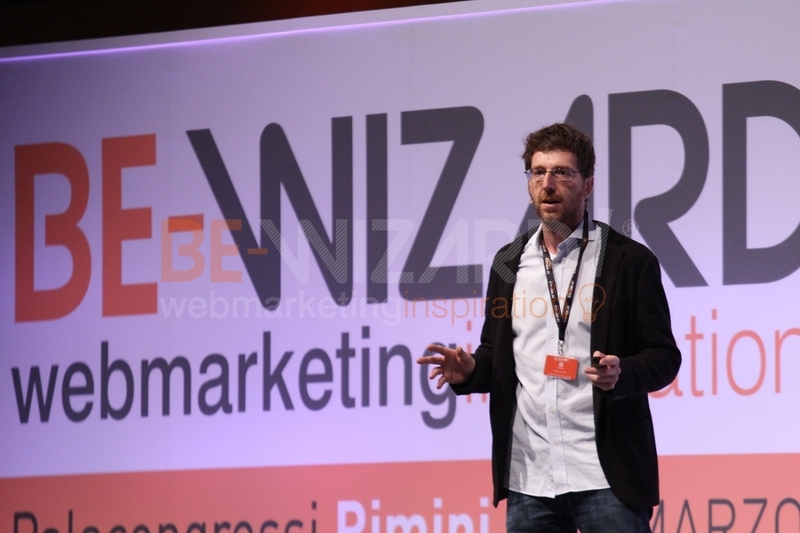 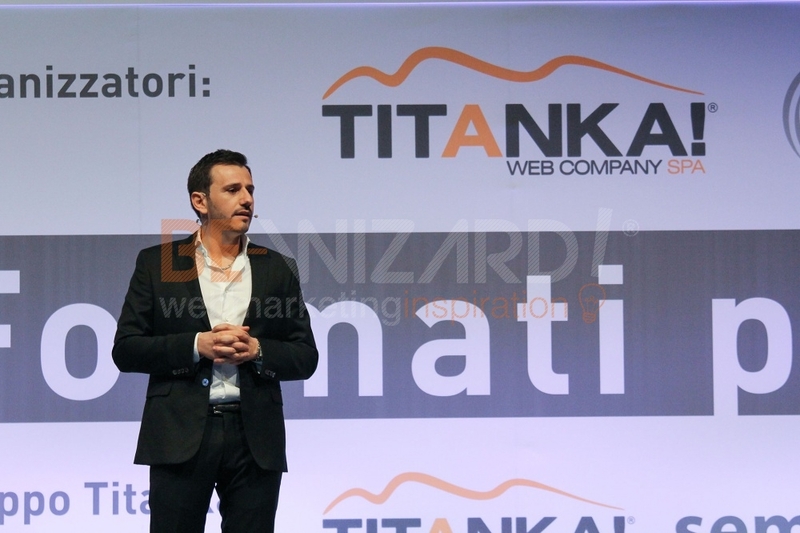 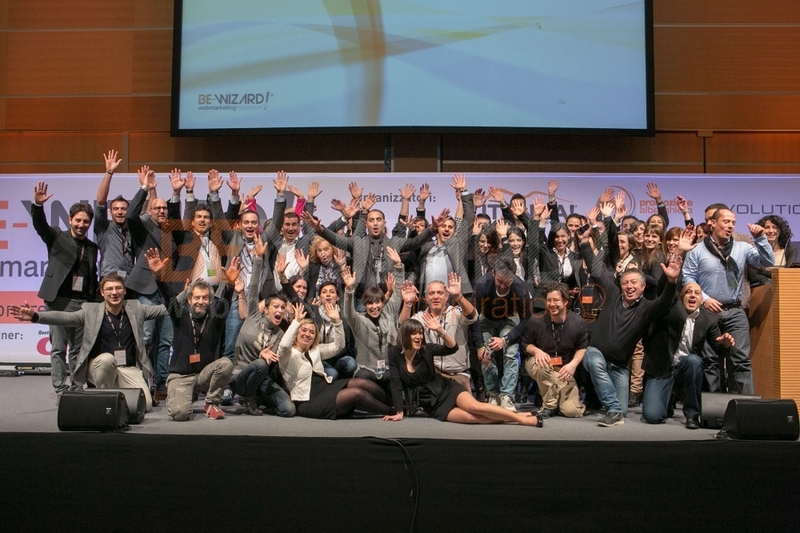 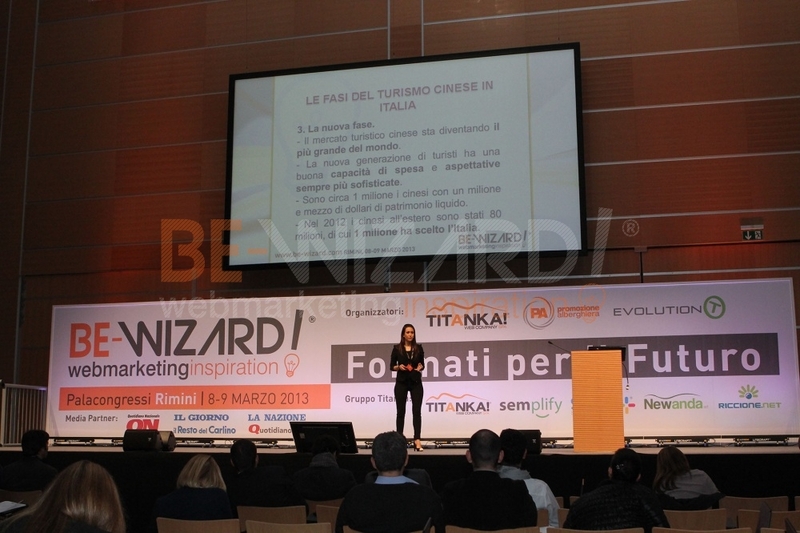 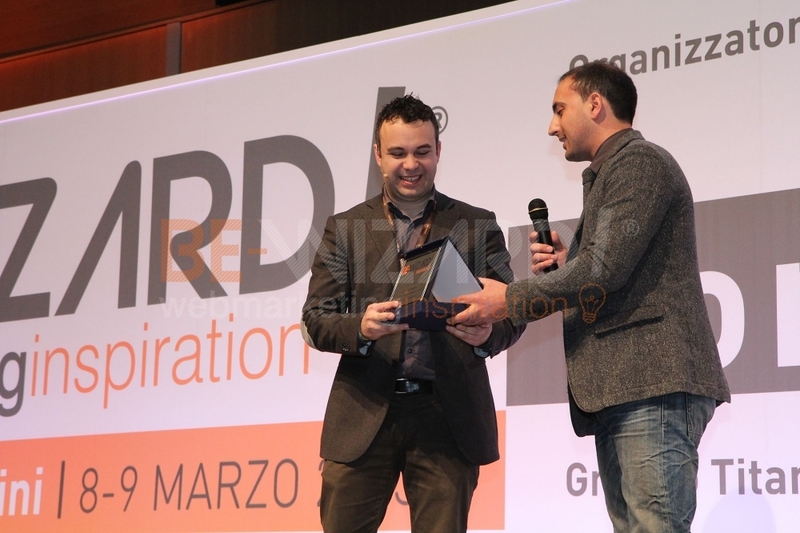 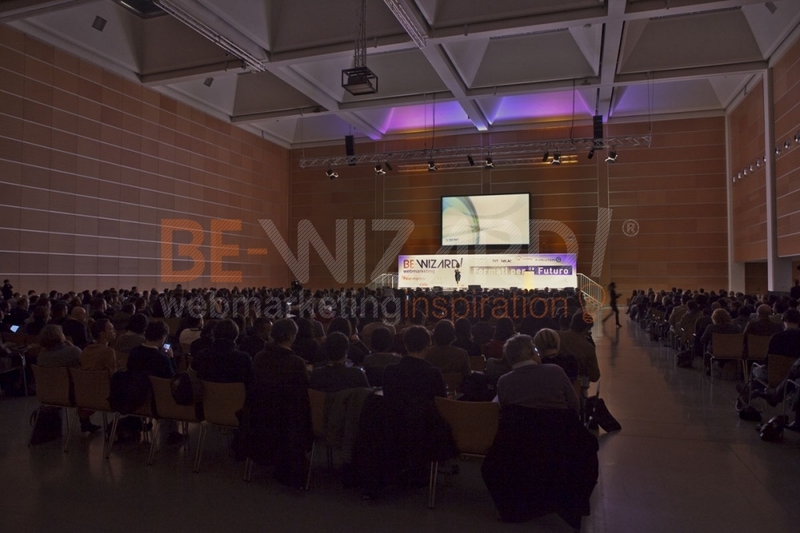 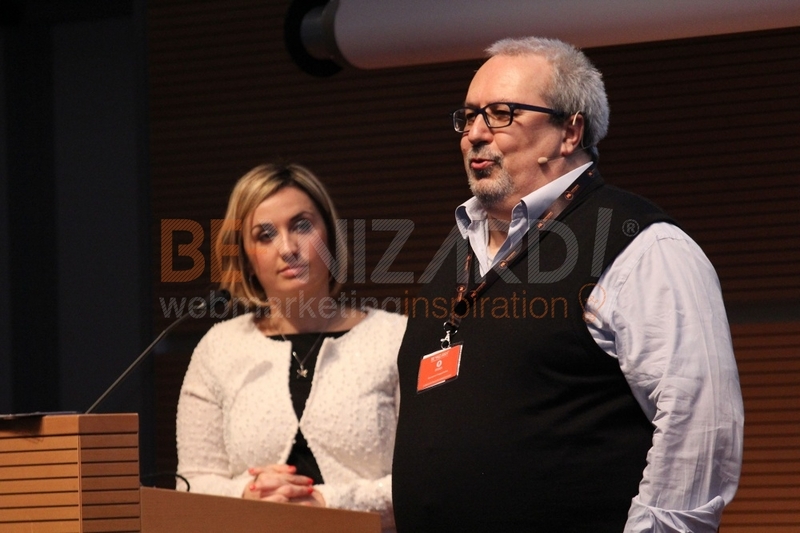 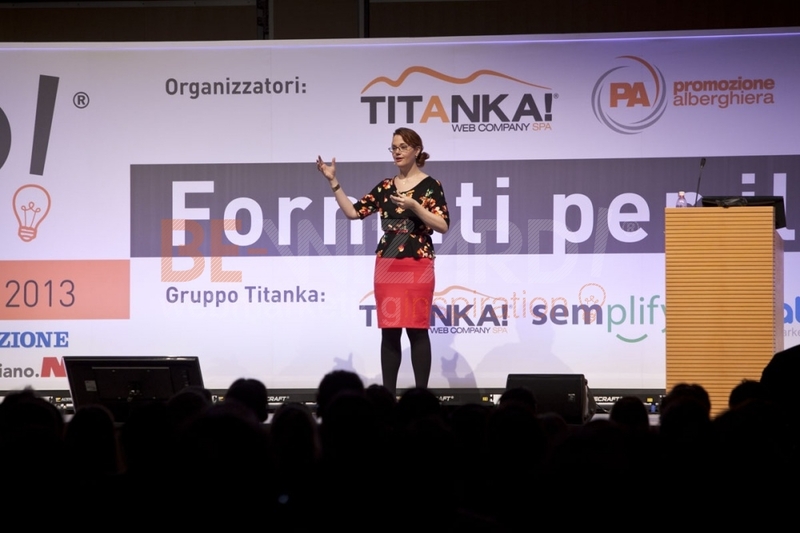 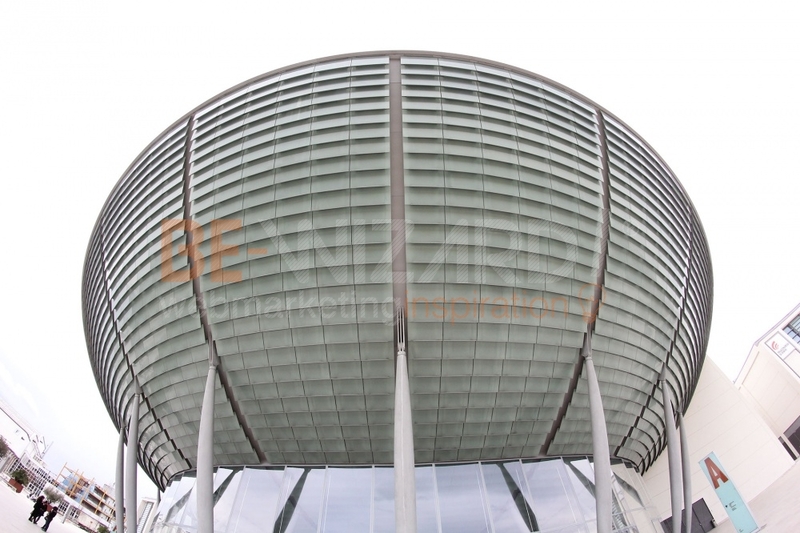 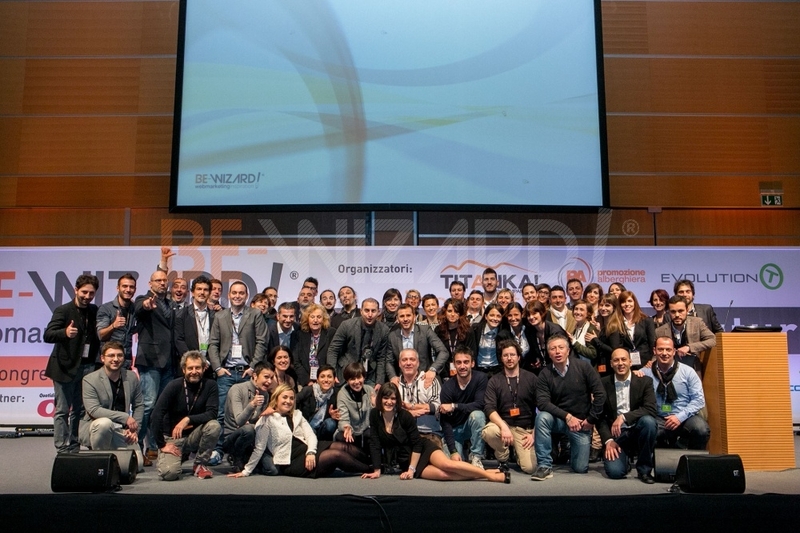 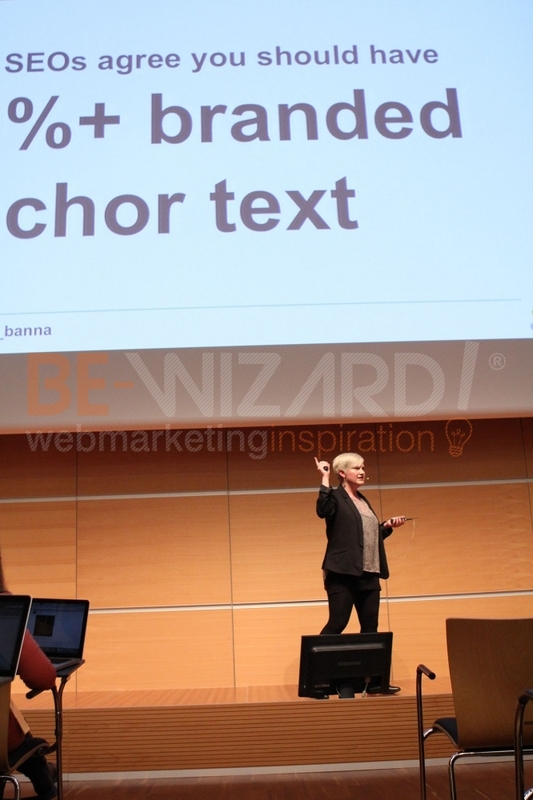 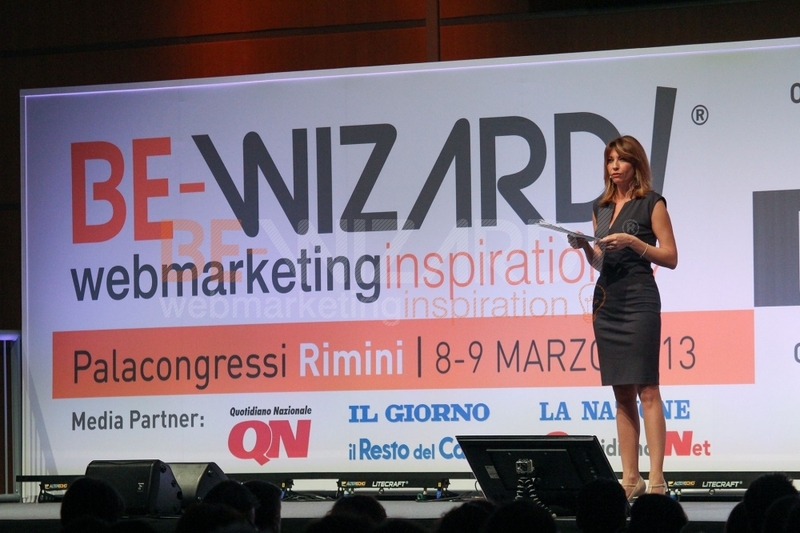 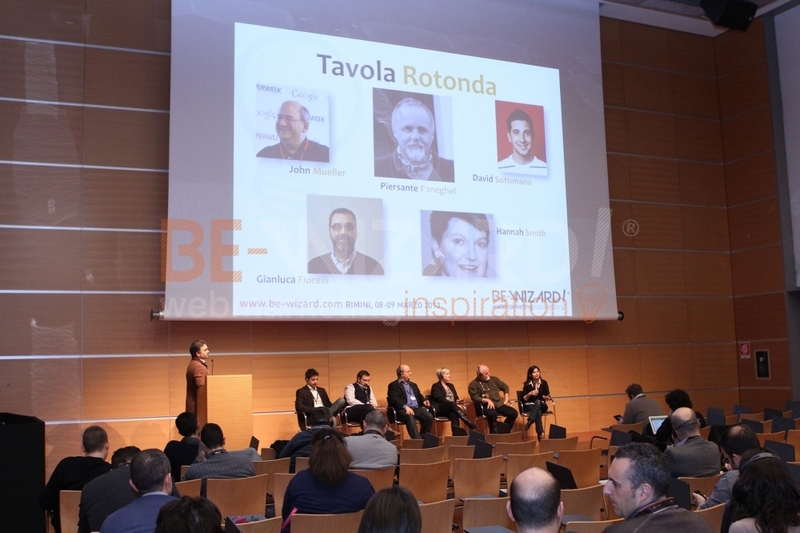 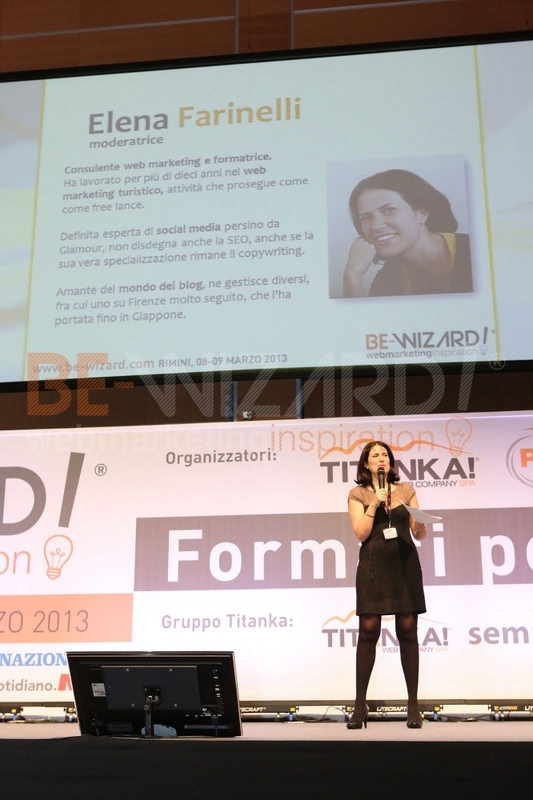 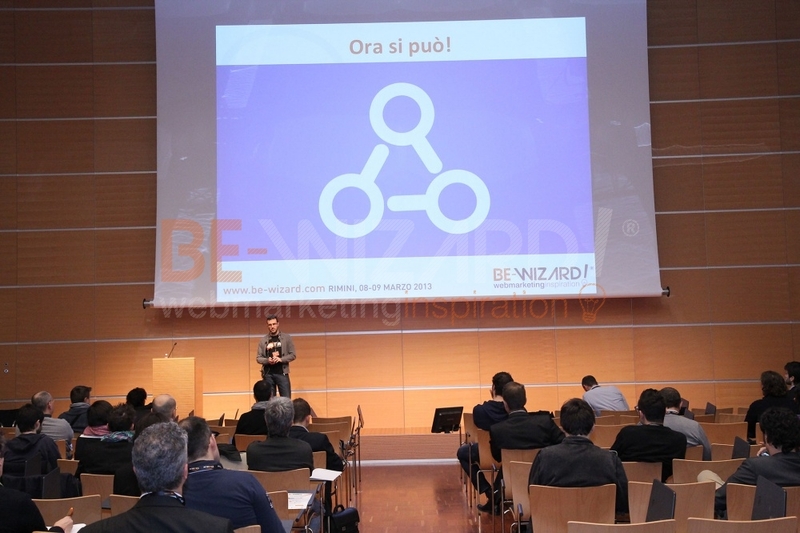 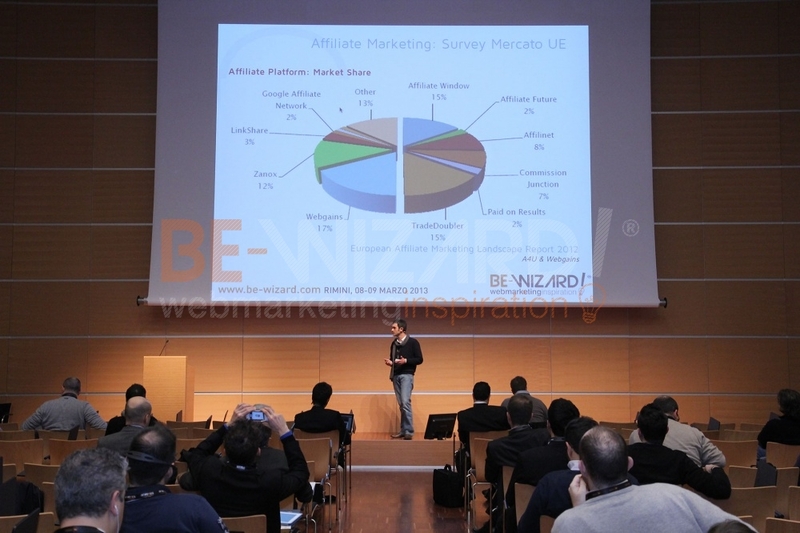 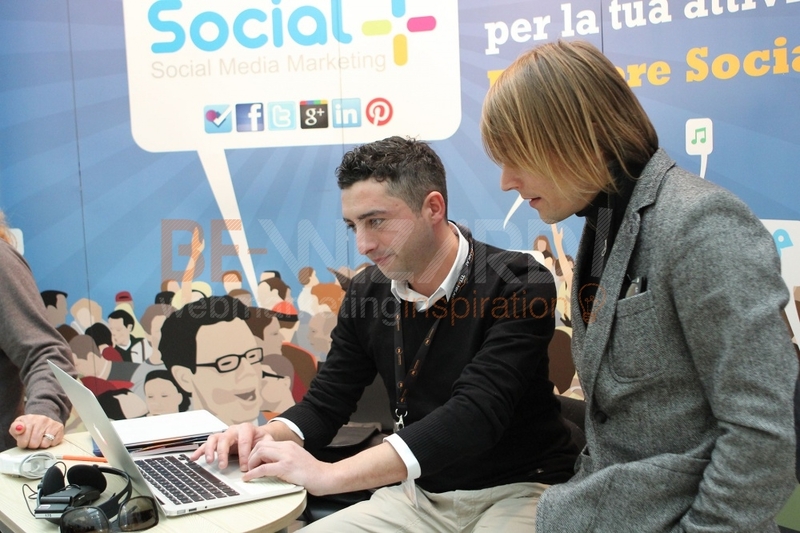 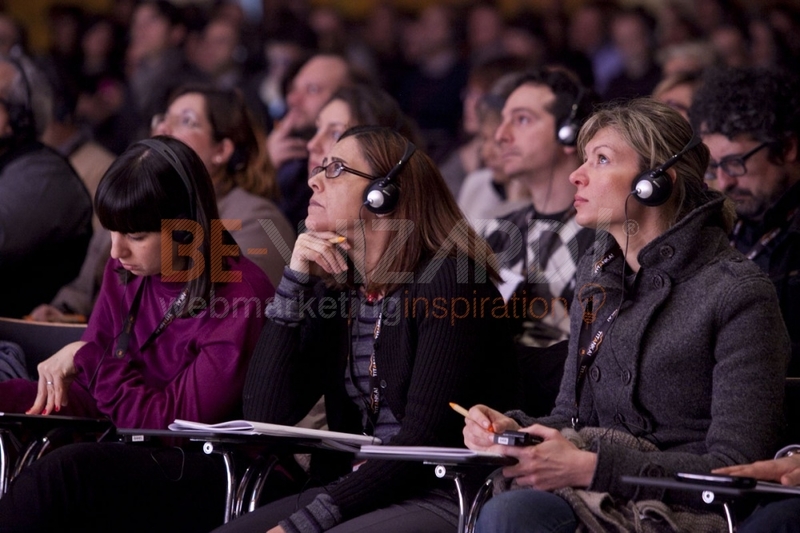 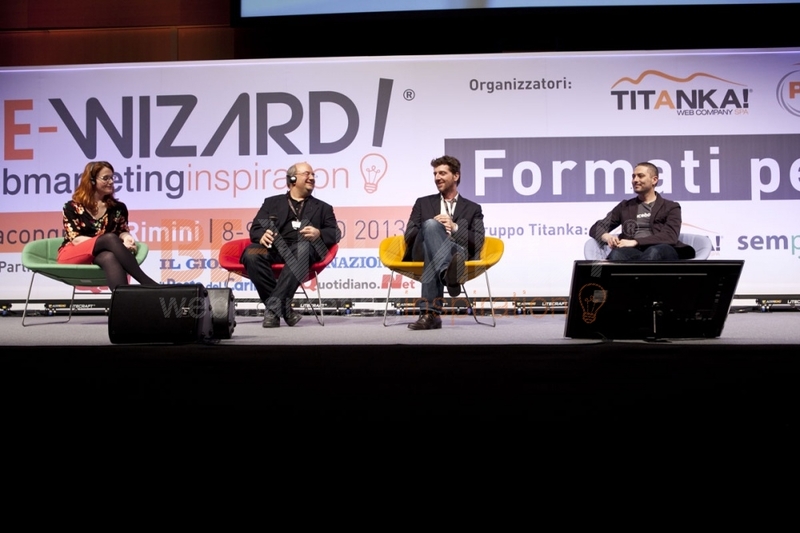 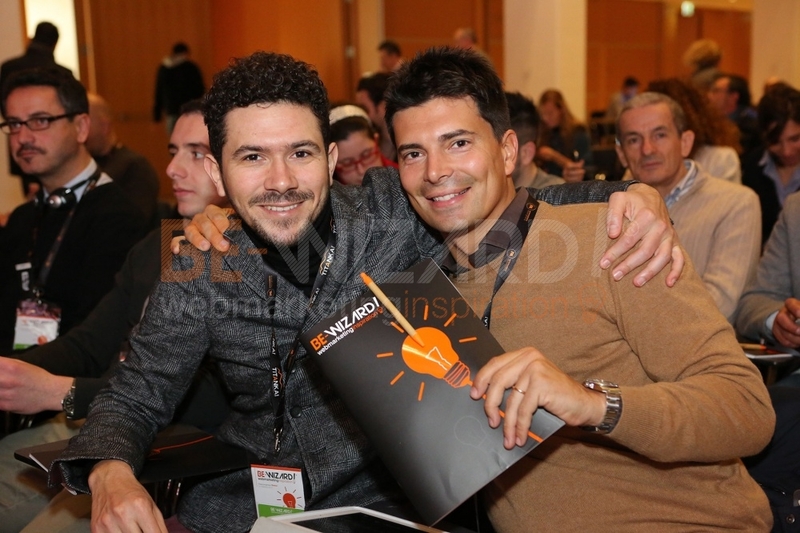 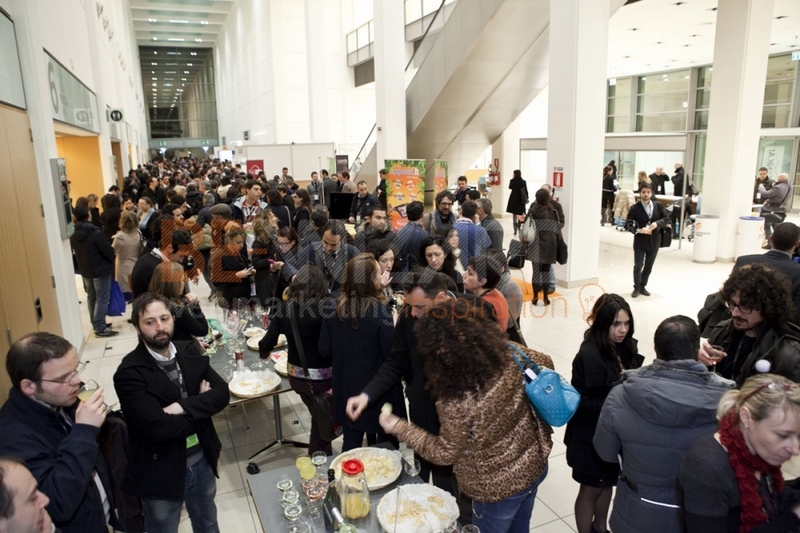 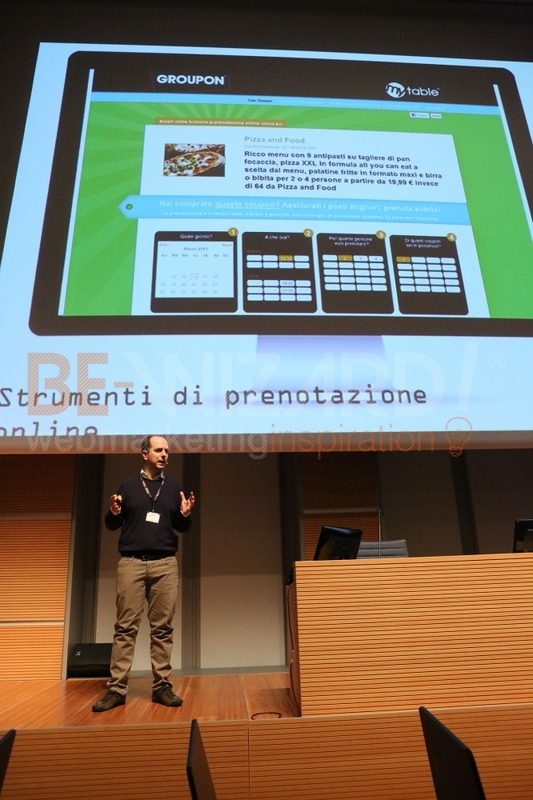 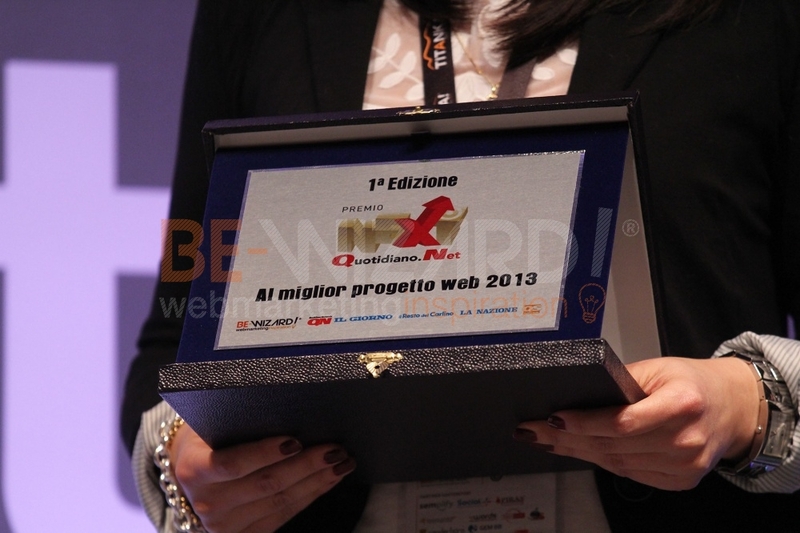 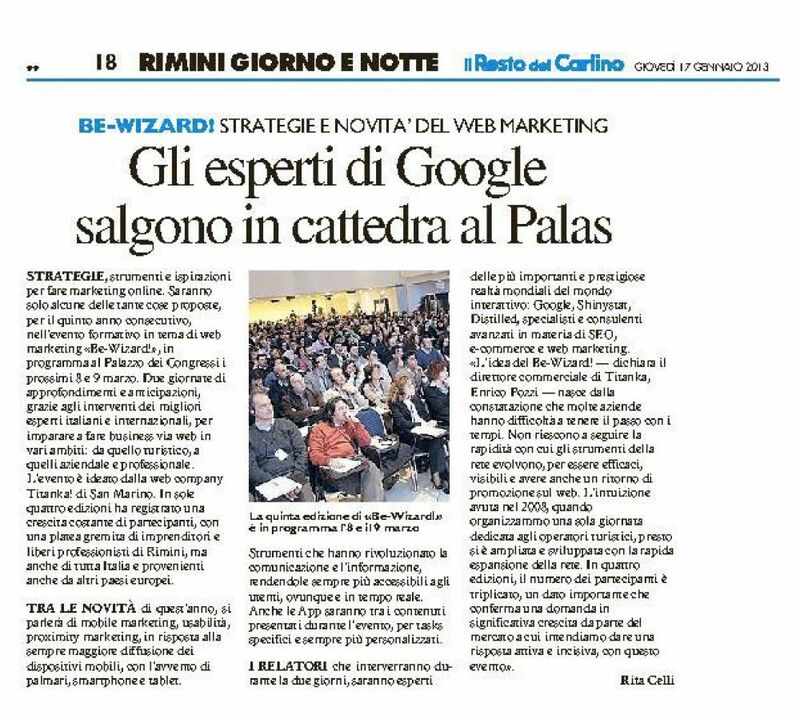 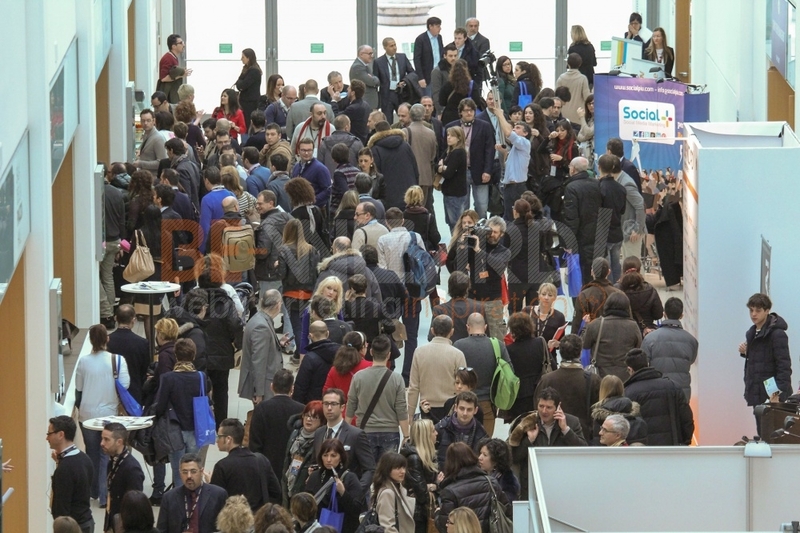 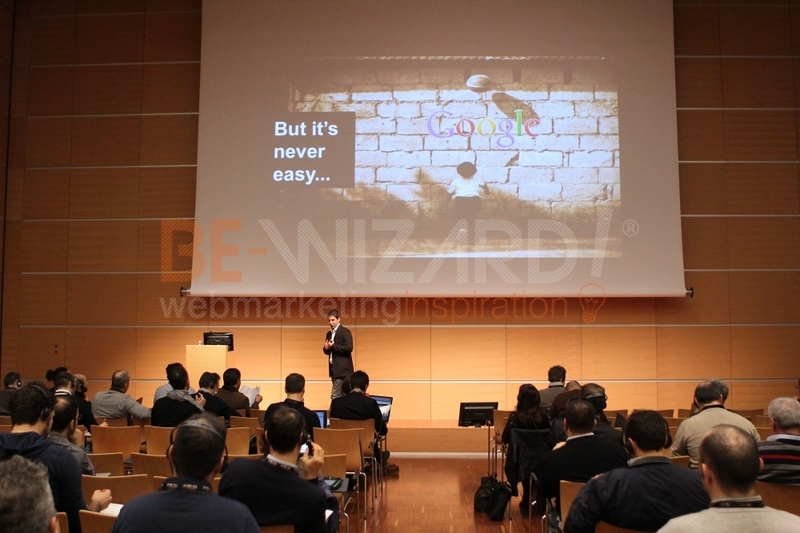 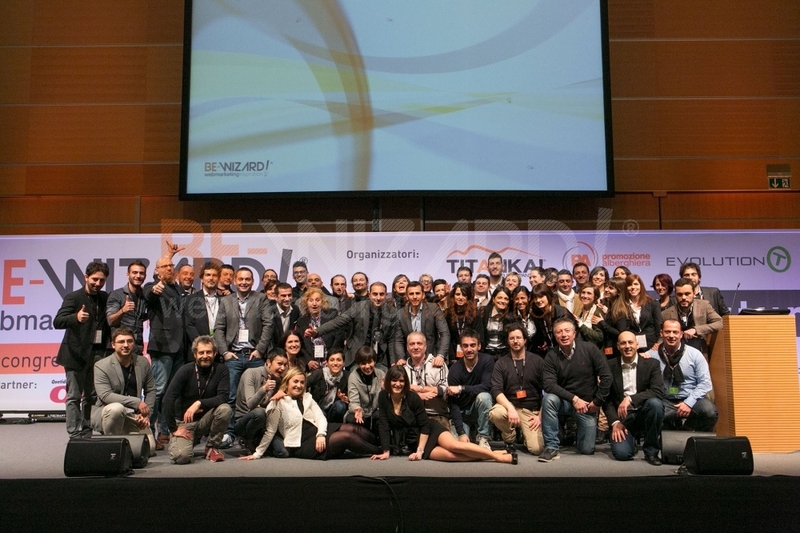 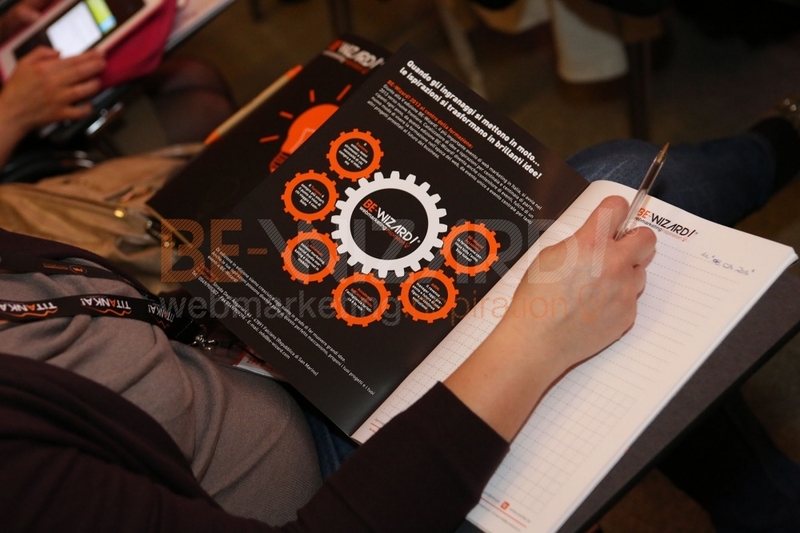 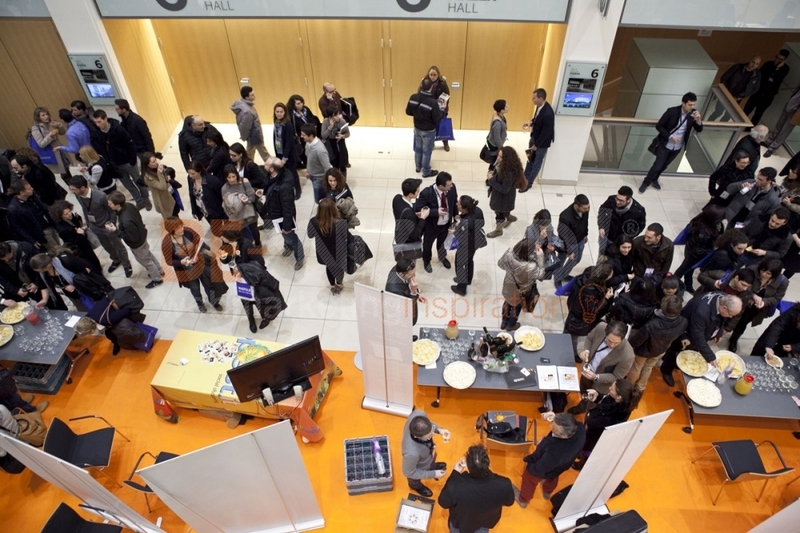 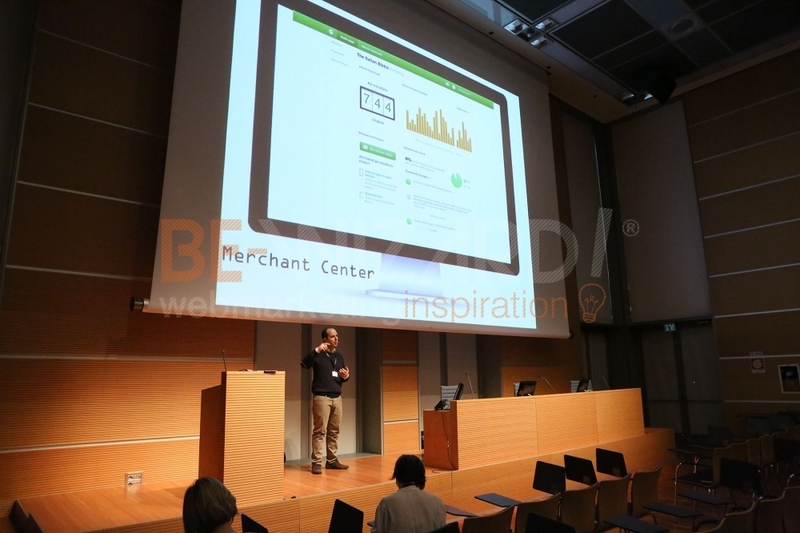 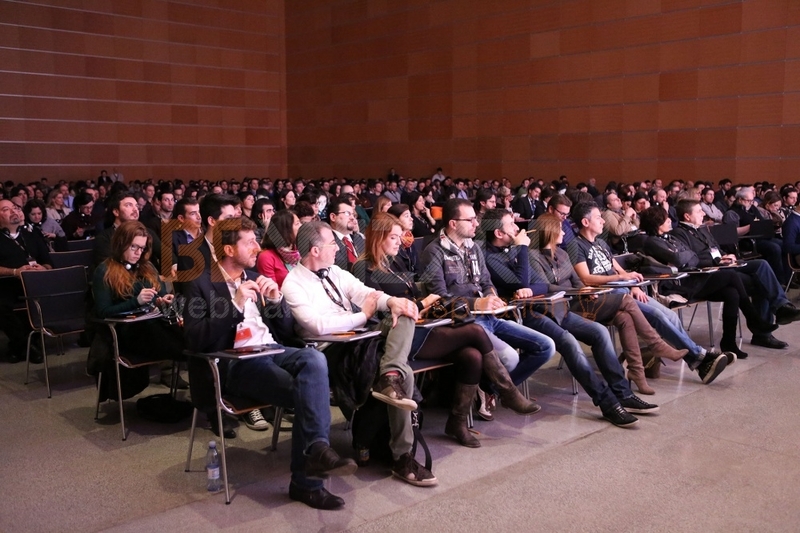 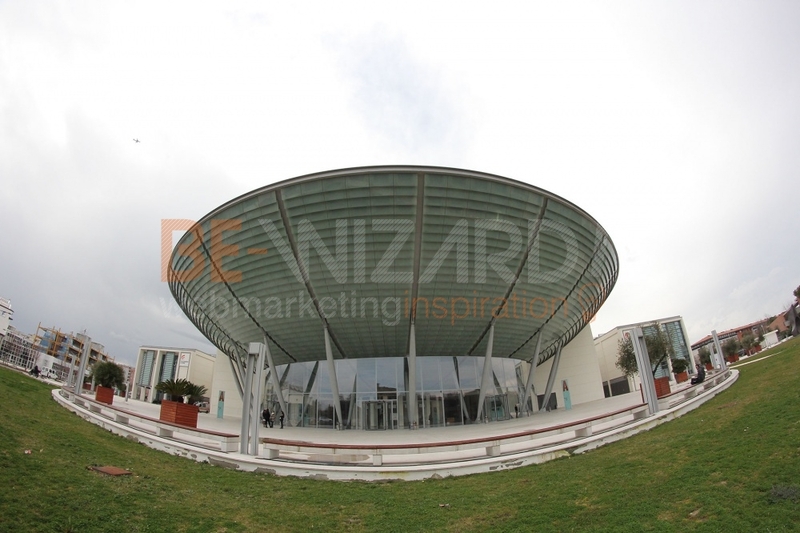 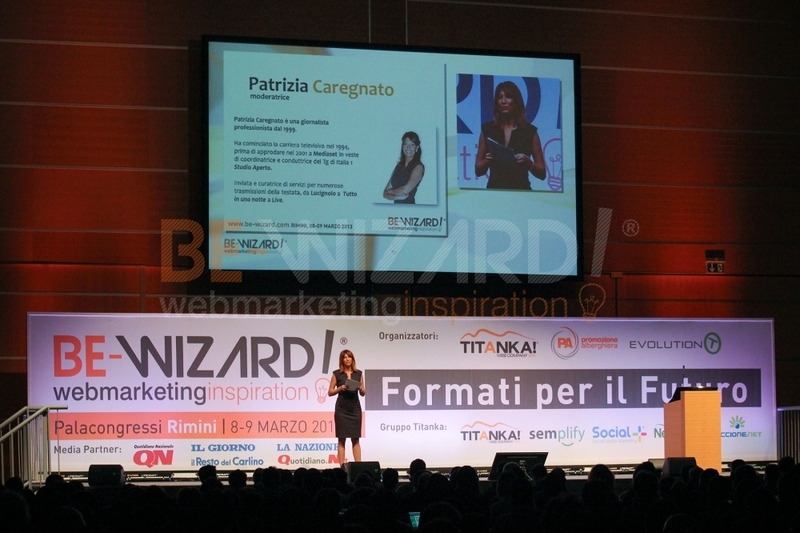 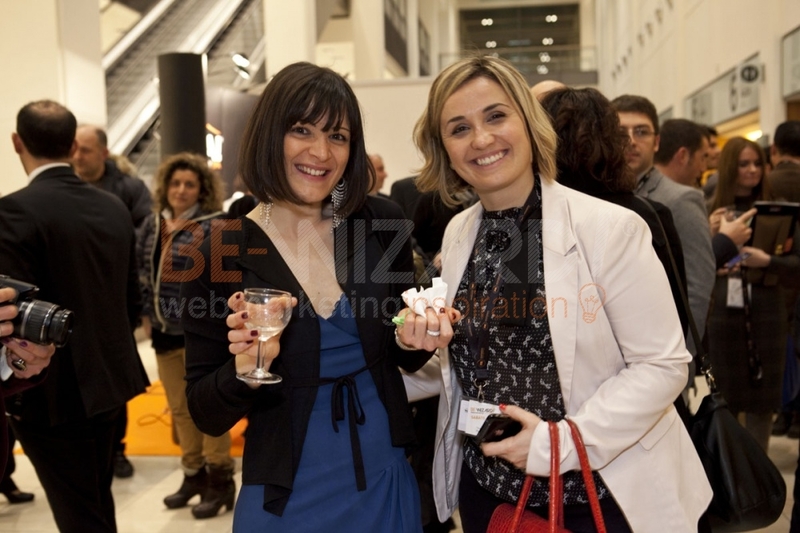 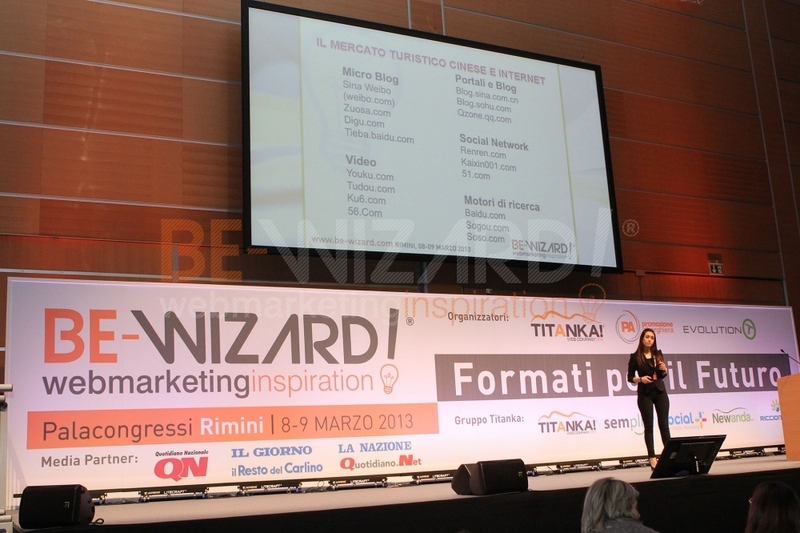 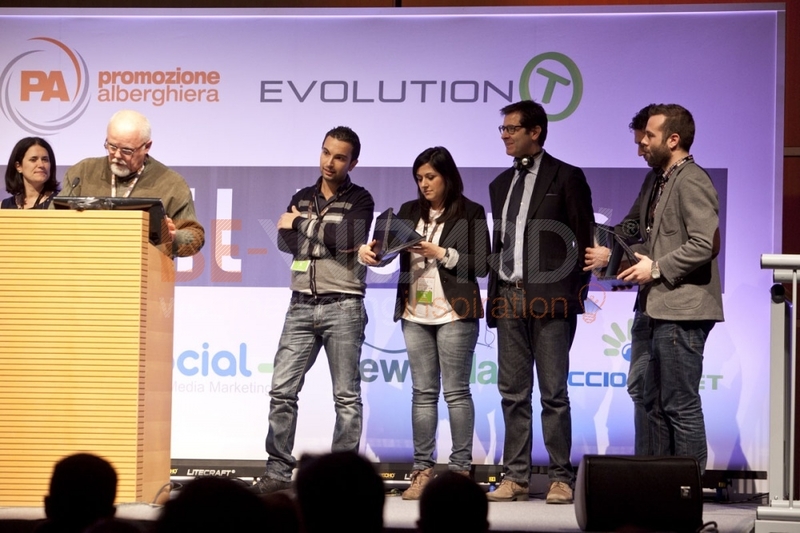 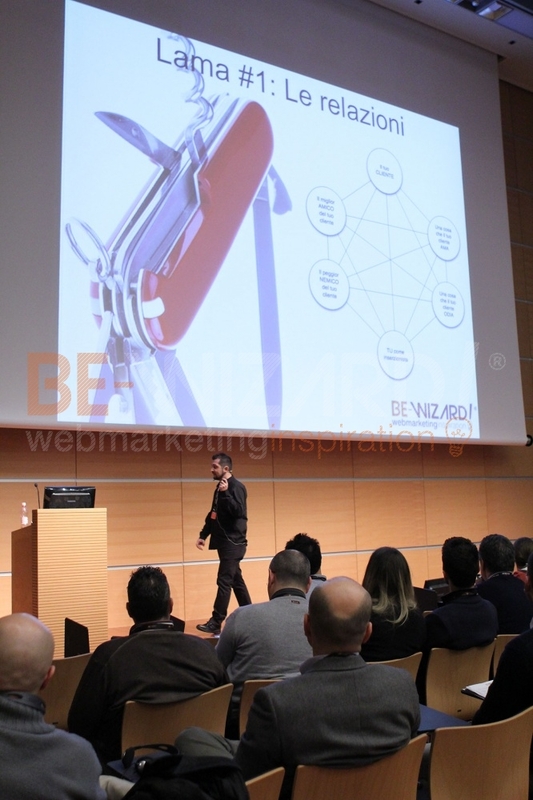 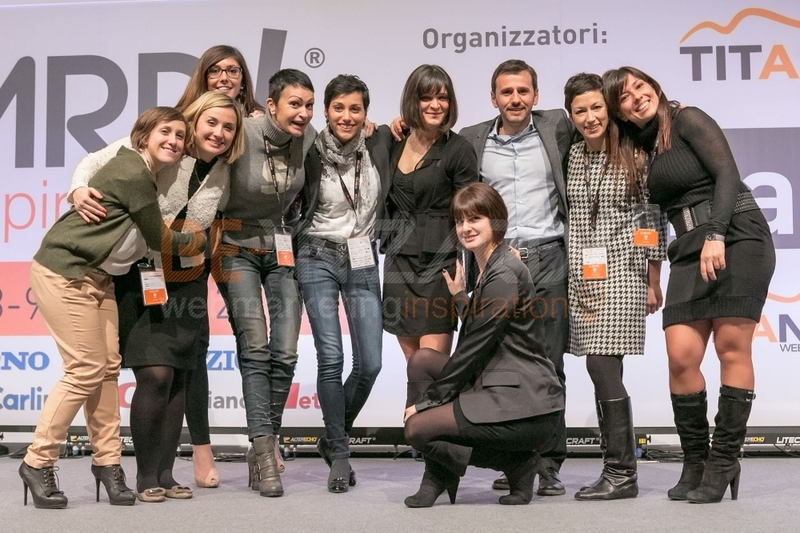 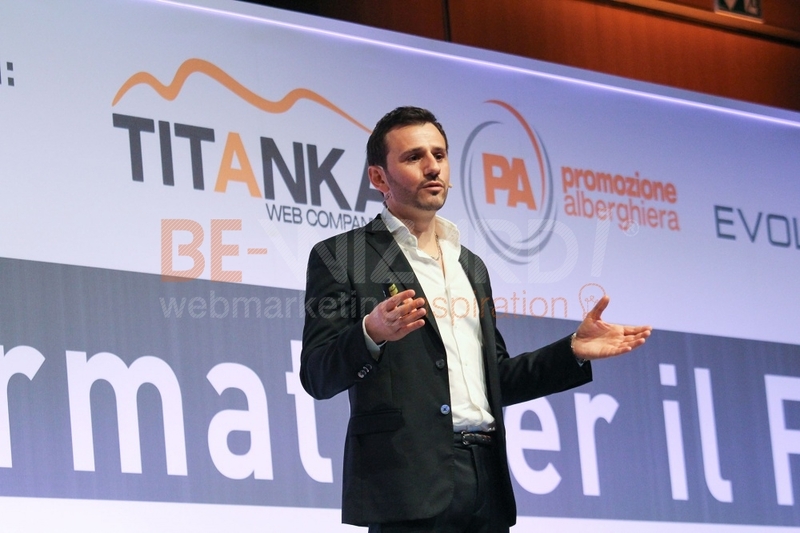 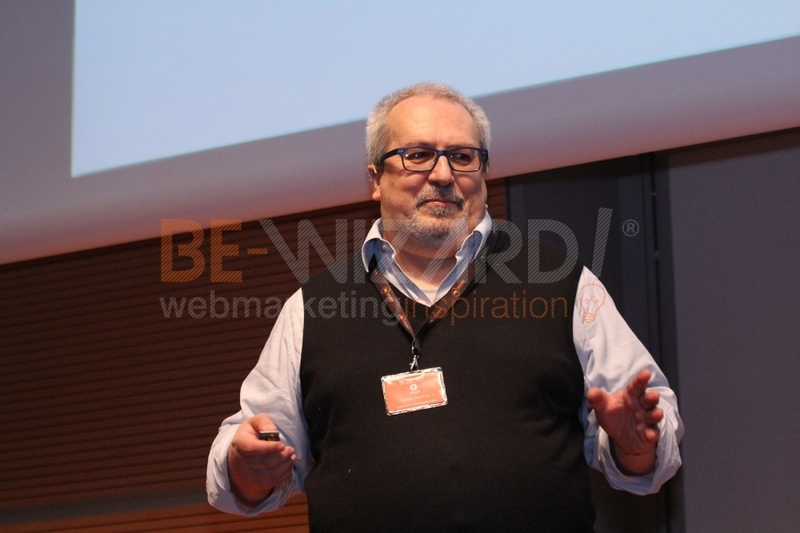 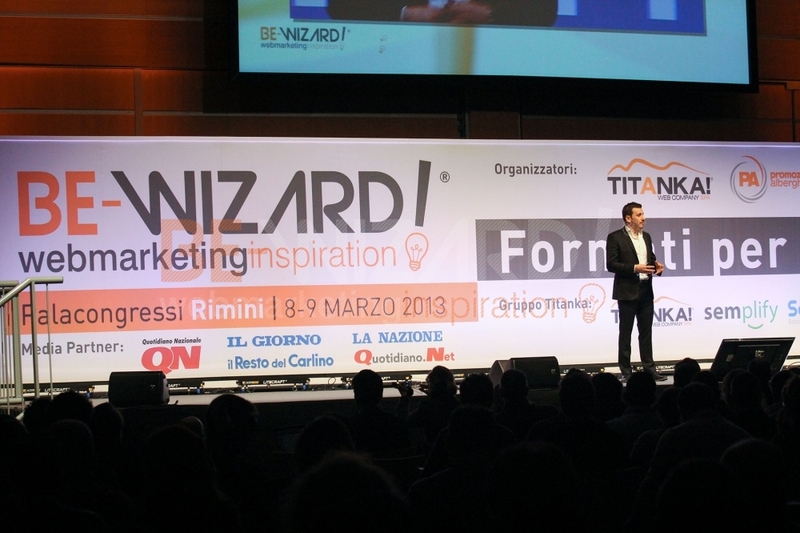 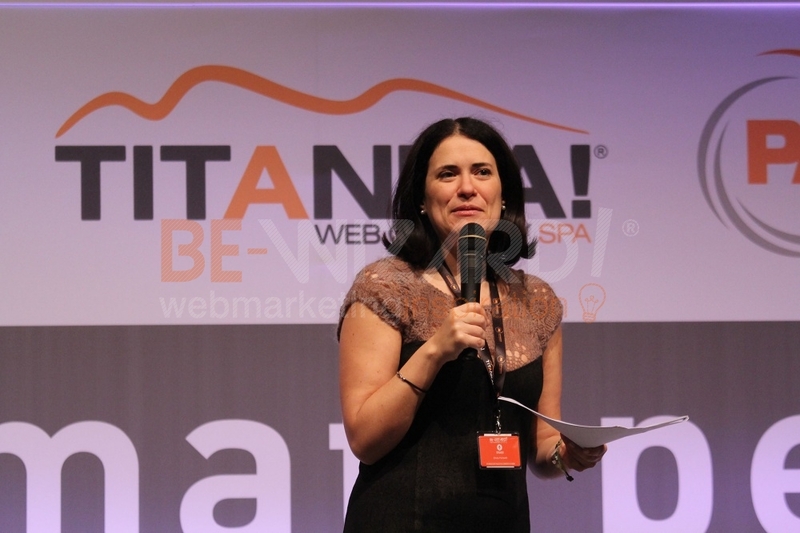 It is the most important web marketing event in Italy and targeted at web marketing professionals and those who invest in online promotion and sales of digital devices. 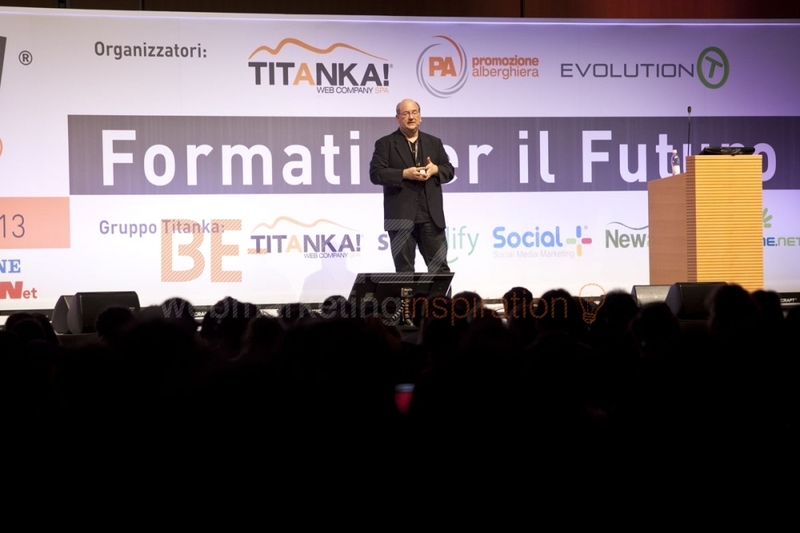 As usual the expectations were high but went beyond thanks to a large and enthusiastic audience, exceptional speakers and greatest satisfaction of all participants. 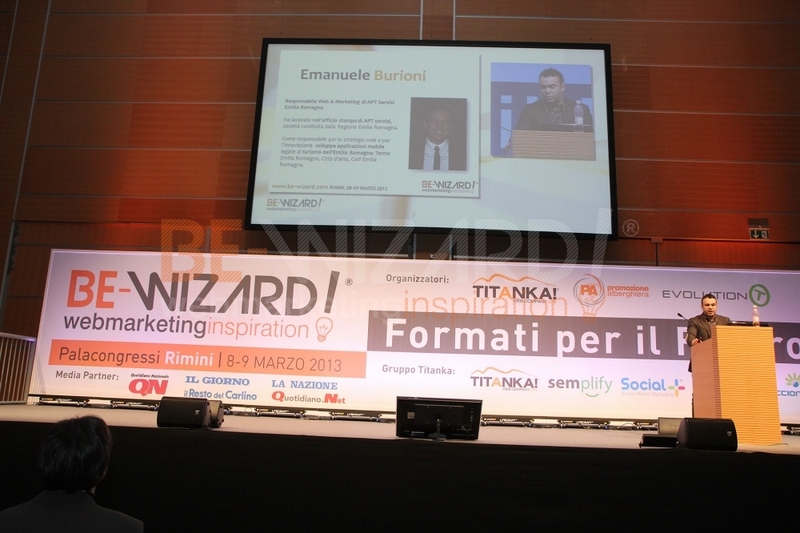 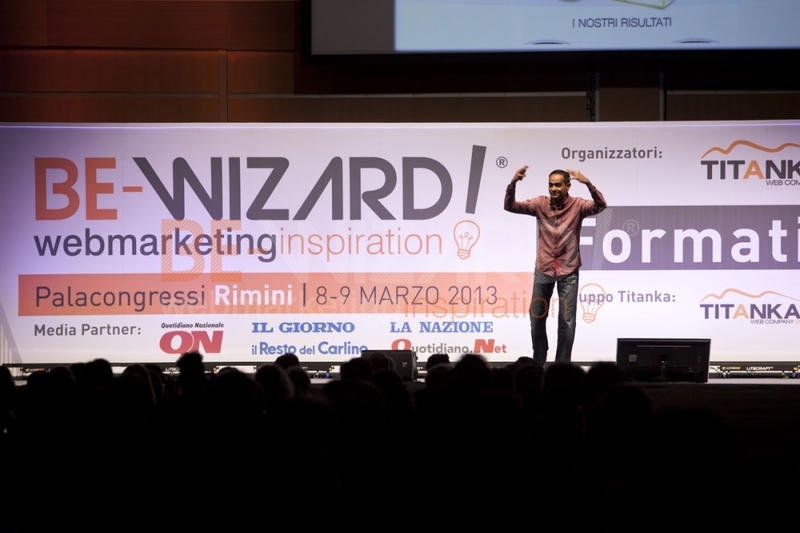 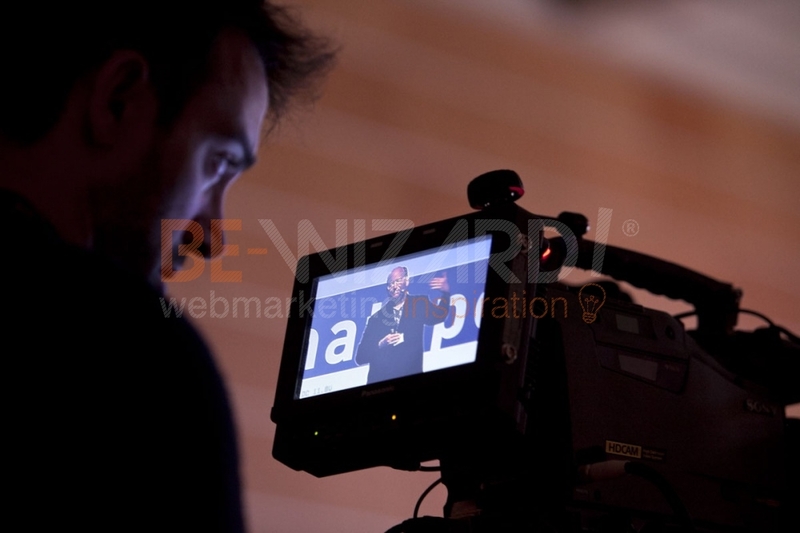 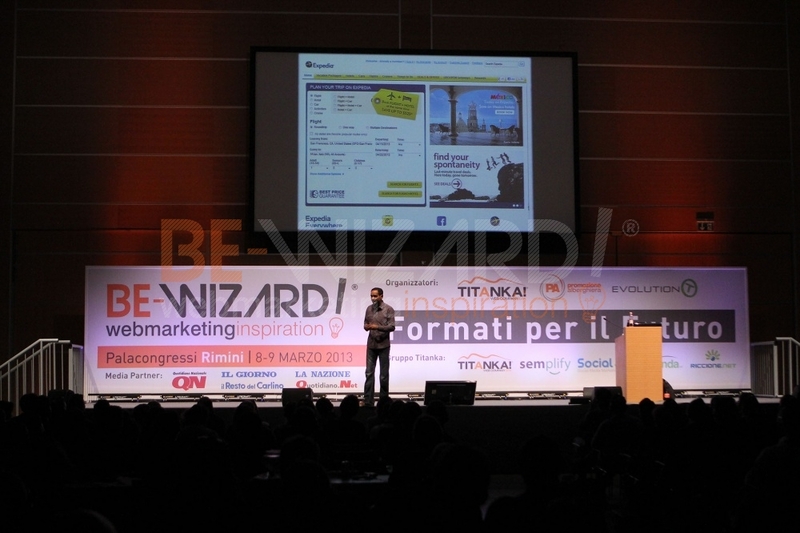 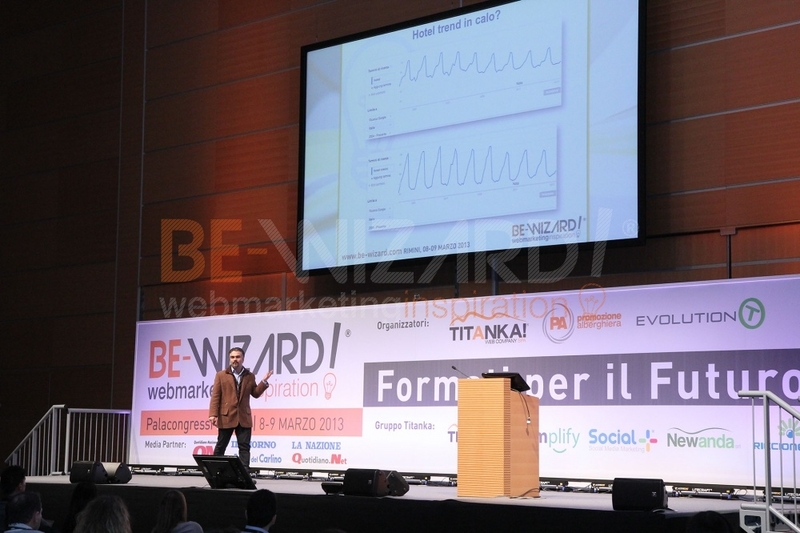 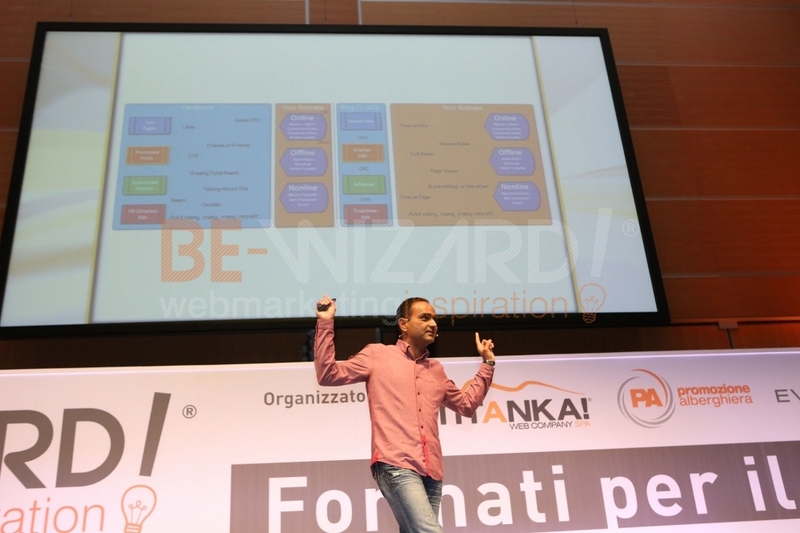 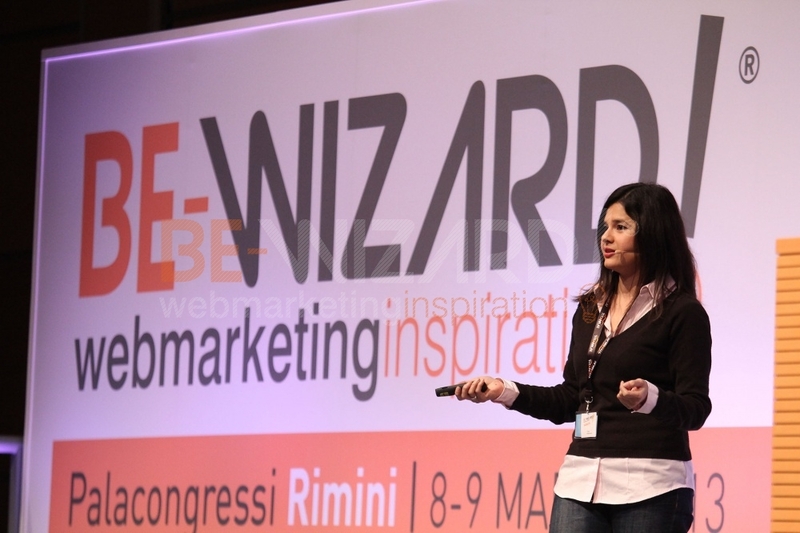 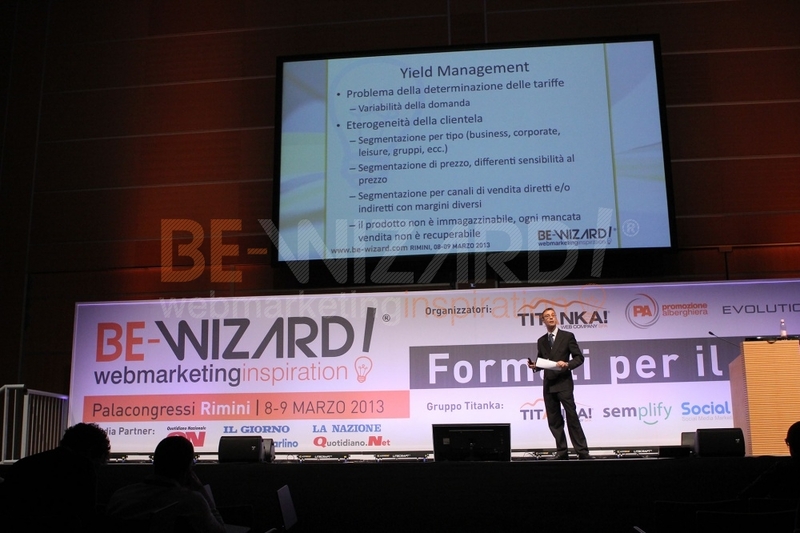 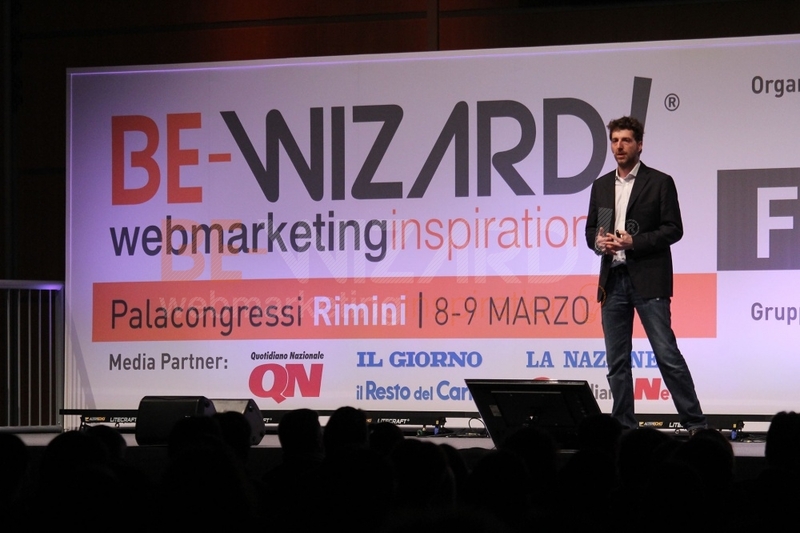 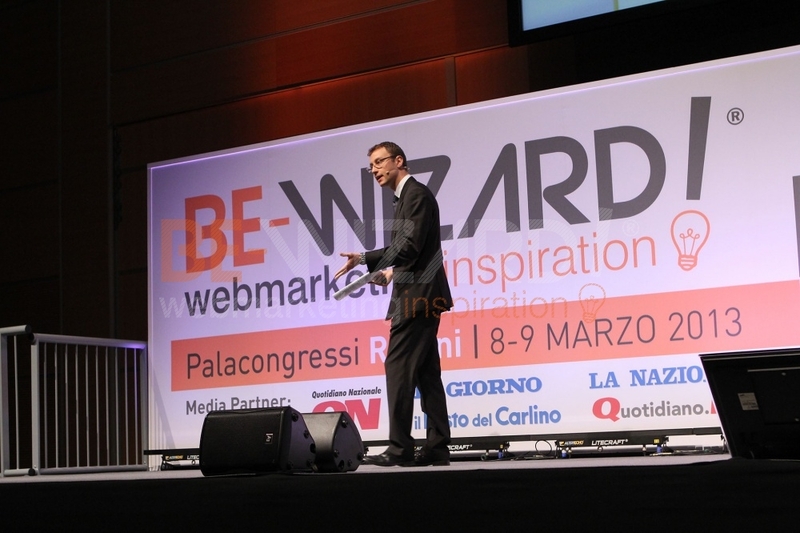 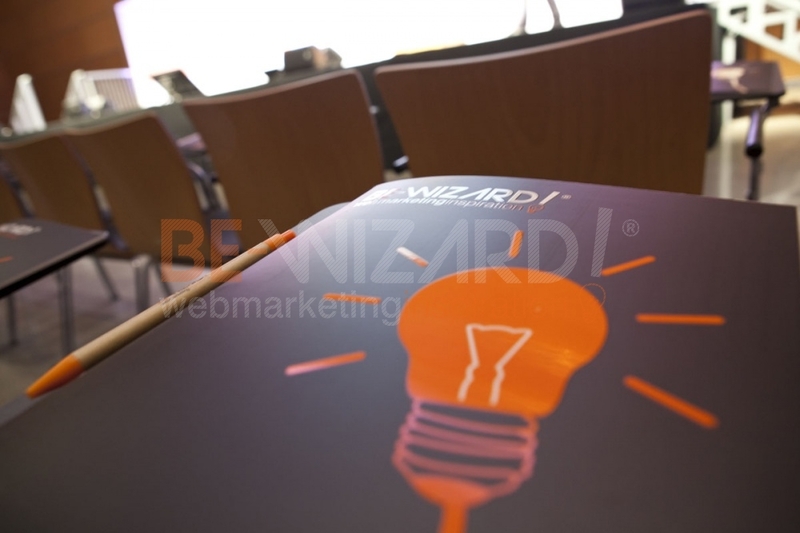 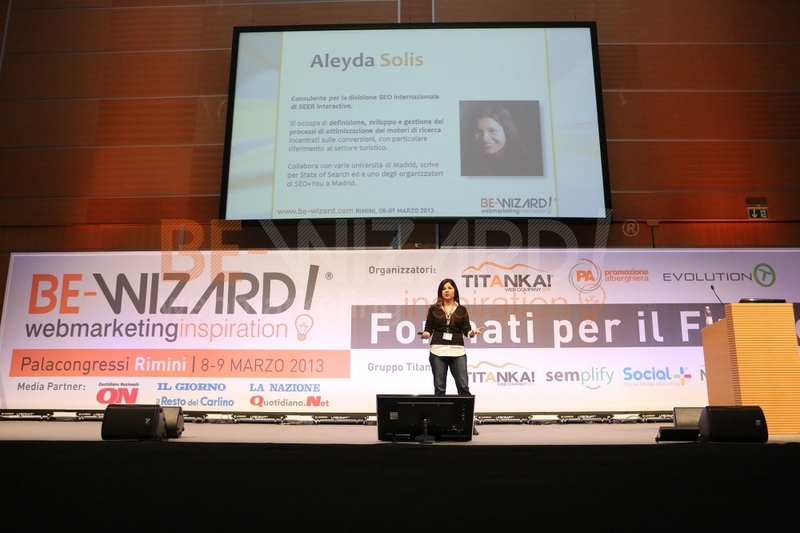 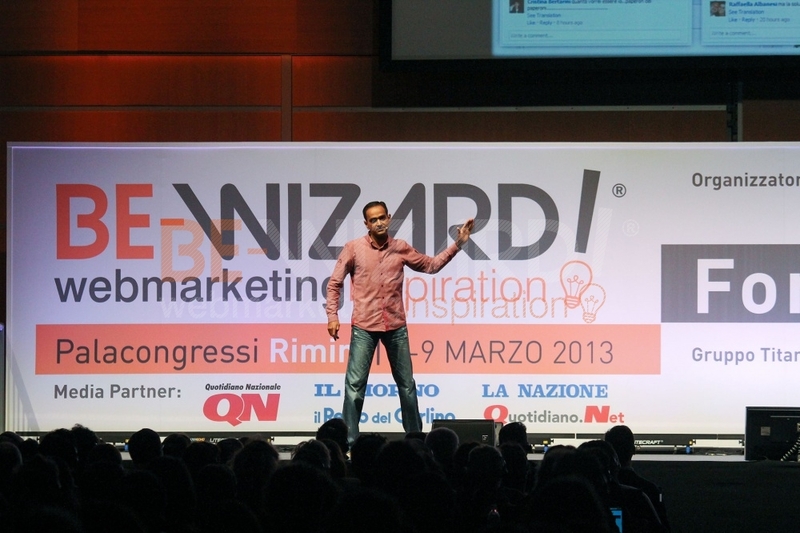 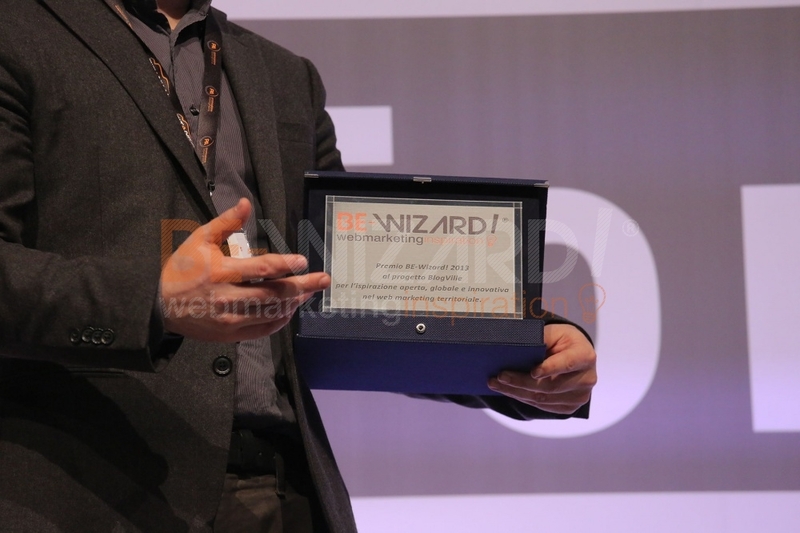 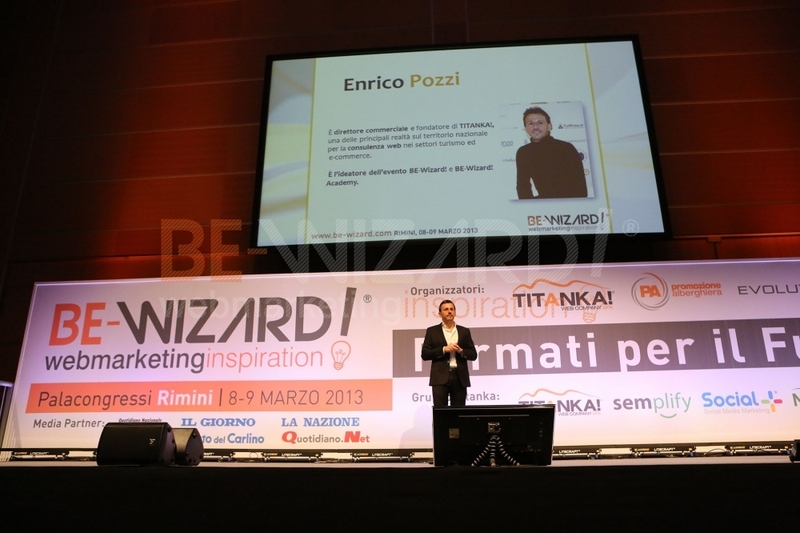 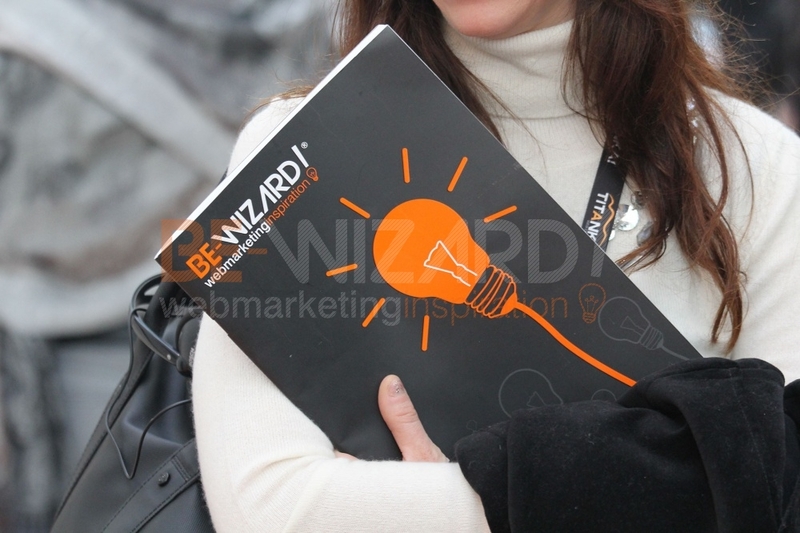 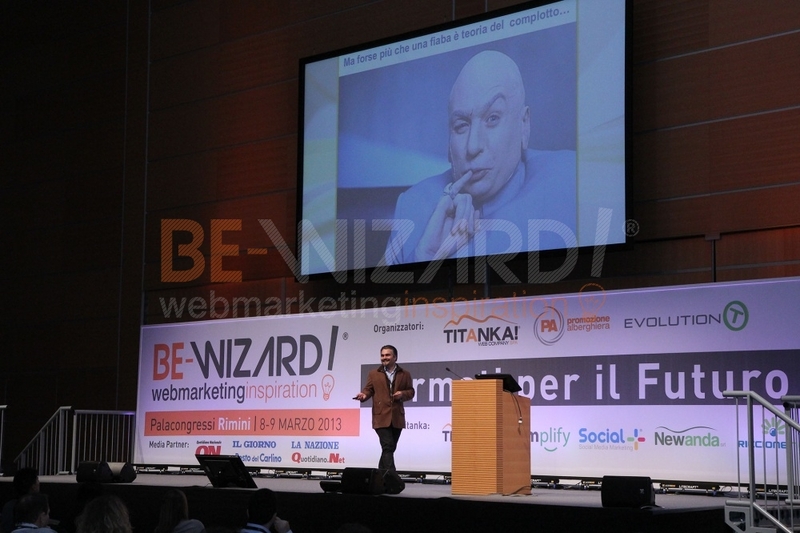 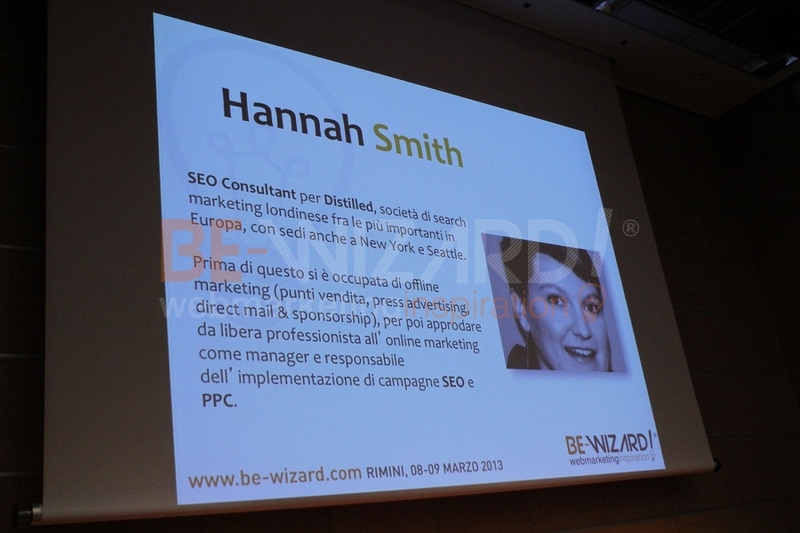 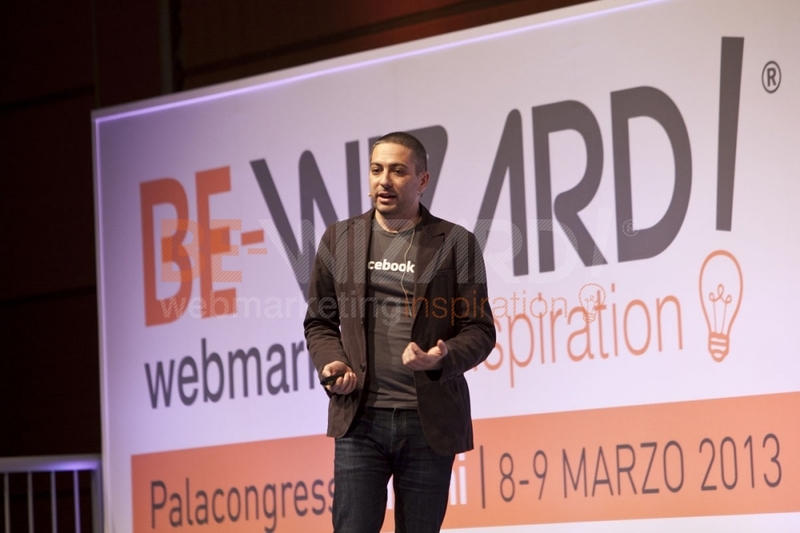 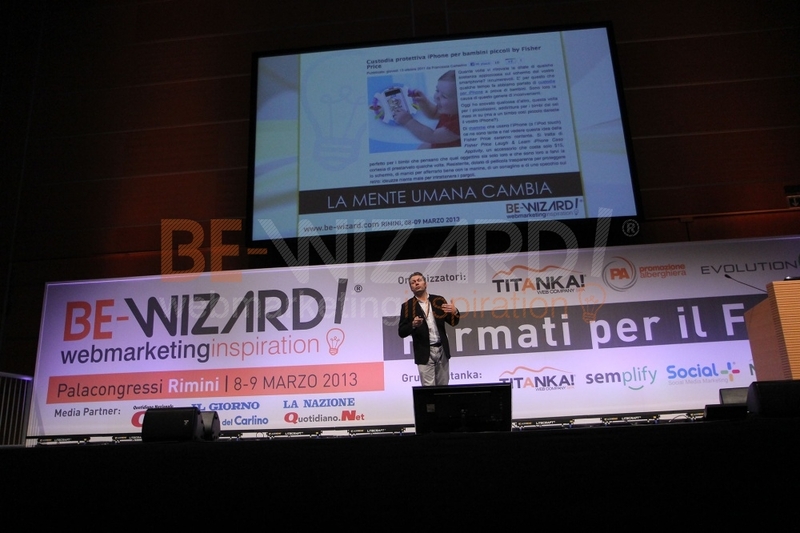 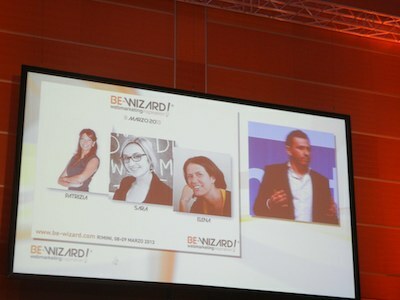 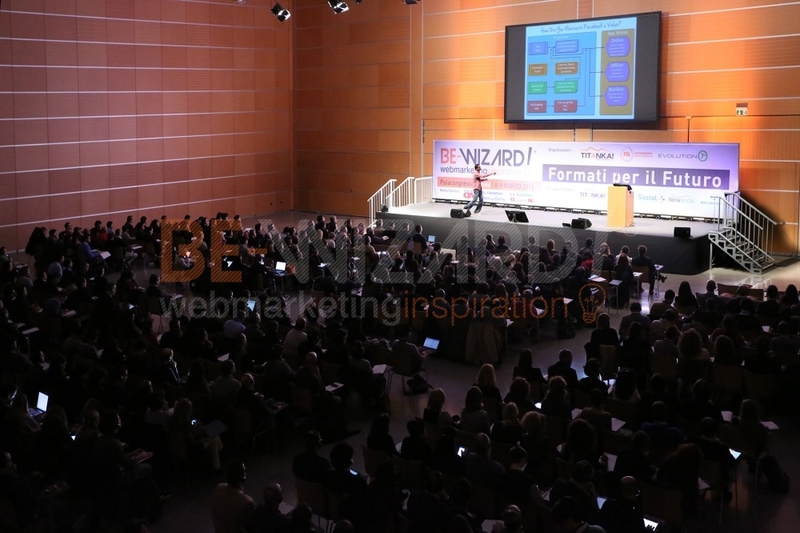 The pay off of BE-Wizard was Web Marketing Inspiration. 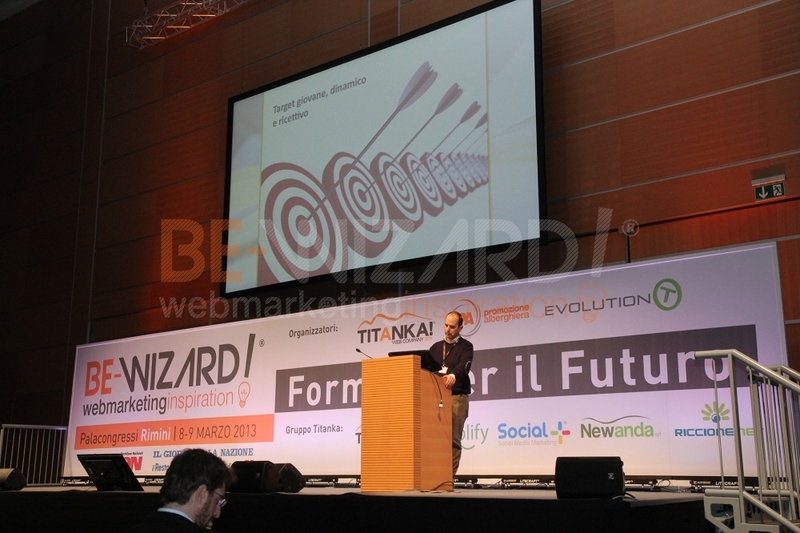 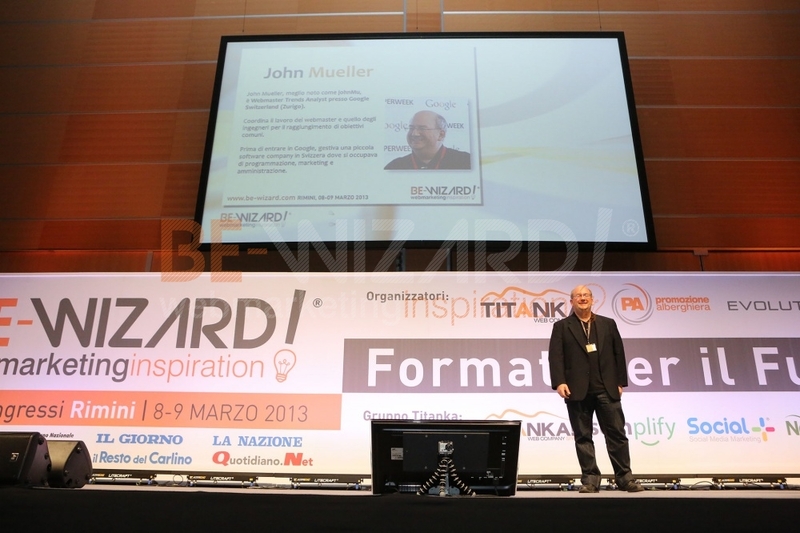 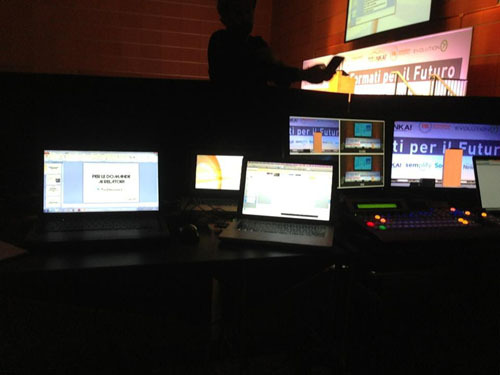 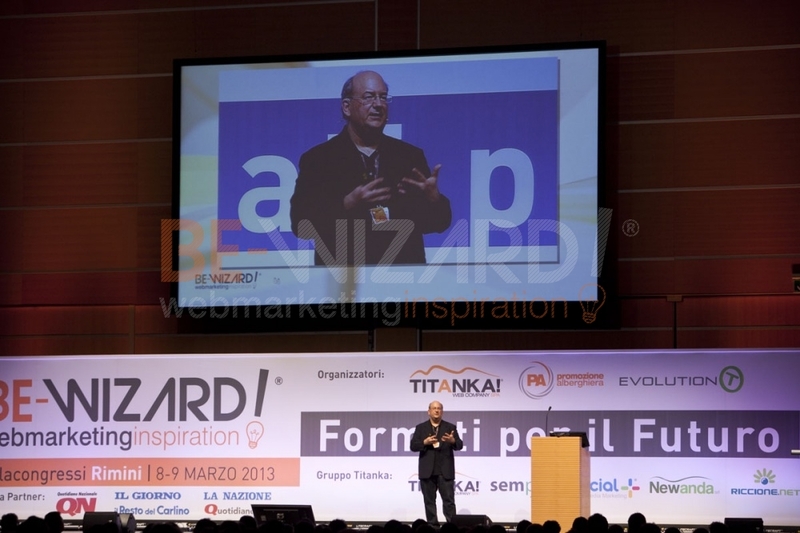 The motto, that changes every year ,was on this occasion dedicated to the fact that the Rimini Web marketing event for hundreds of people represents a moment for the discovery of advanced business ideas, strategies and techniques in the web marketing sector. 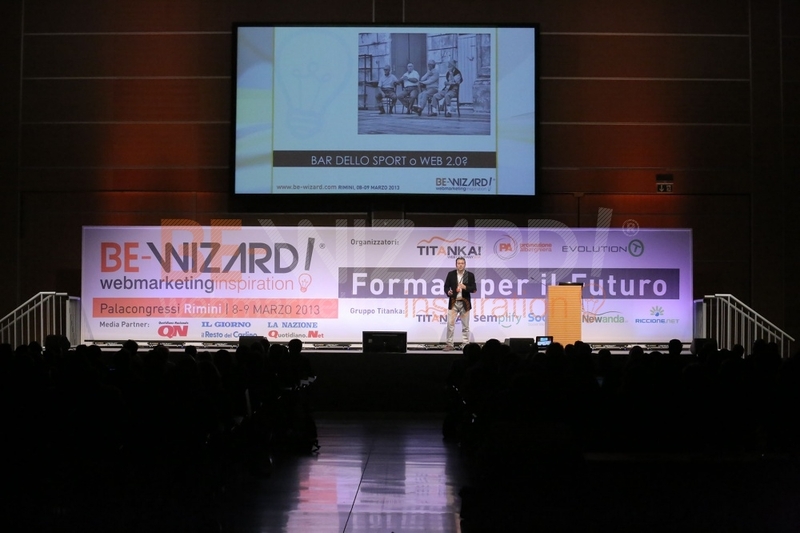 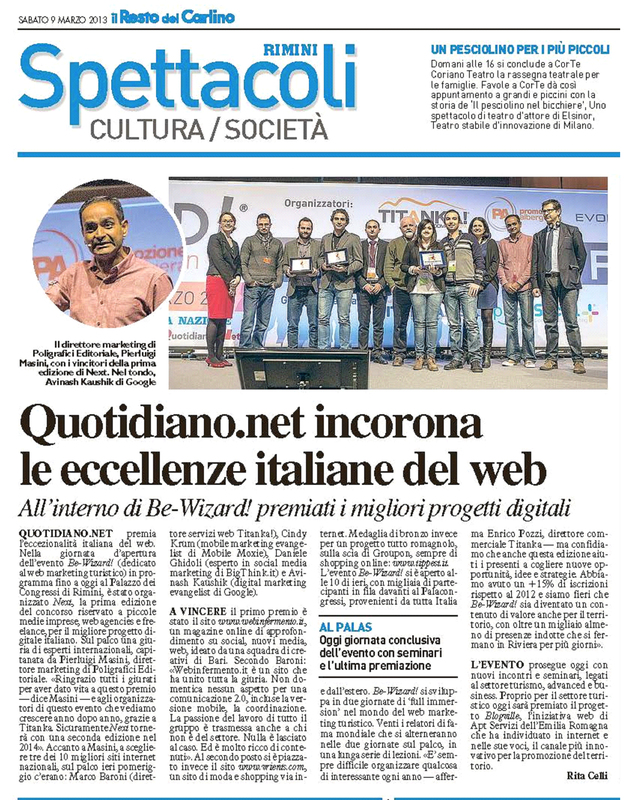 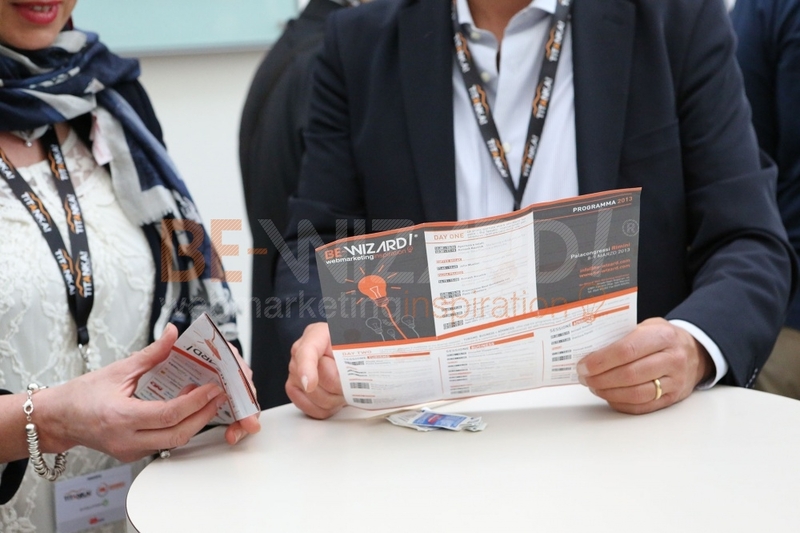 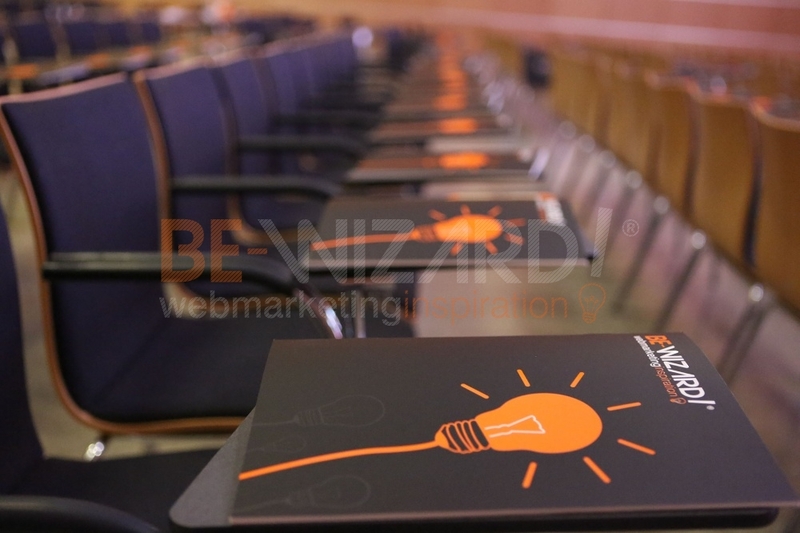 For all of the 750 participants, the 27 national and International speakers that took part in the 2 day course and for the staff and media the event reached its objectives thanks to BE-Wizard! 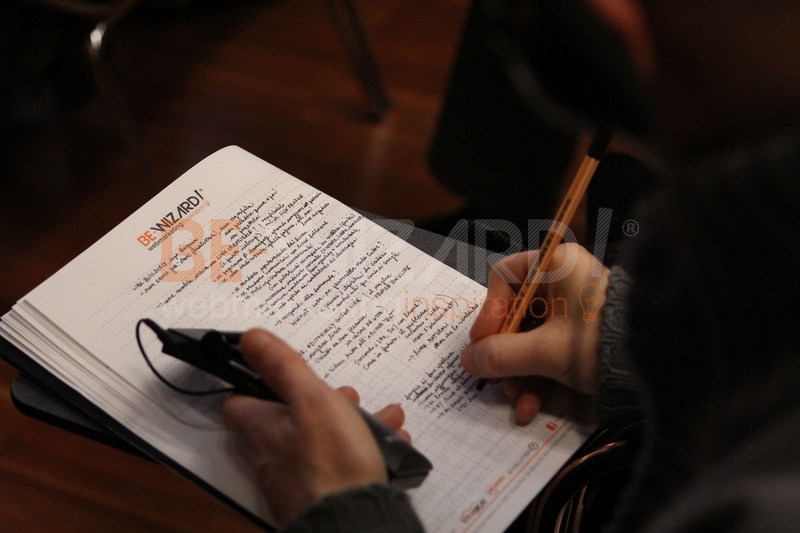 2013.Inspiration, ideas, new activities were created. 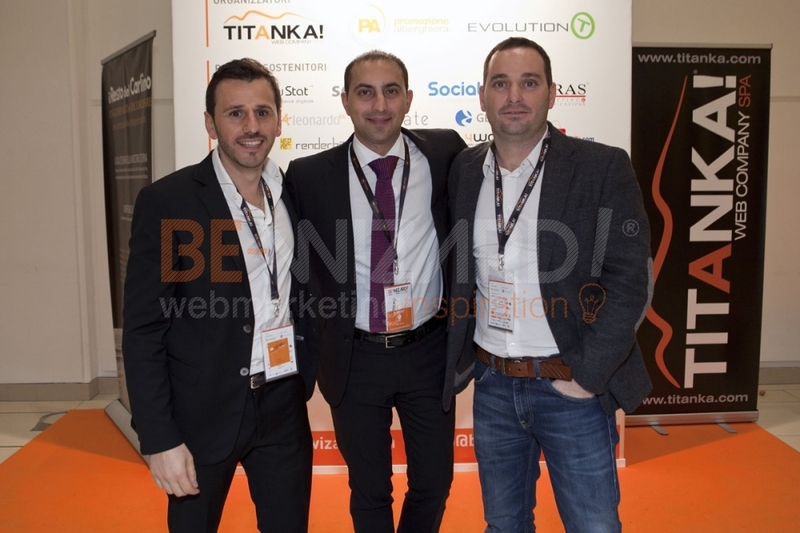 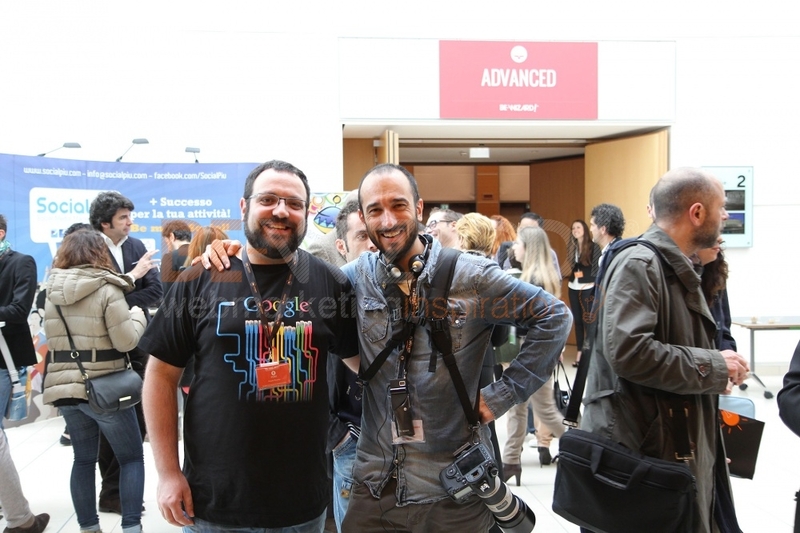 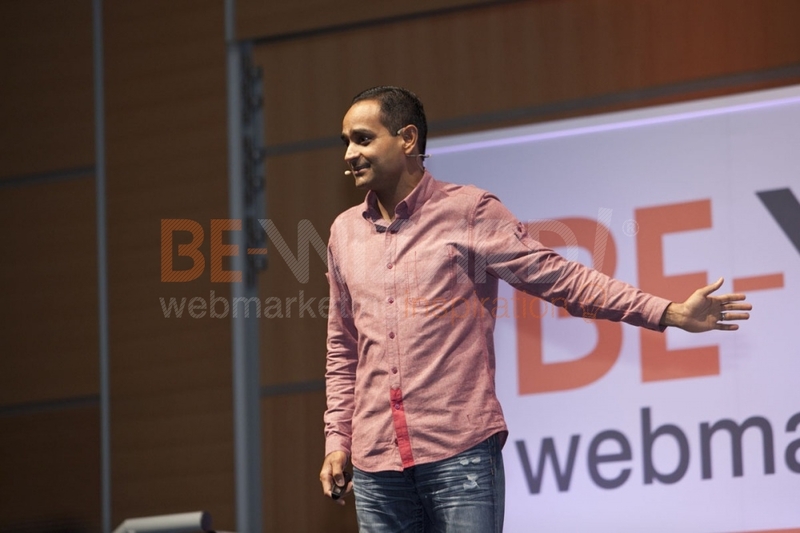 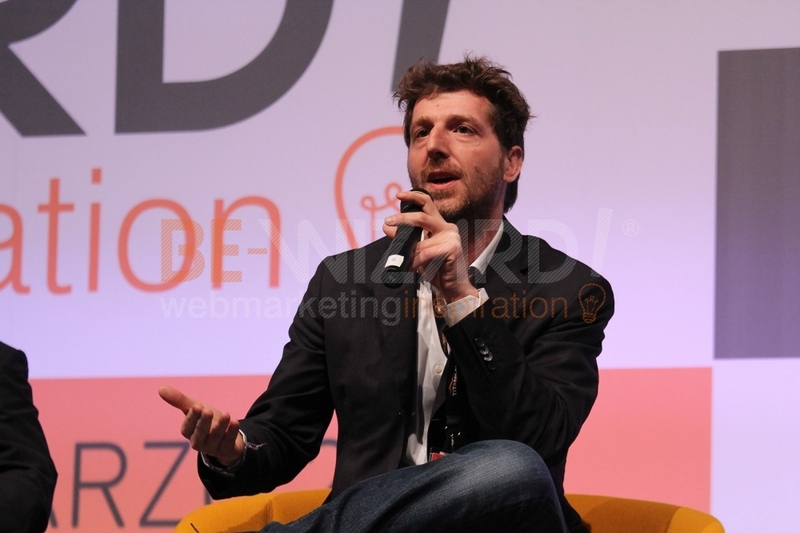 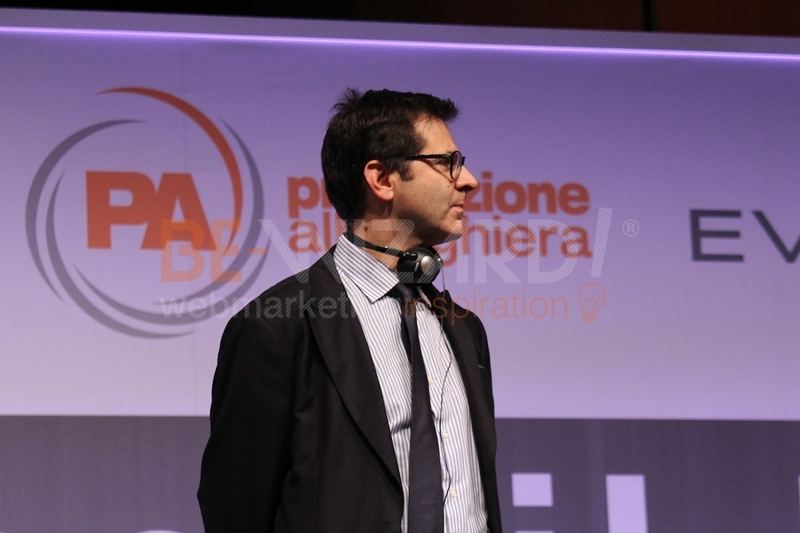 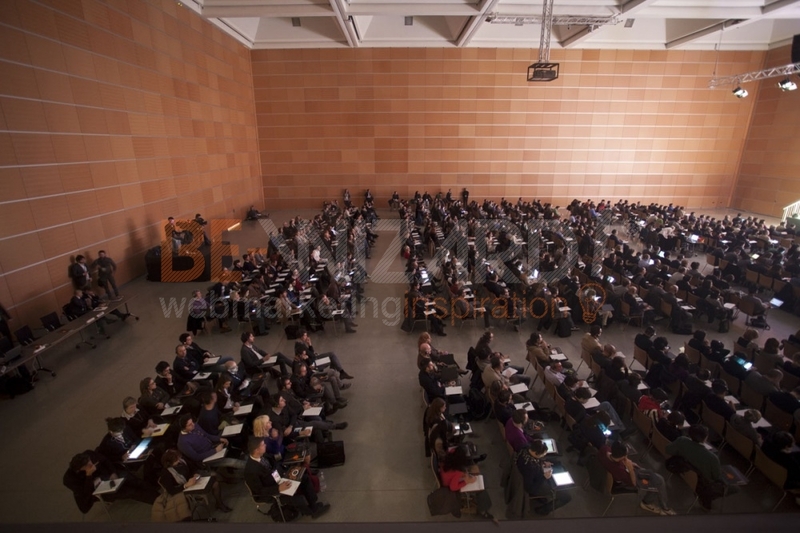 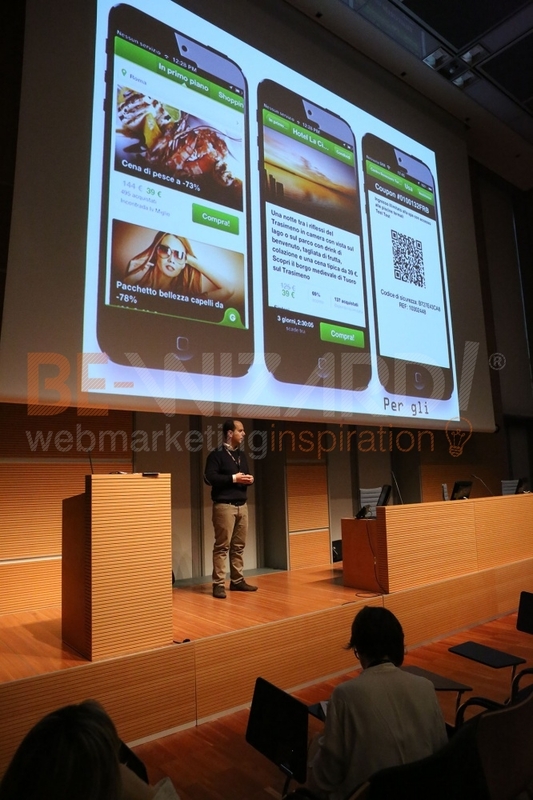 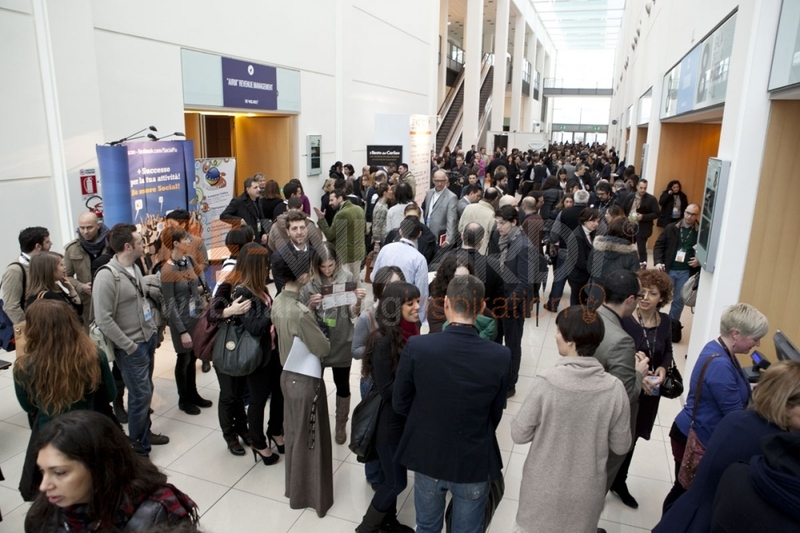 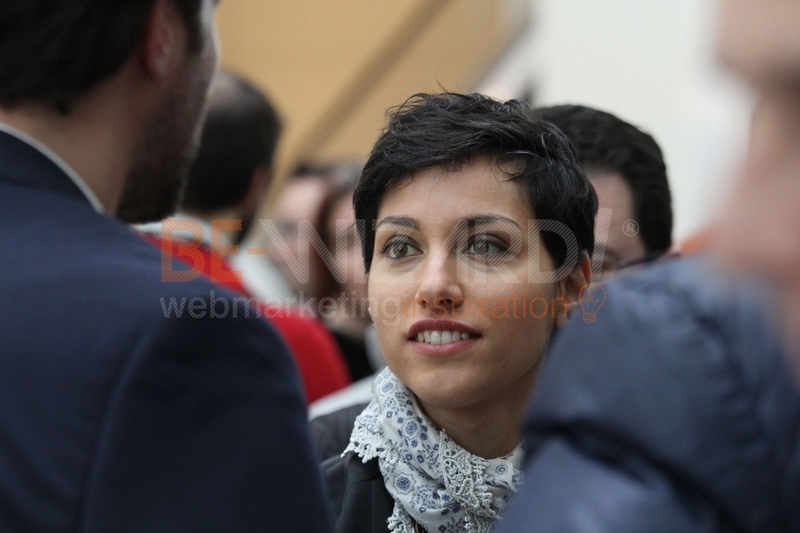 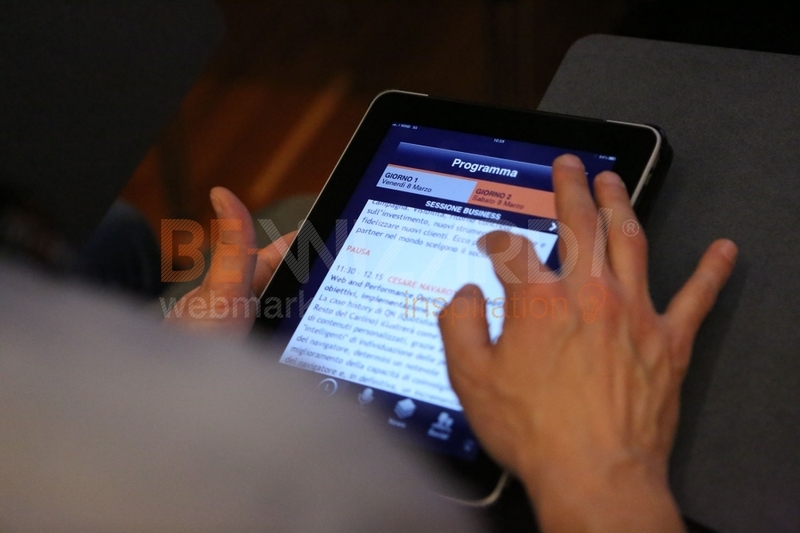 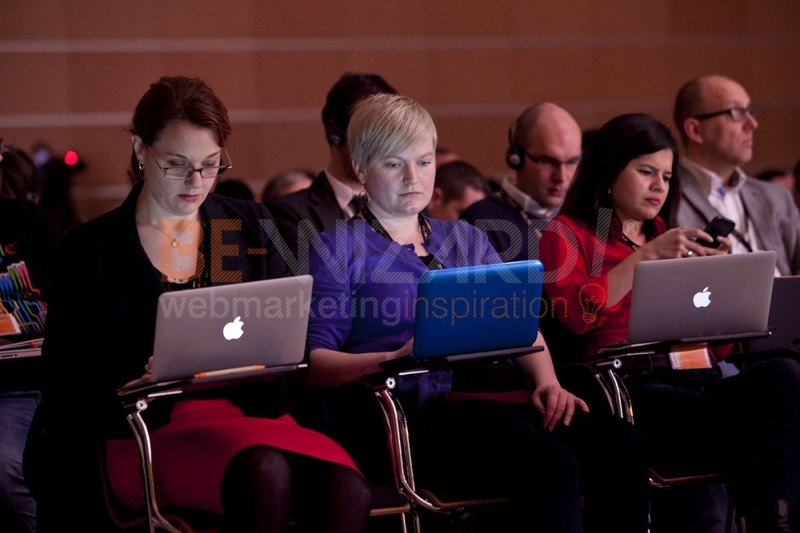 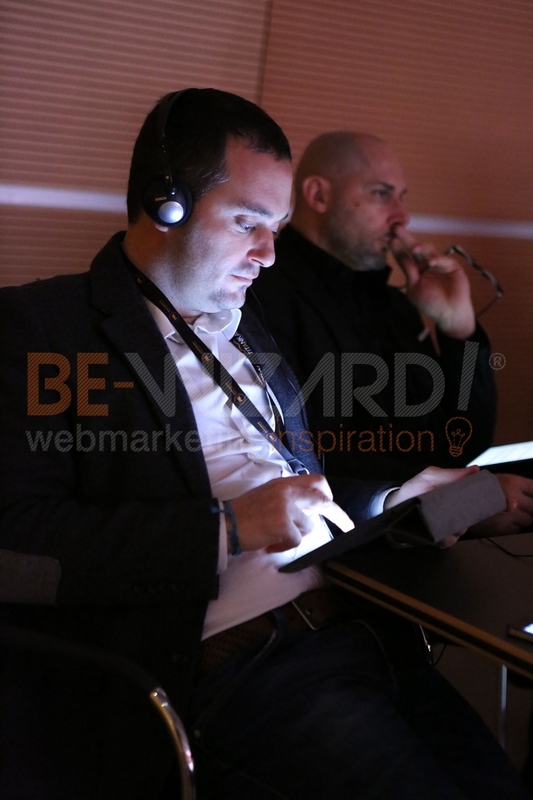 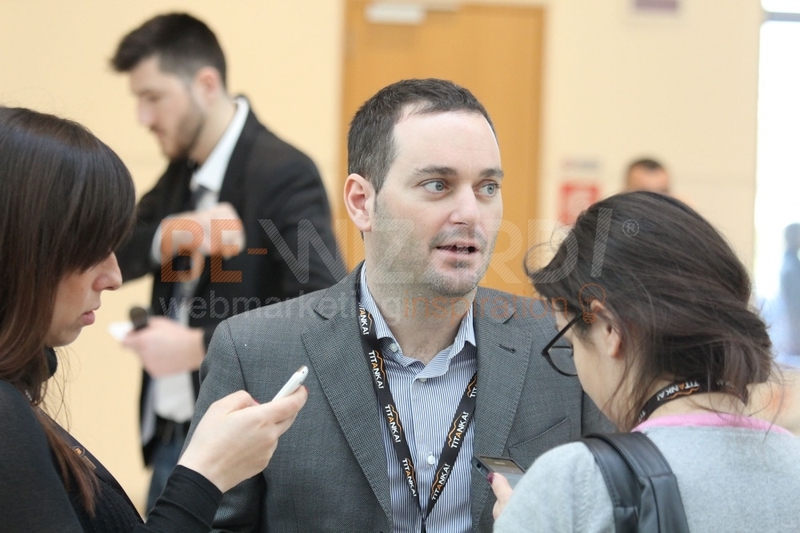 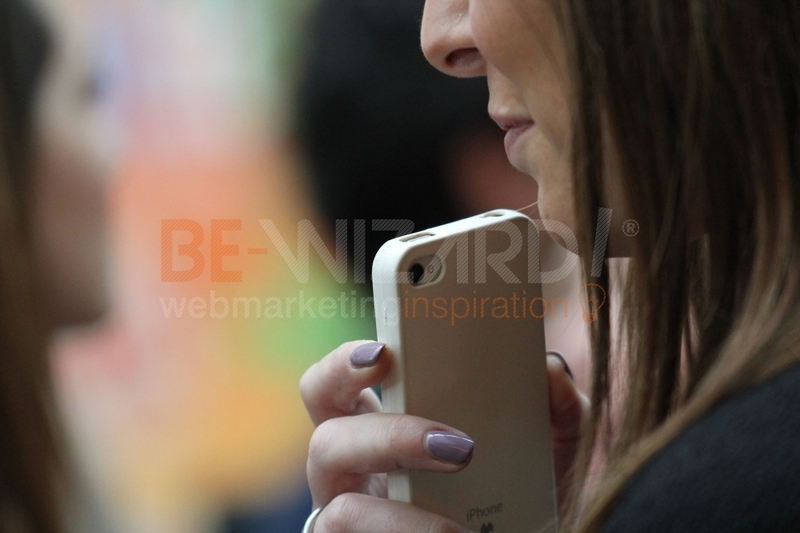 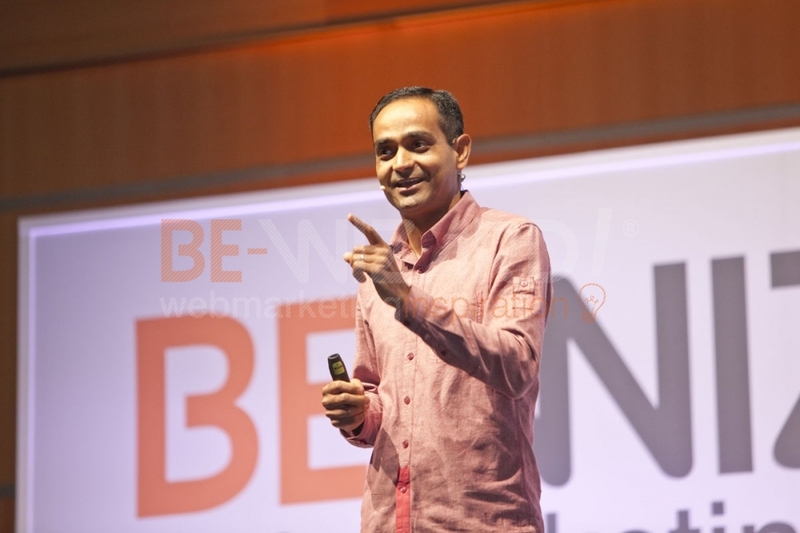 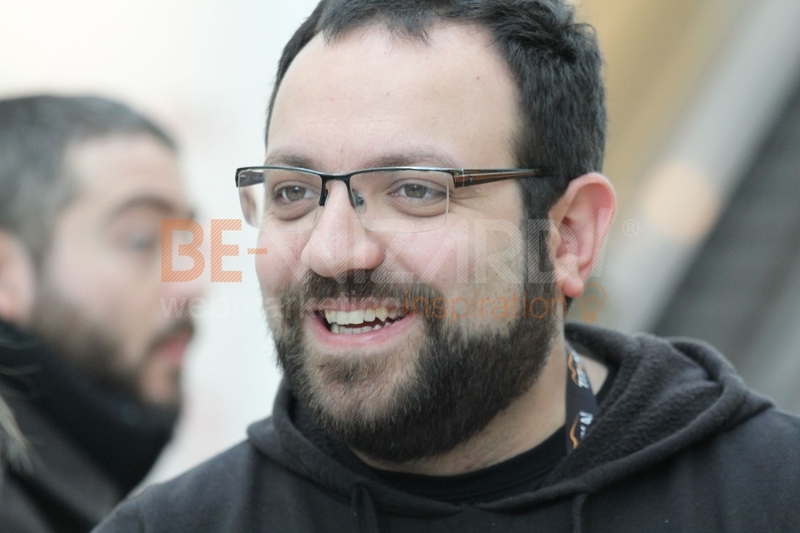 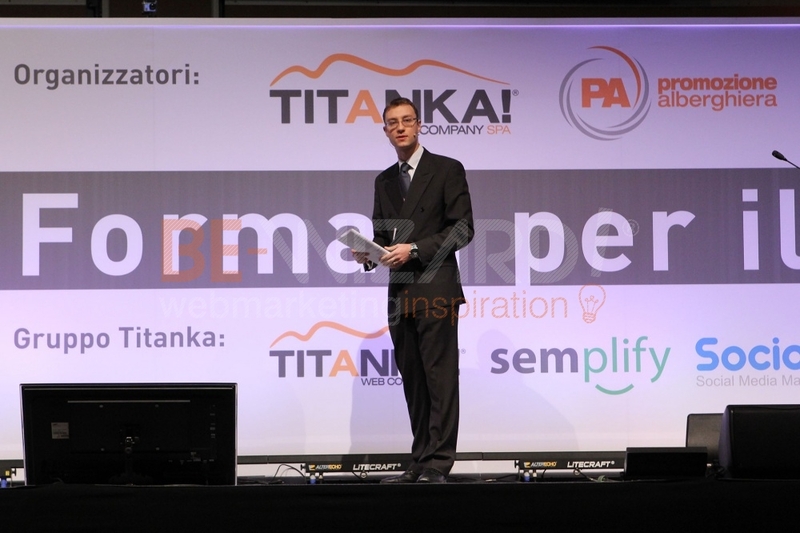 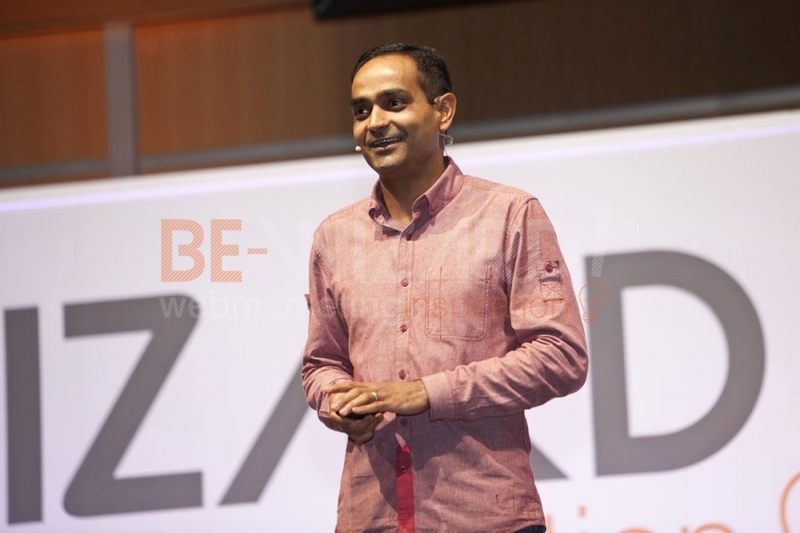 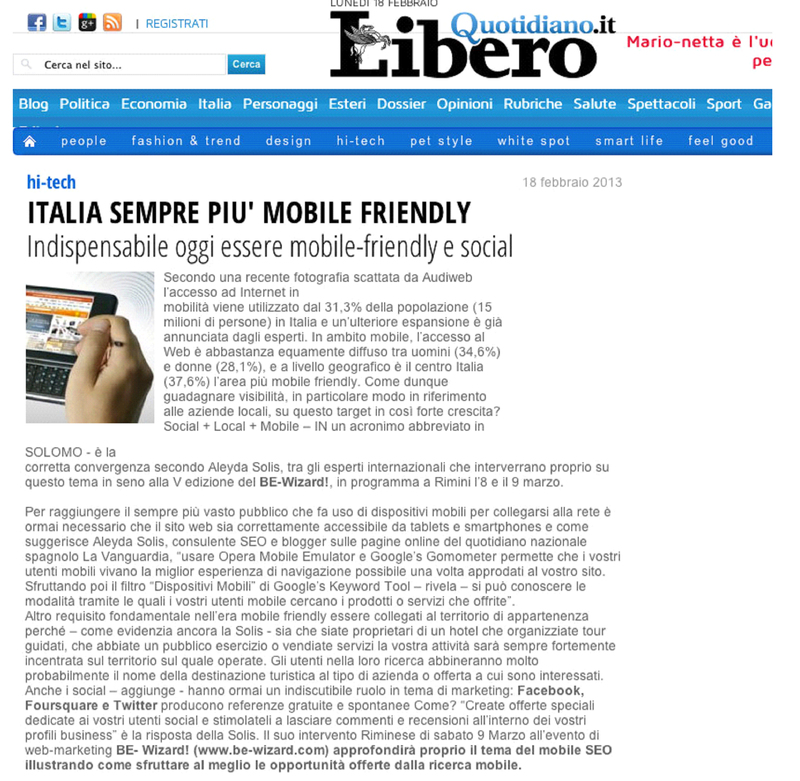 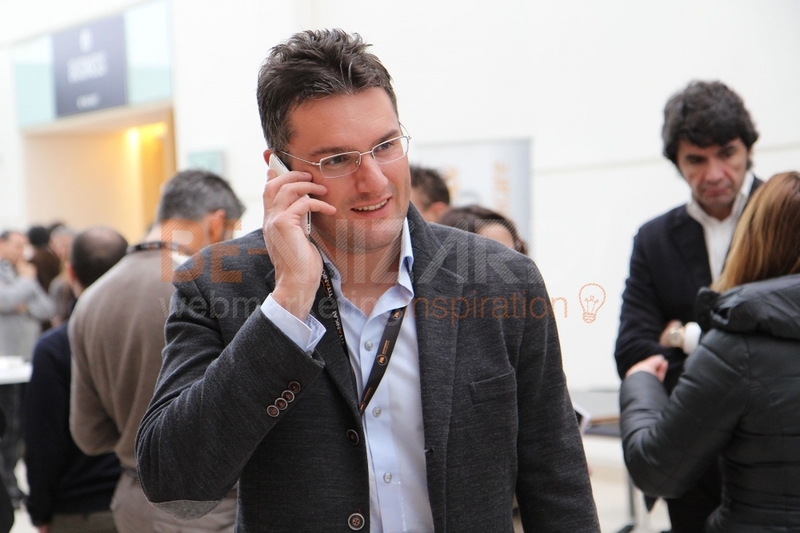 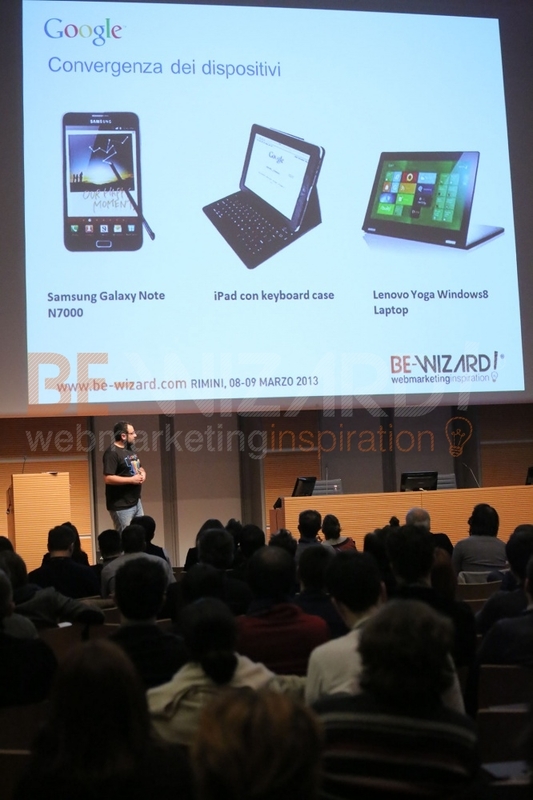 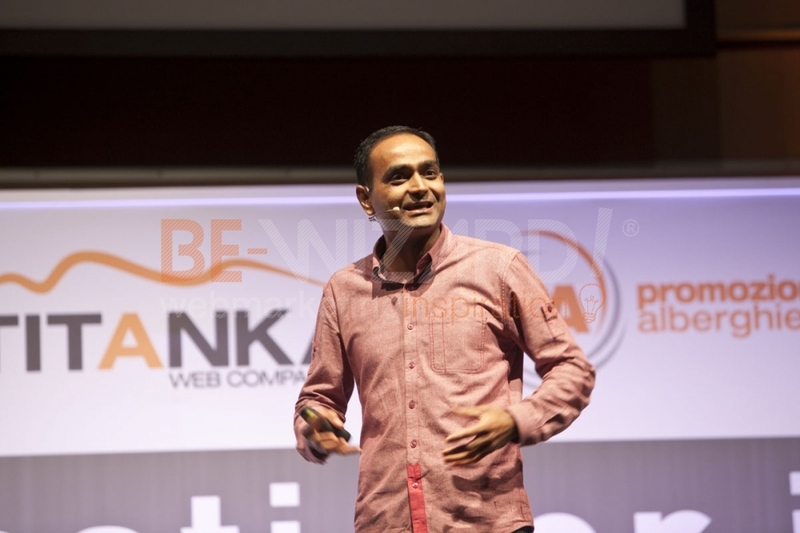 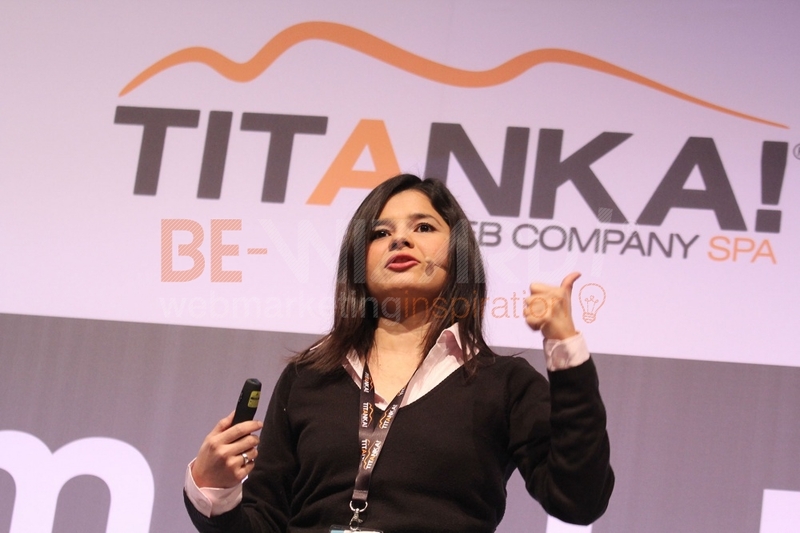 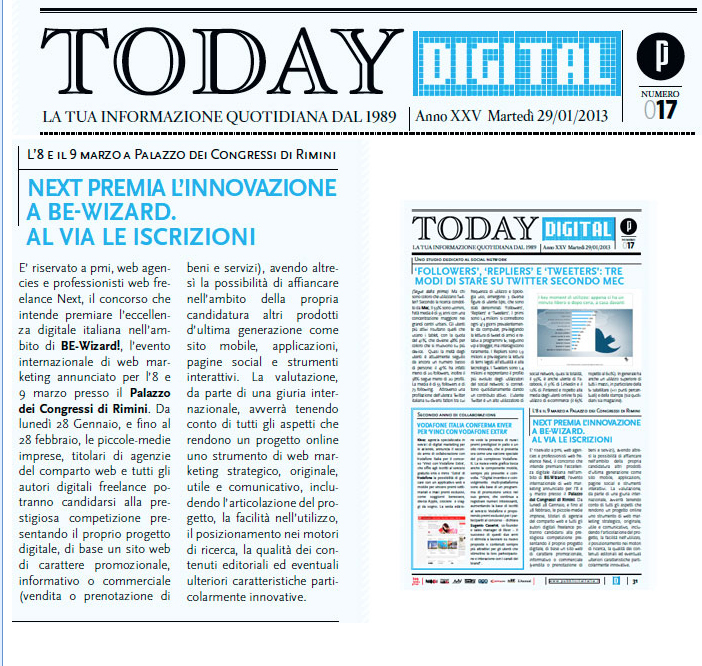 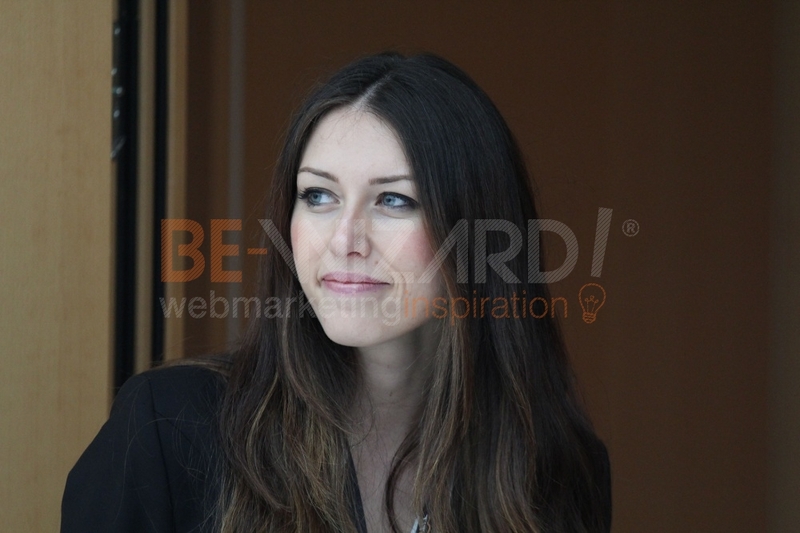 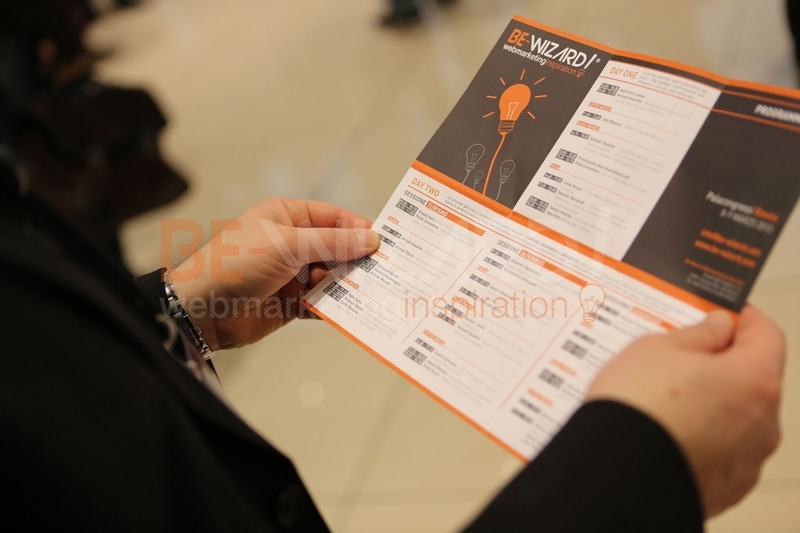 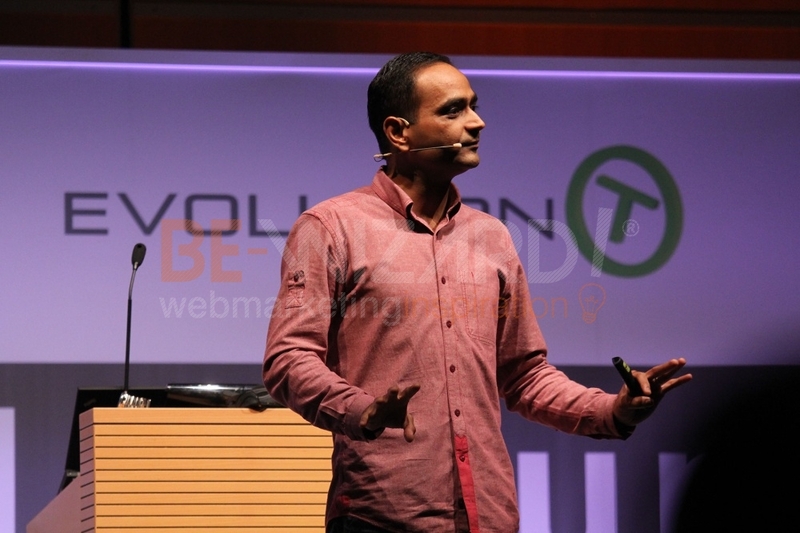 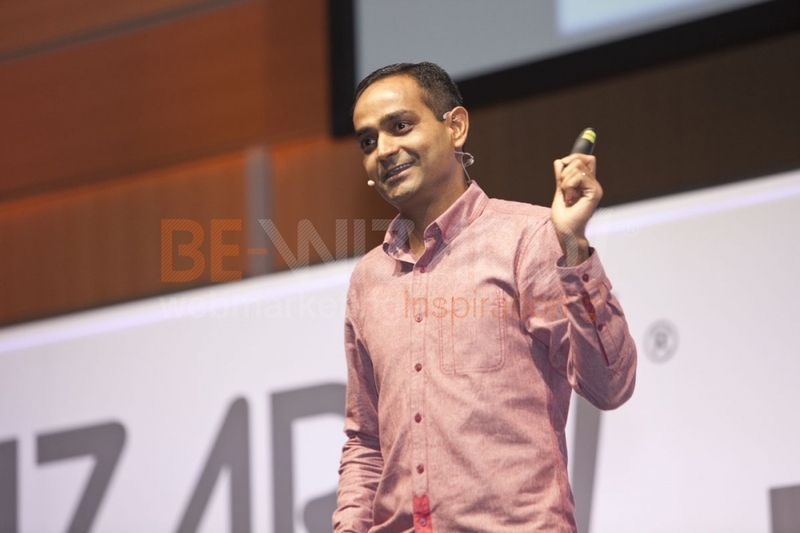 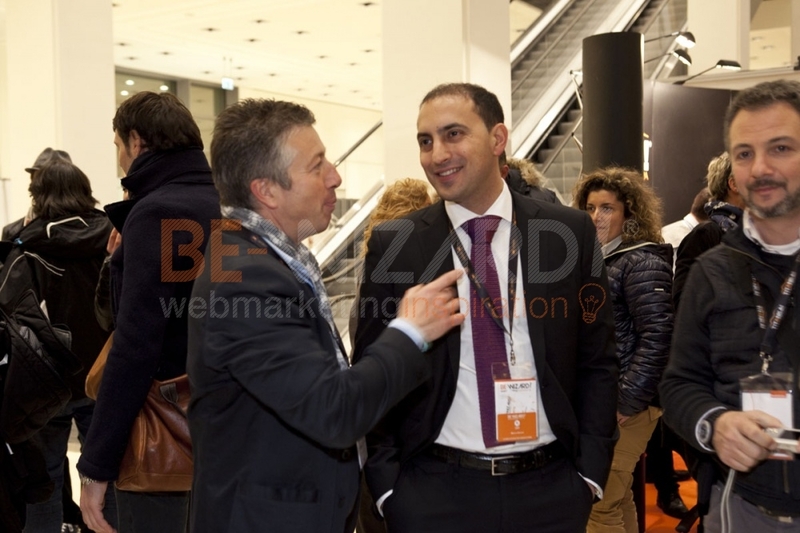 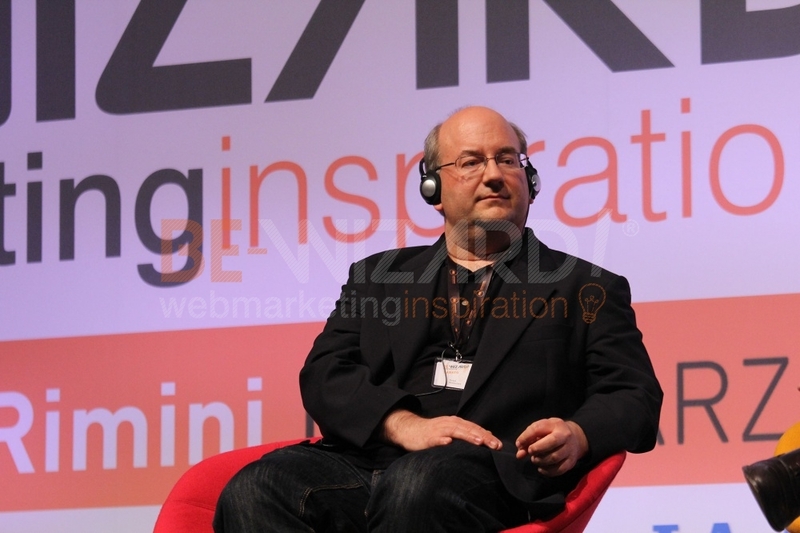 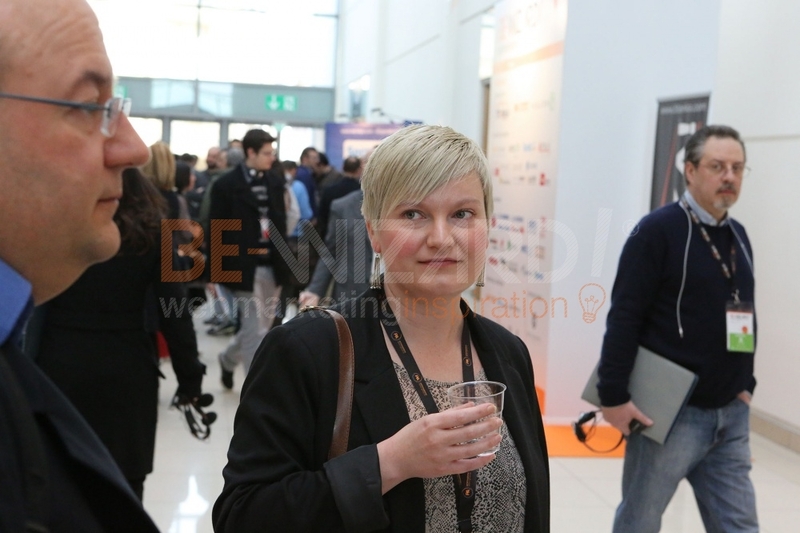 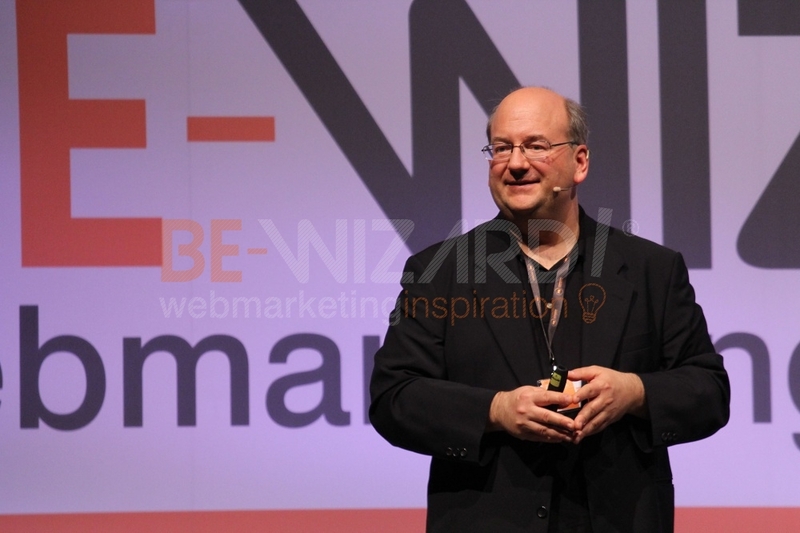 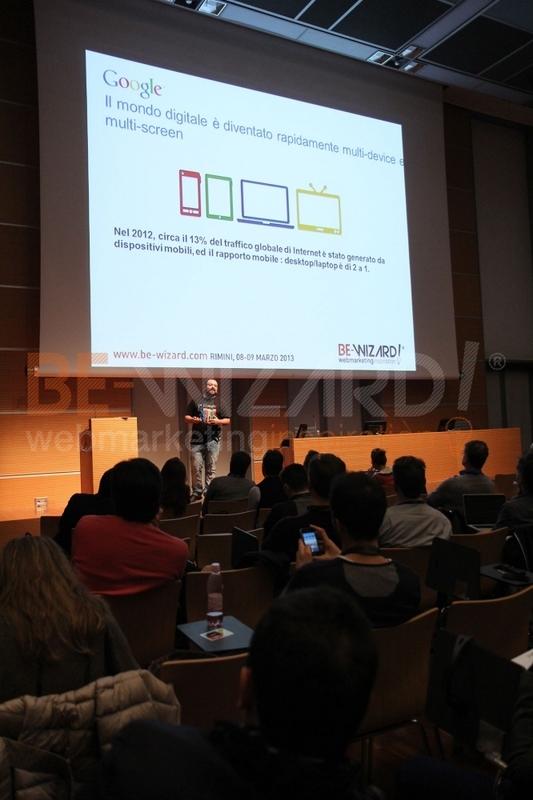 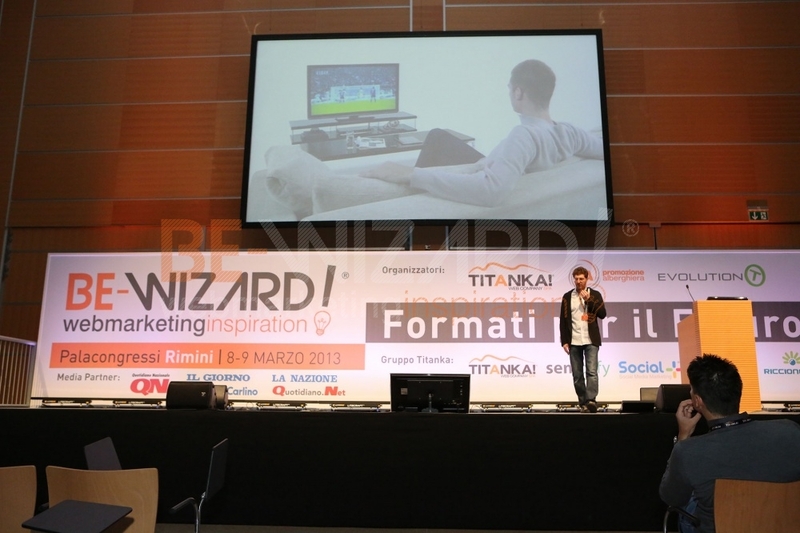 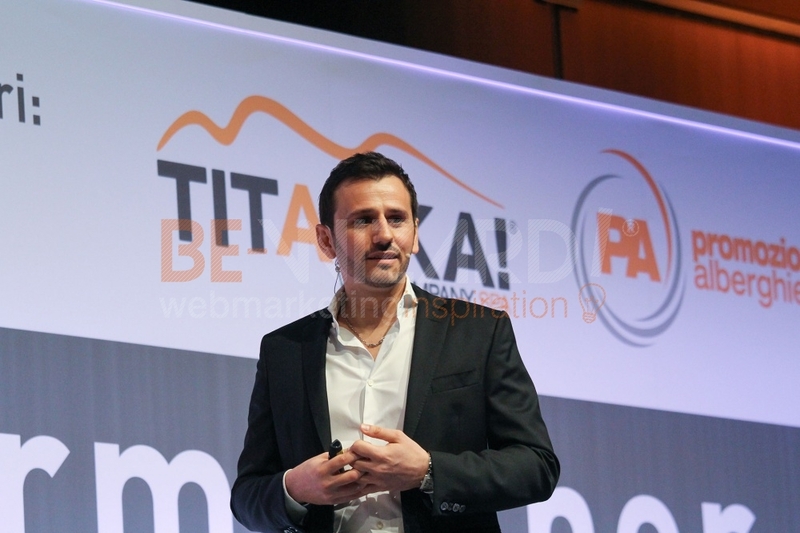 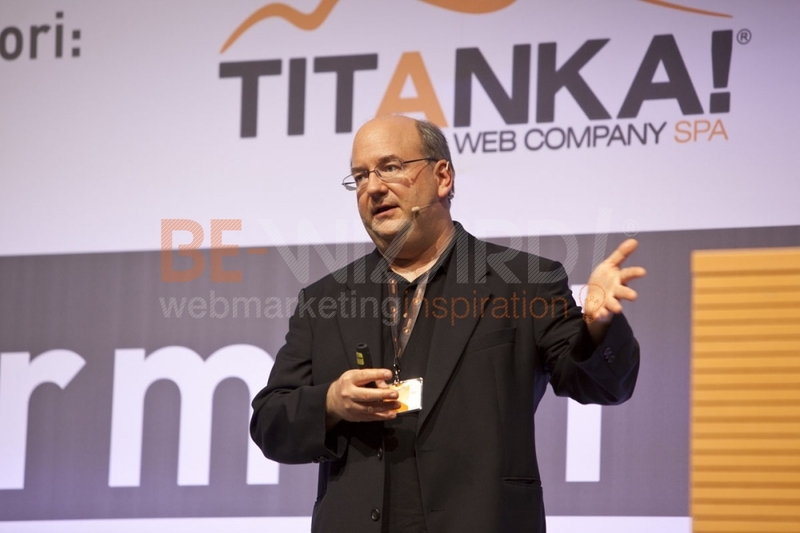 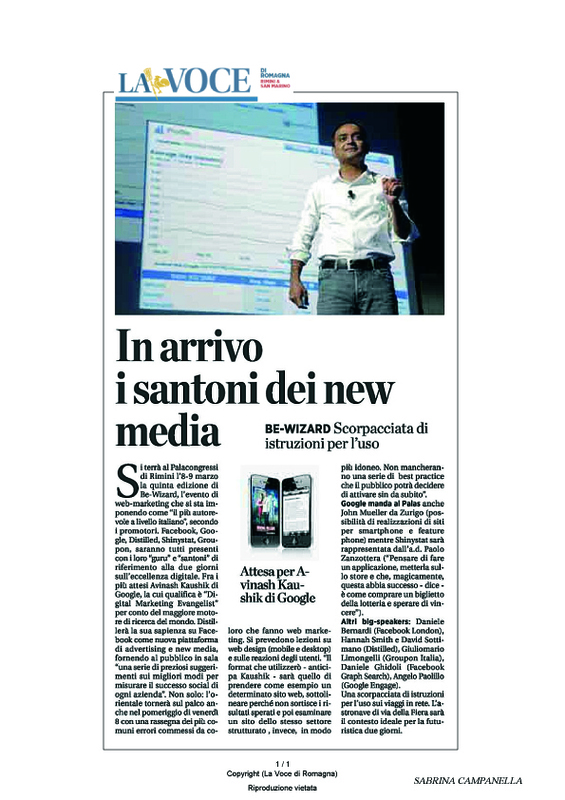 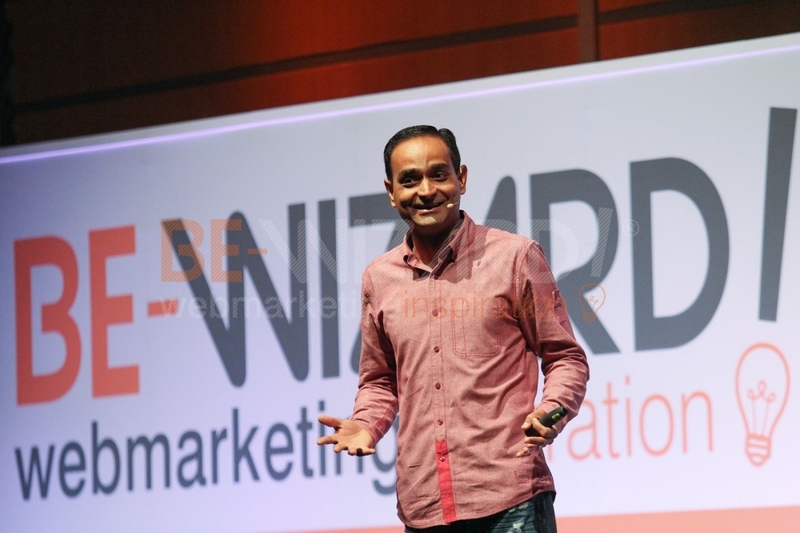 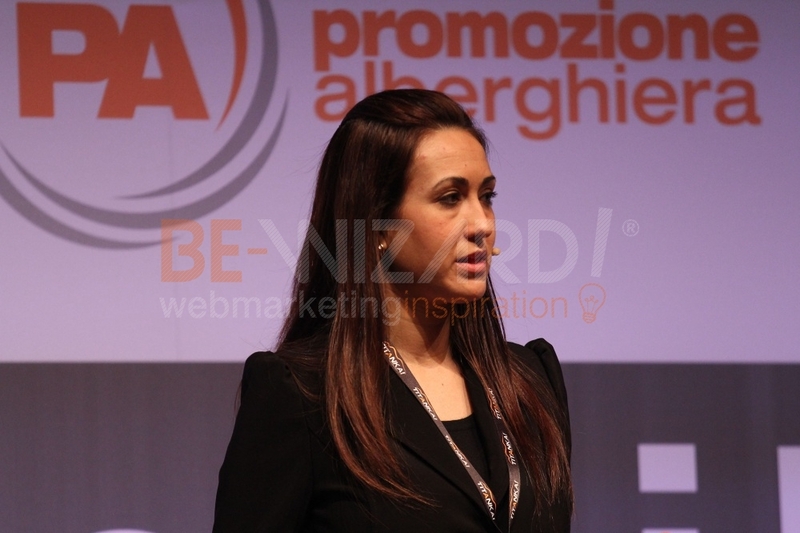 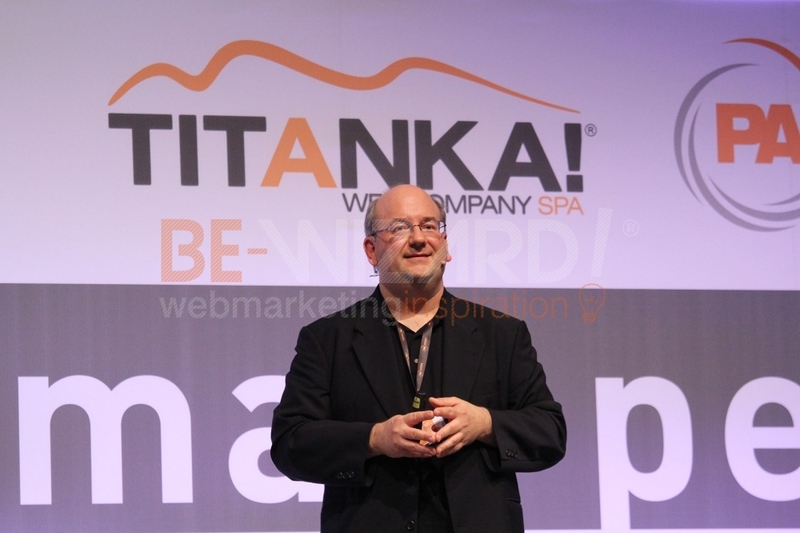 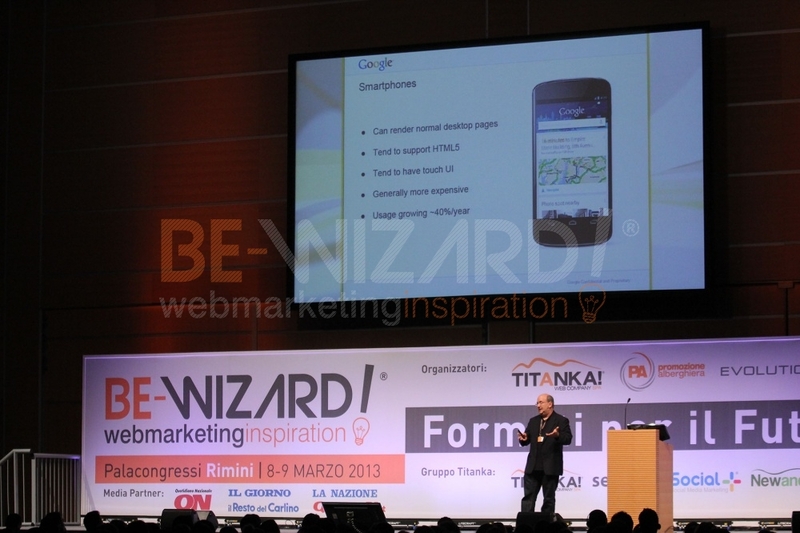 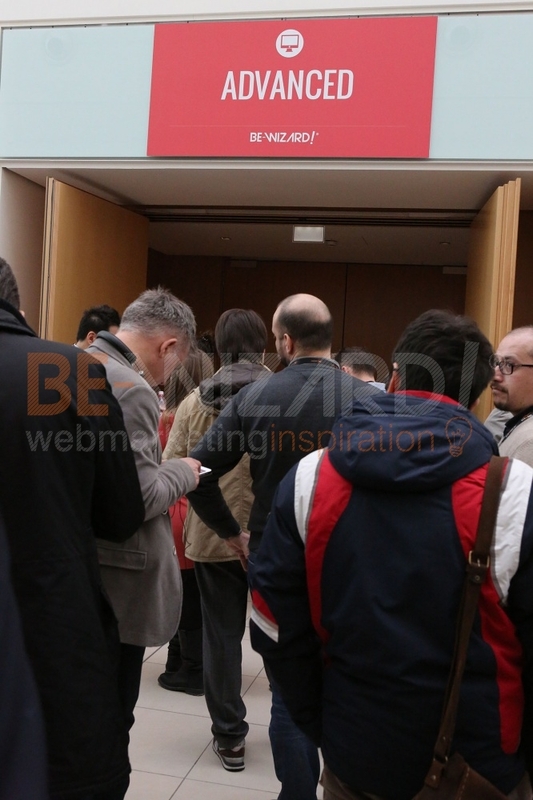 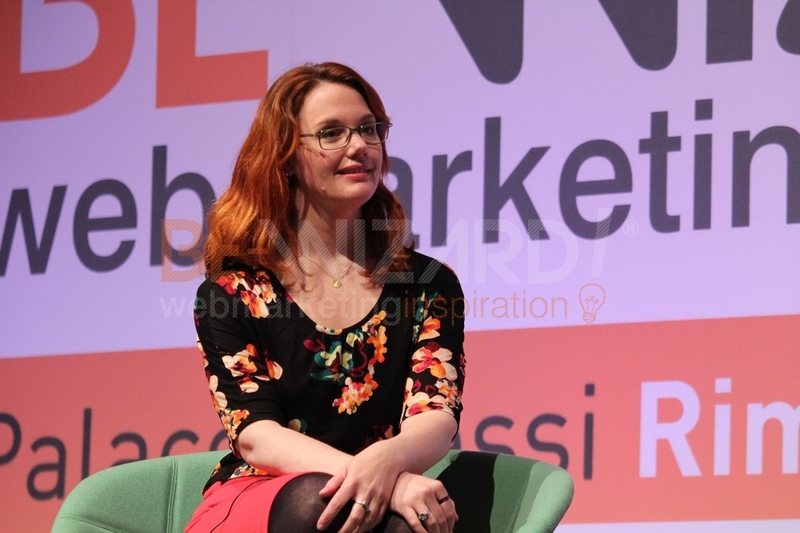 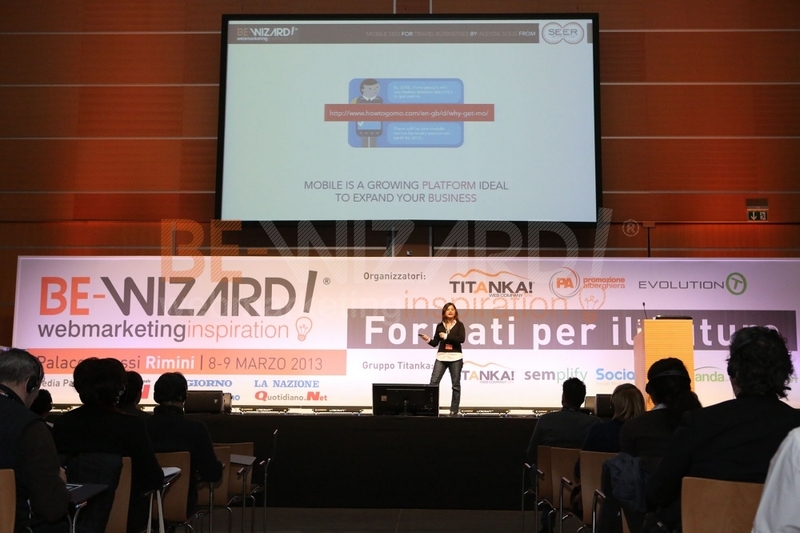 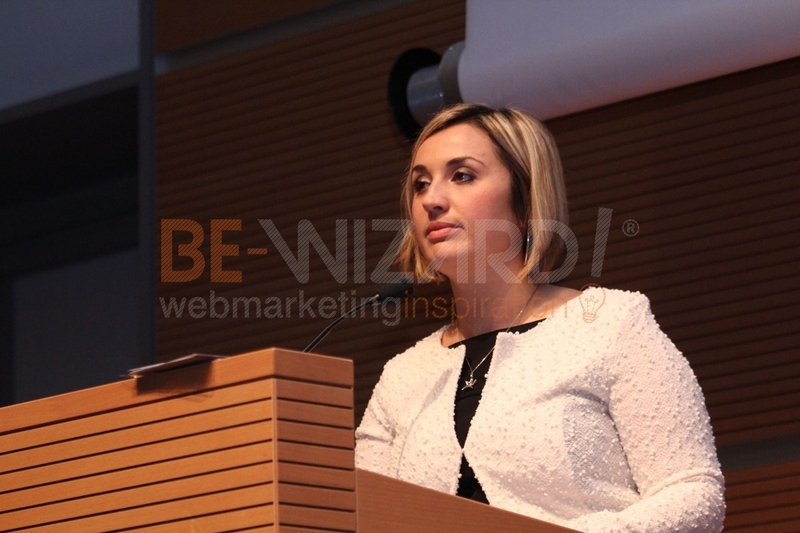 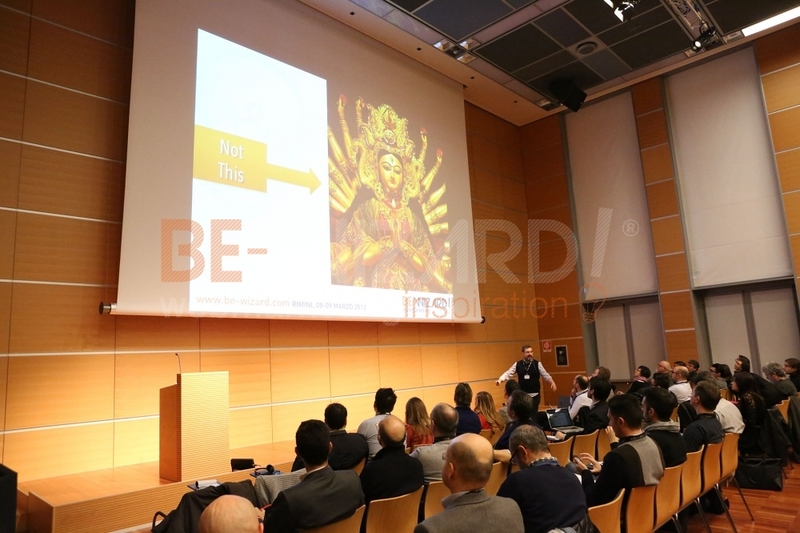 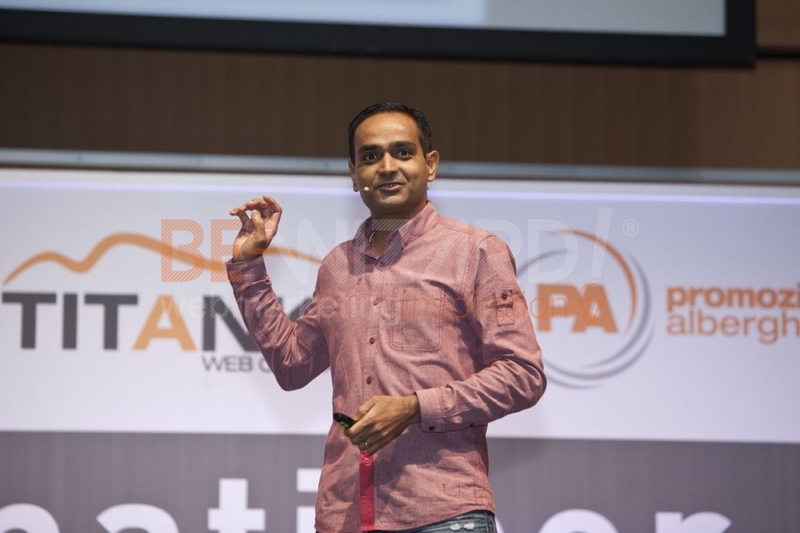 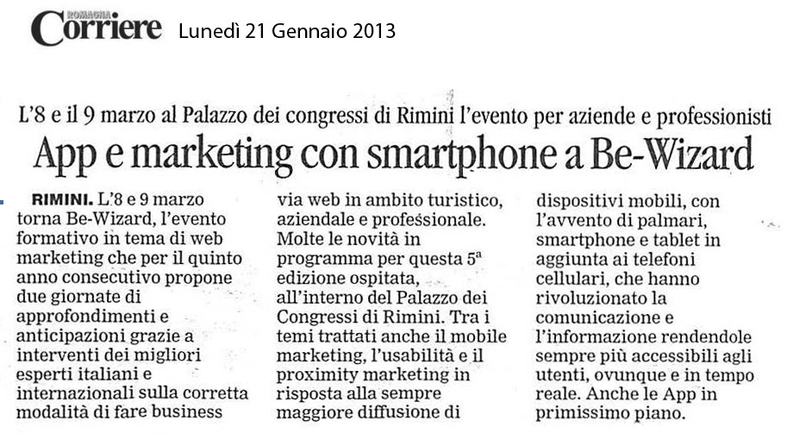 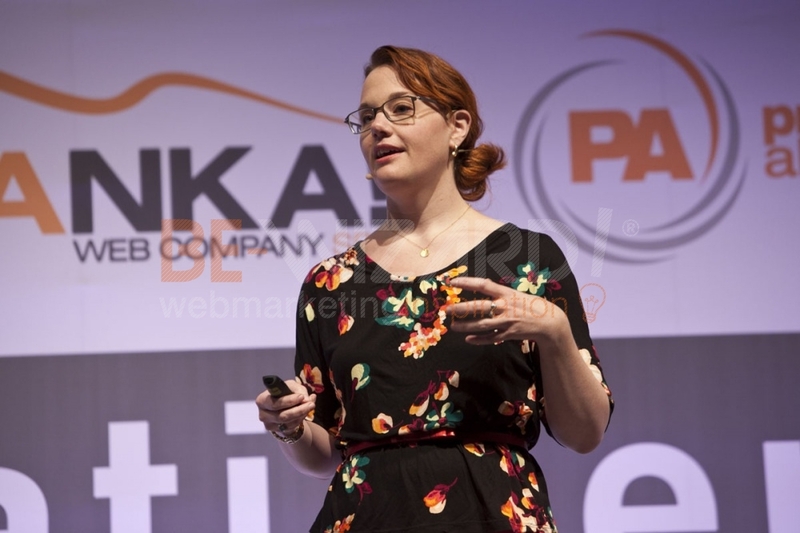 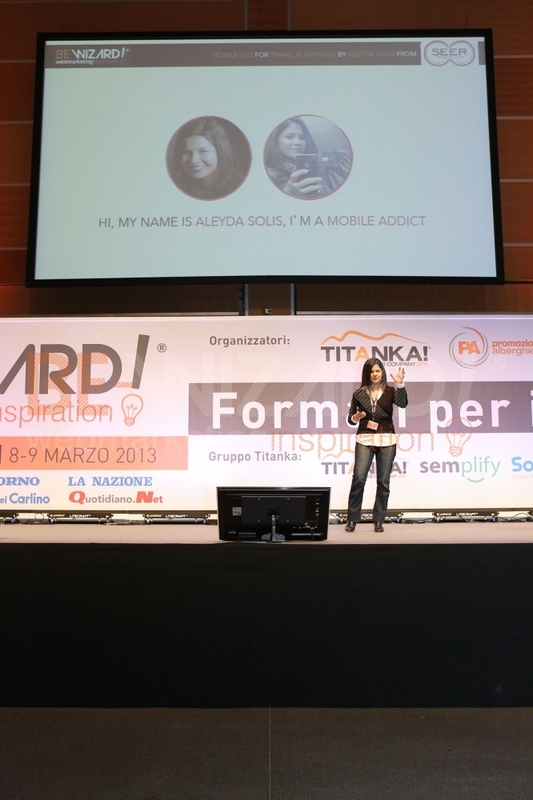 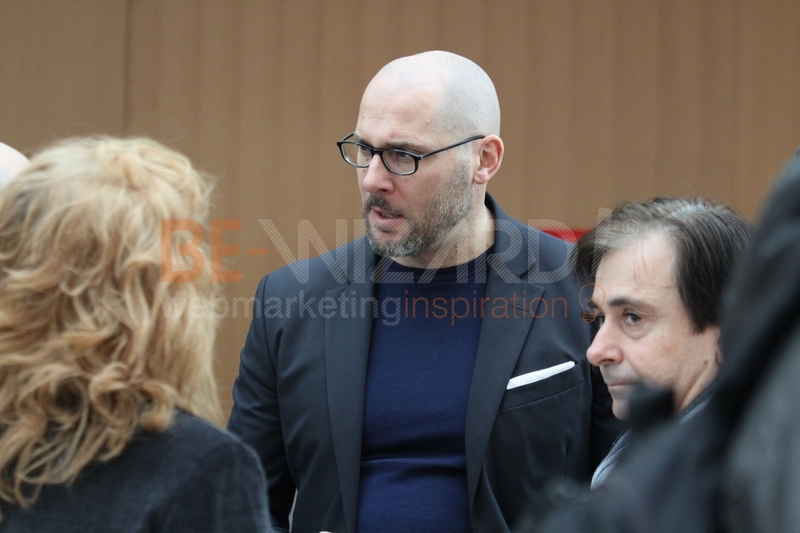 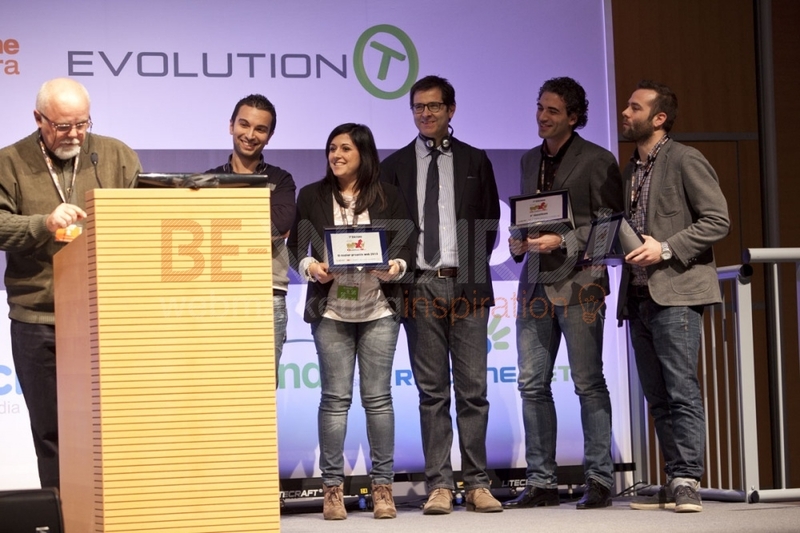 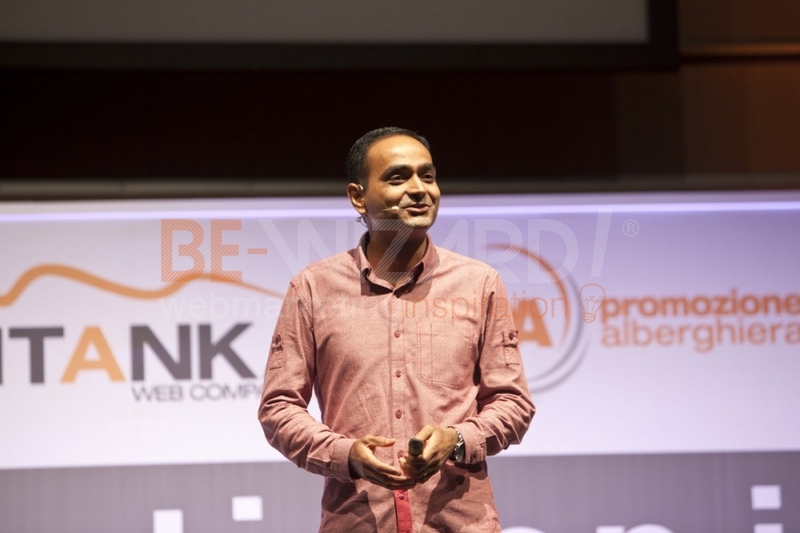 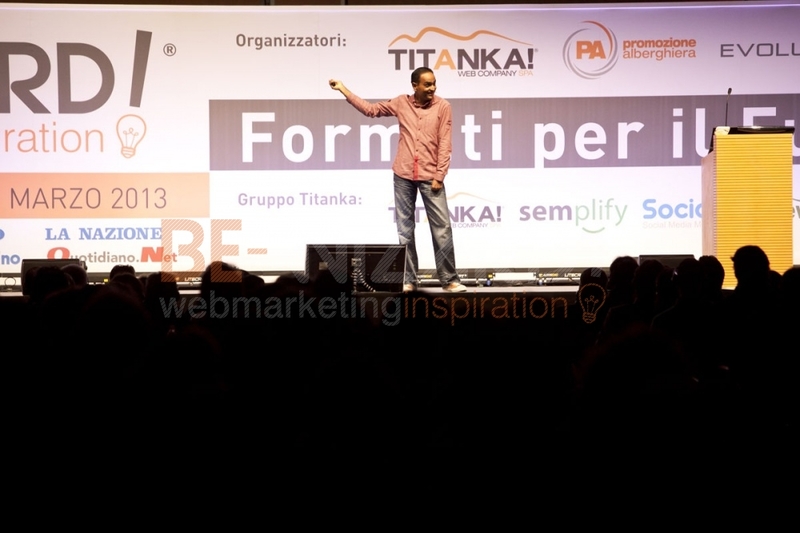 Mobile marketing was amongst the key focus topics of this edition. 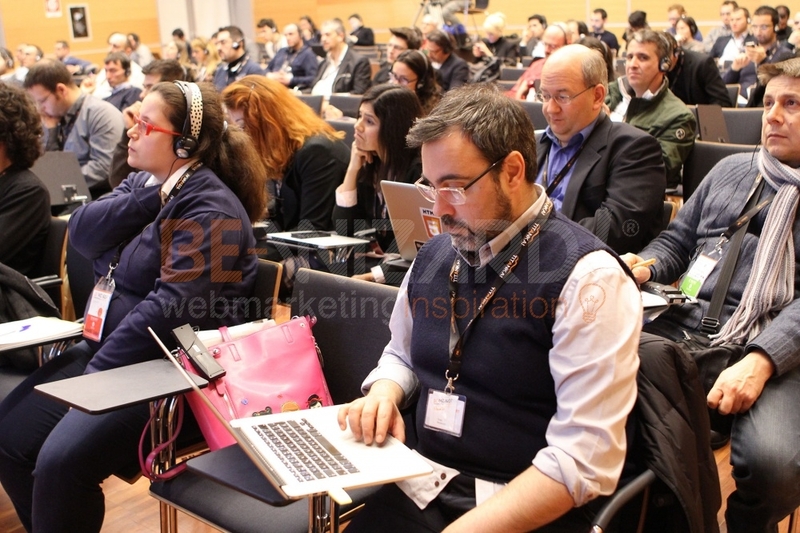 From apps to responsive sites for all devices, from SO.LO.MO to analytics applied to all web marketing activities, the three sessions-Business, Tourism and Advanced offered programmes of a high training value. 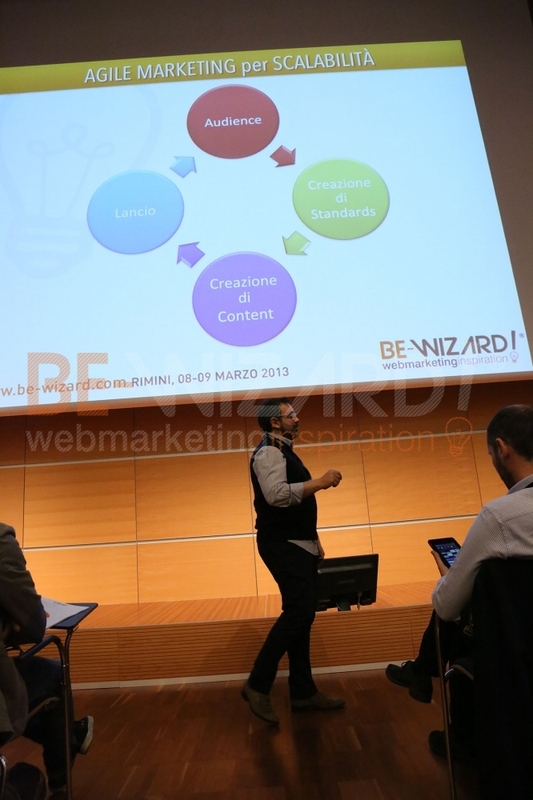 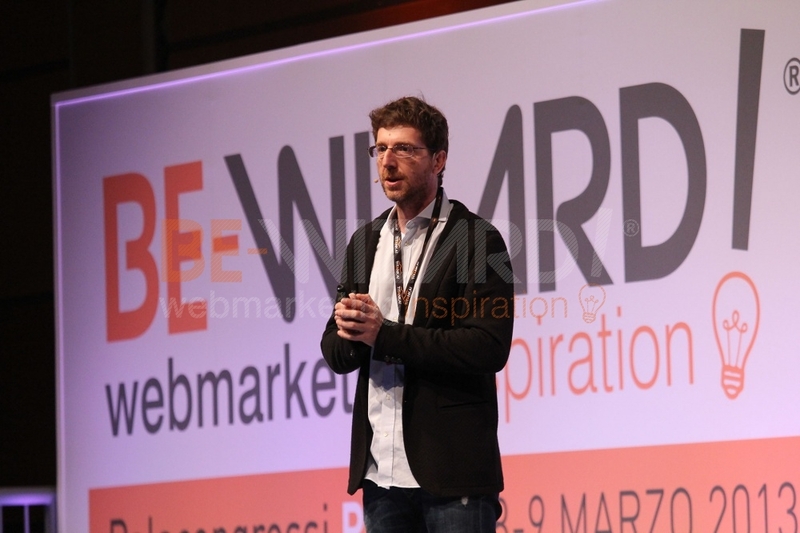 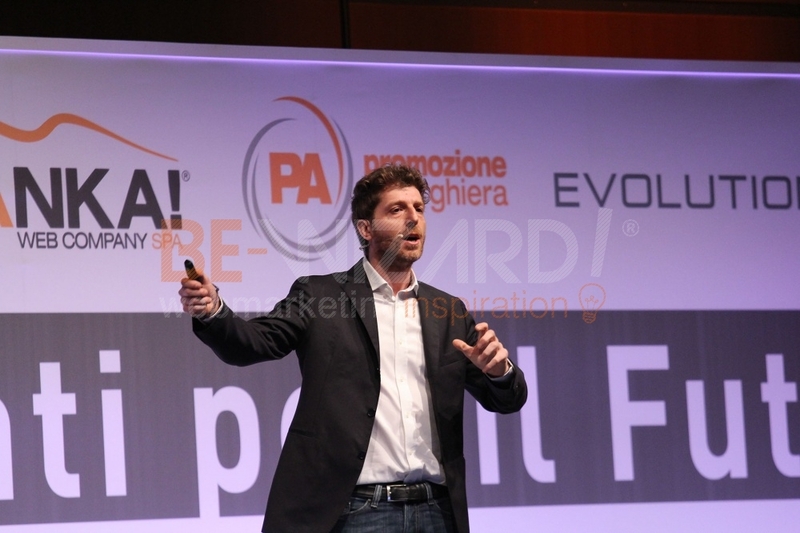 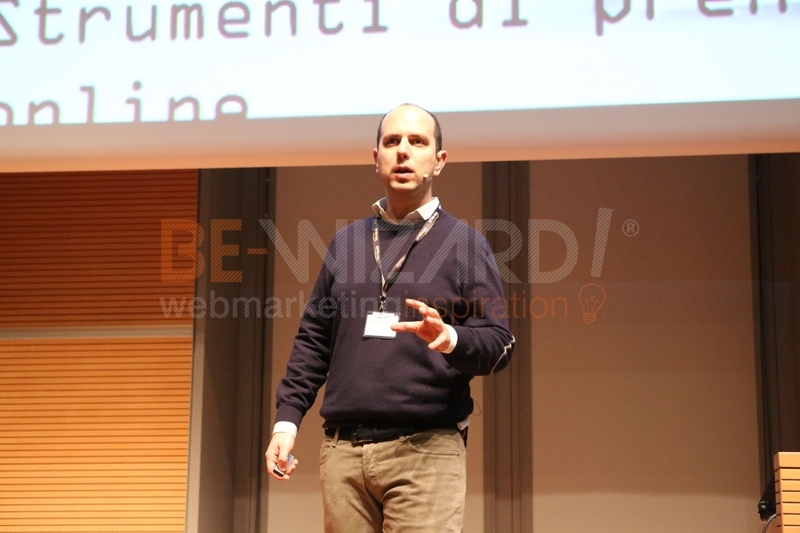 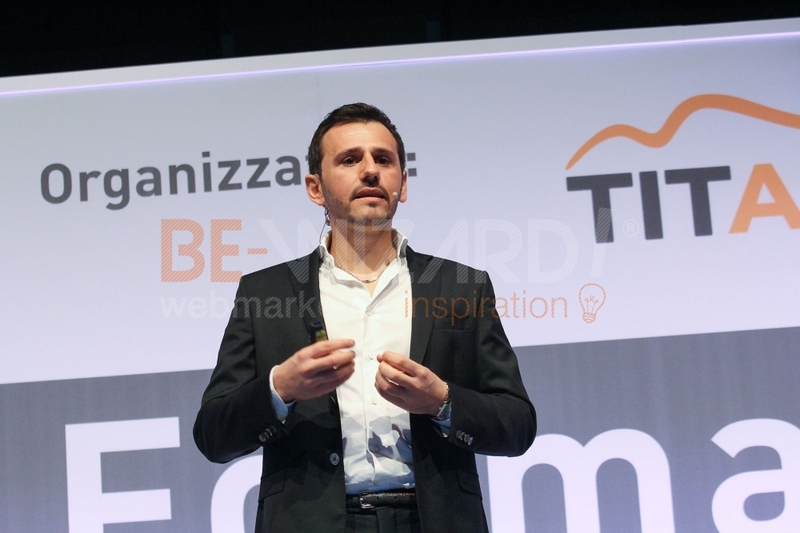 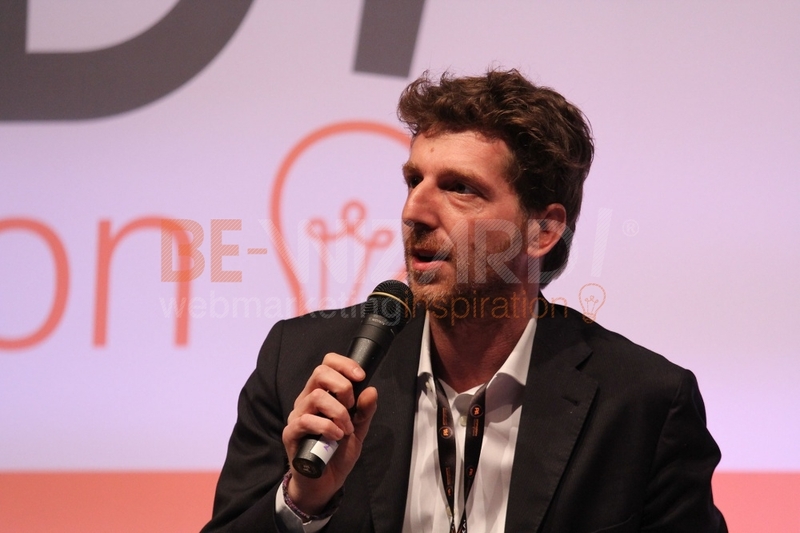 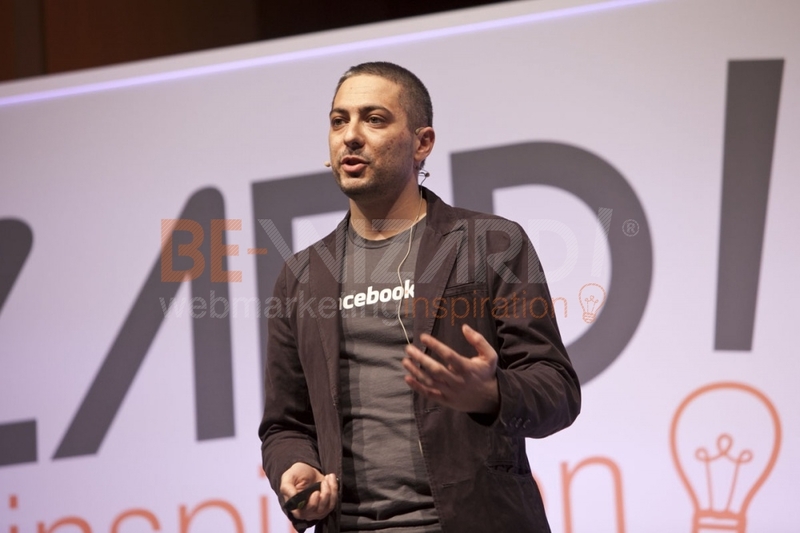 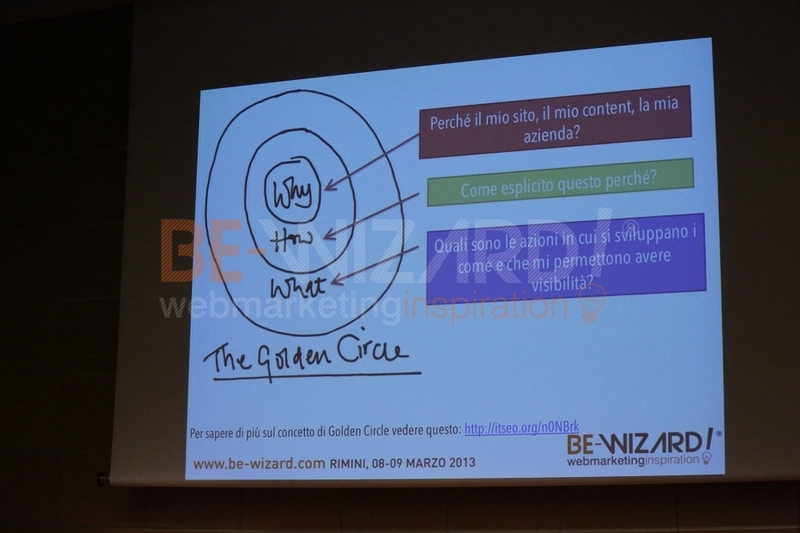 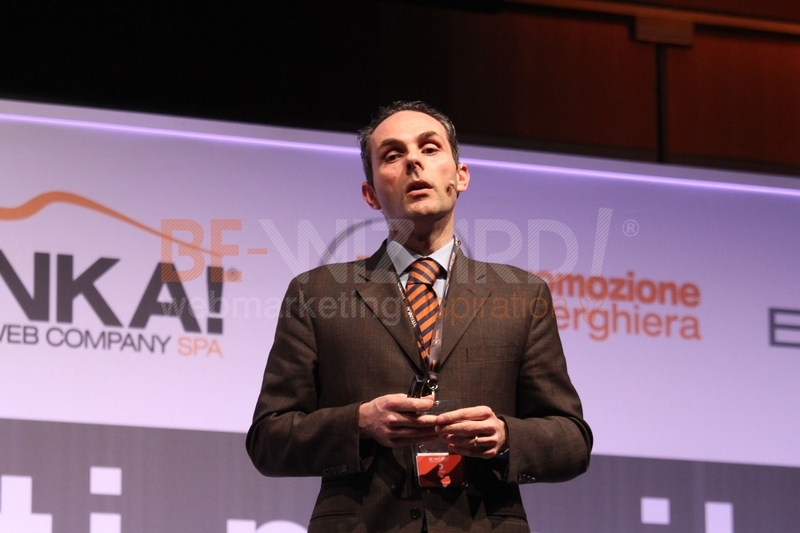 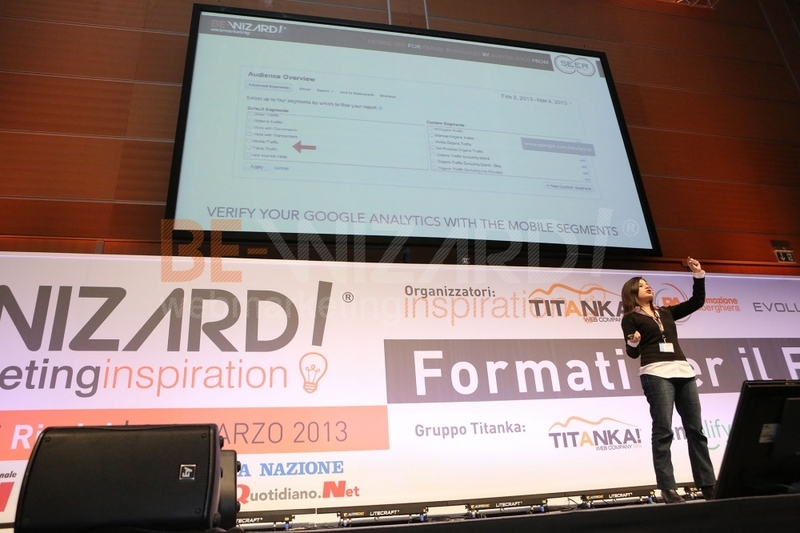 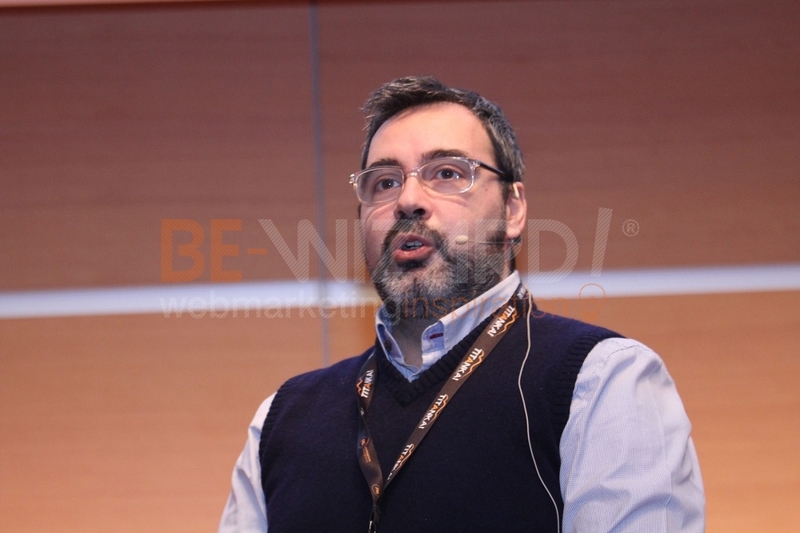 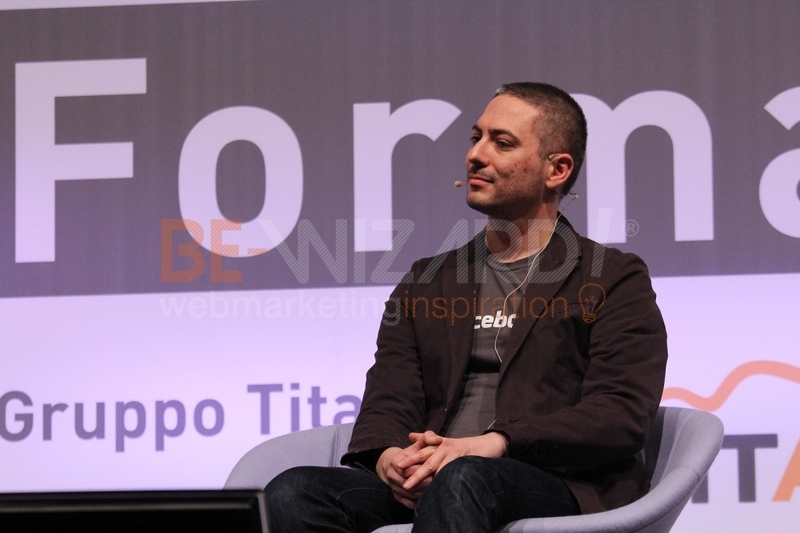 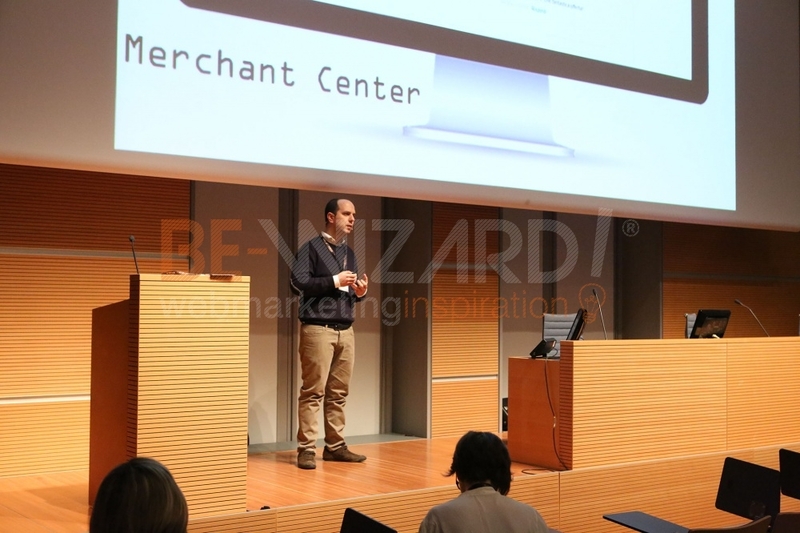 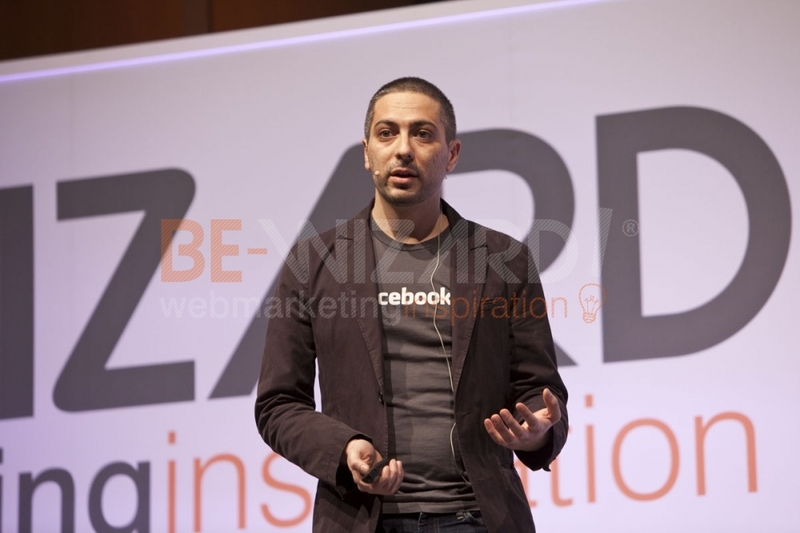 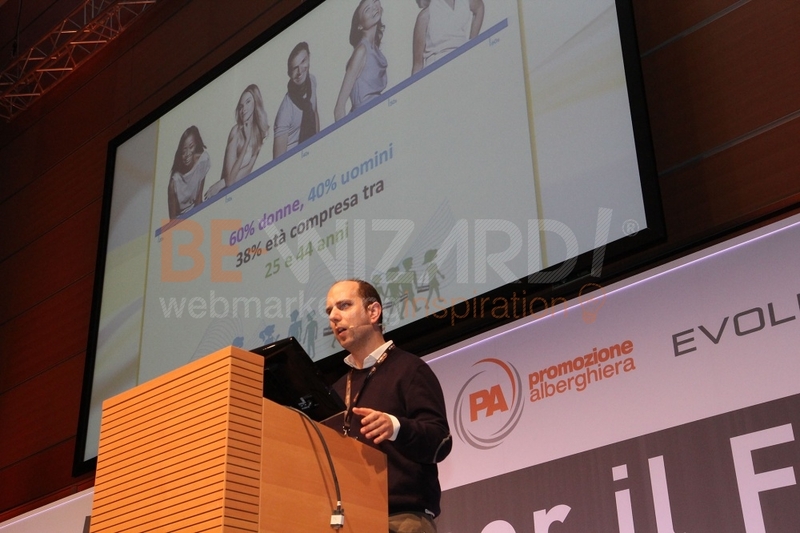 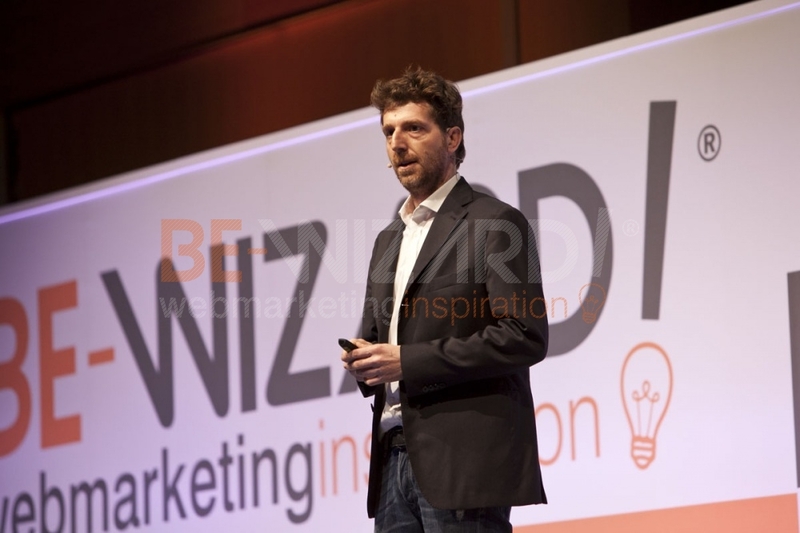 Daniele Bernardi - Facebook and Performance Marketing: Get and measure ROI through the purchase funnel. 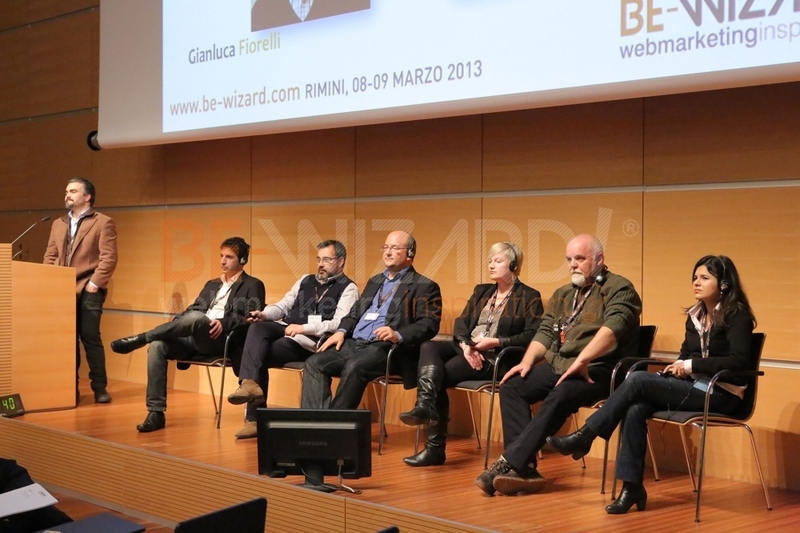 Round Table - Questions from the audience. 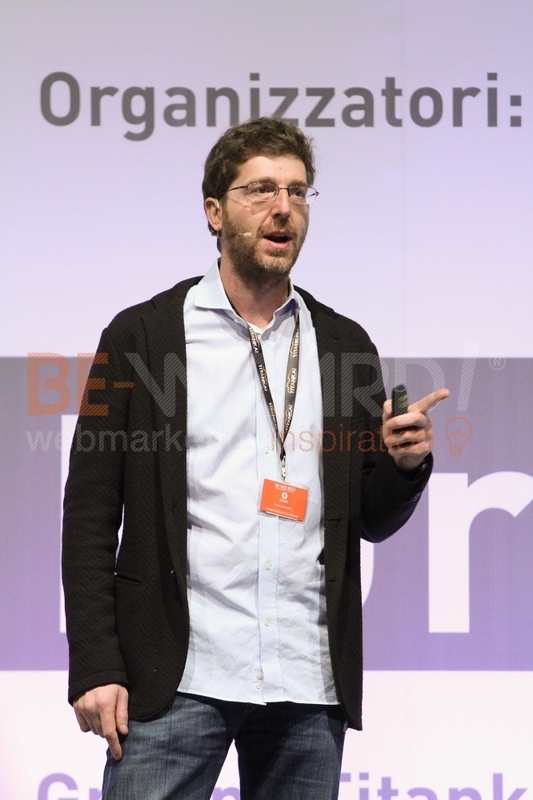 David Sottimano - In a programmer’s shoes: SEO debugging. 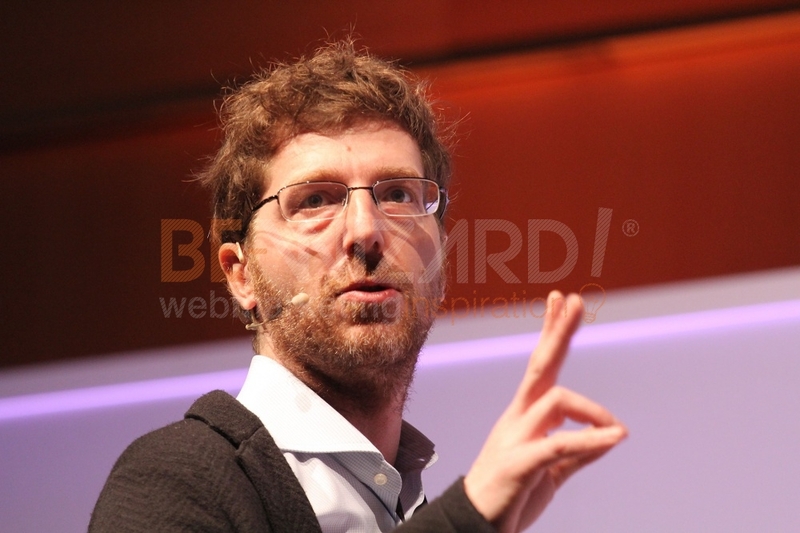 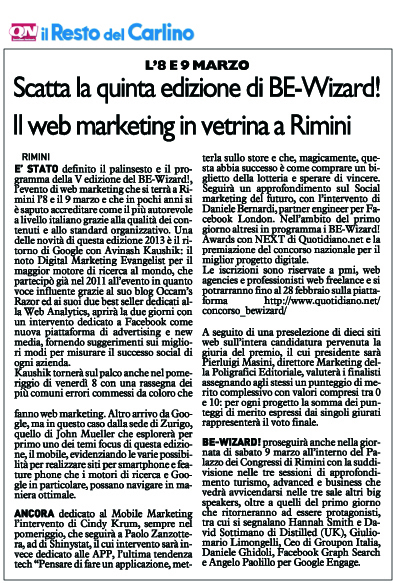 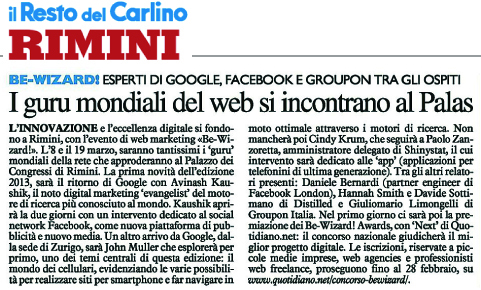 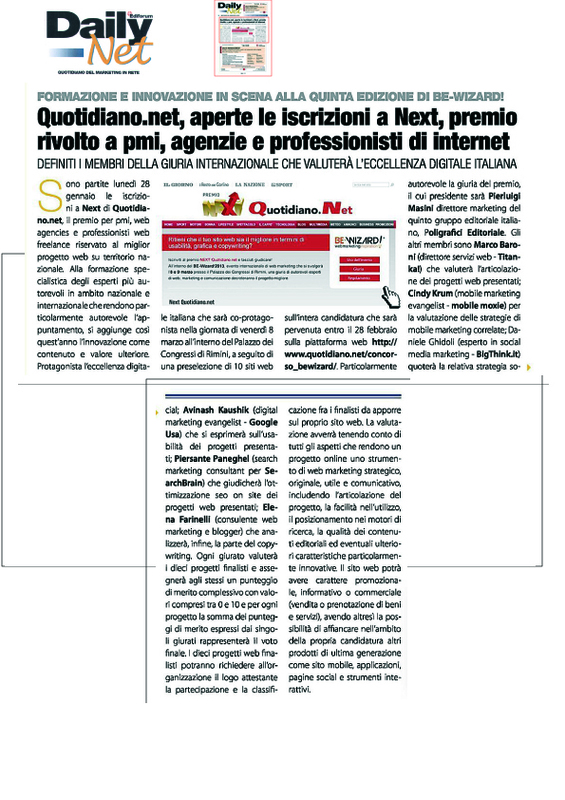 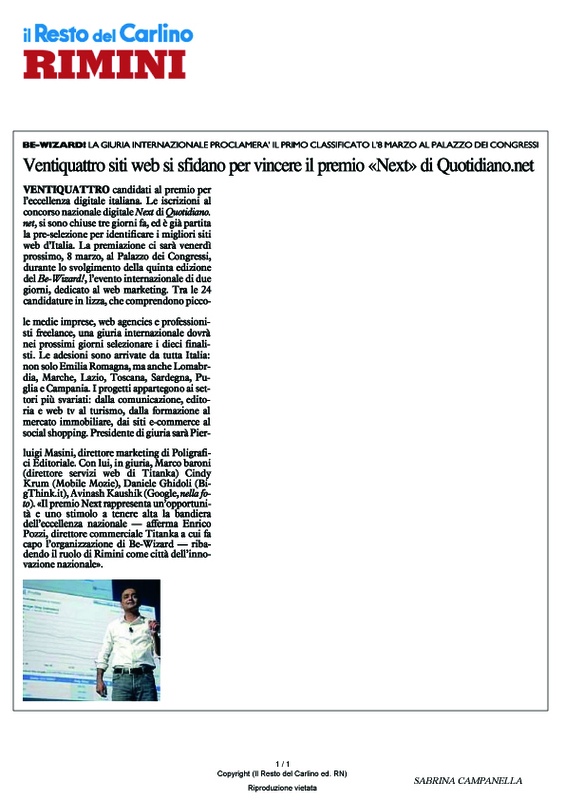 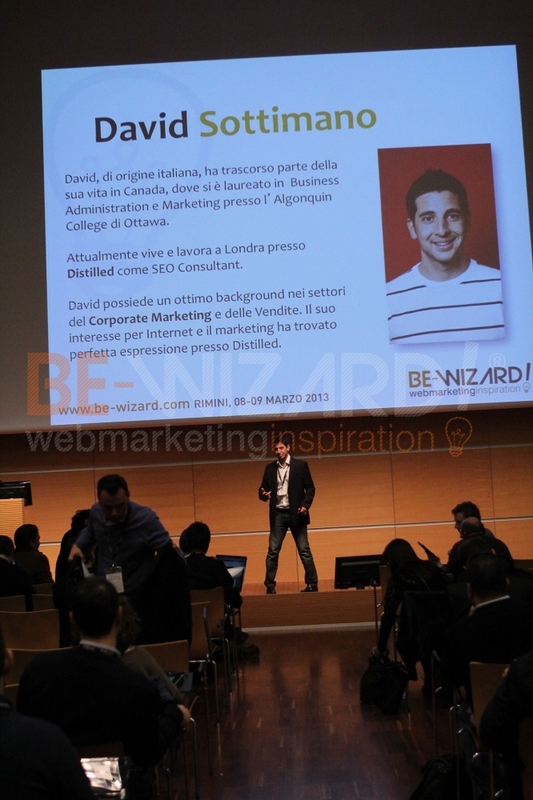 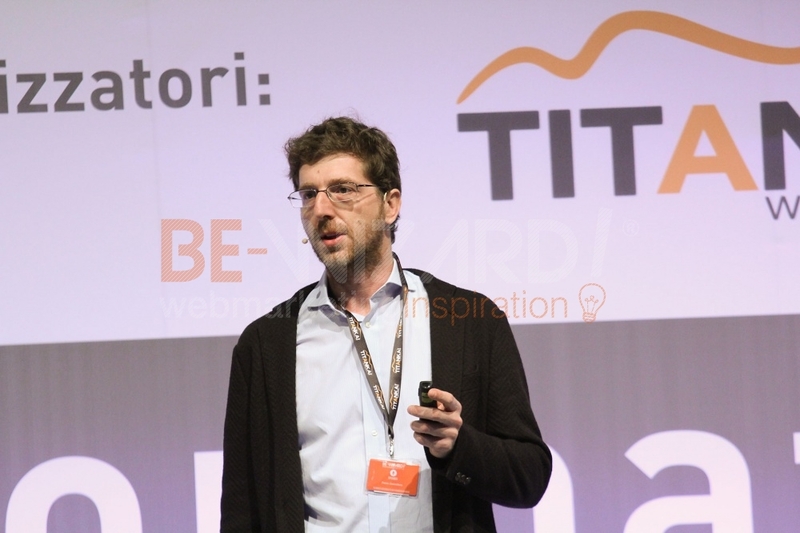 Daniele Ghidoli - FacebookGraphSearch for Business .